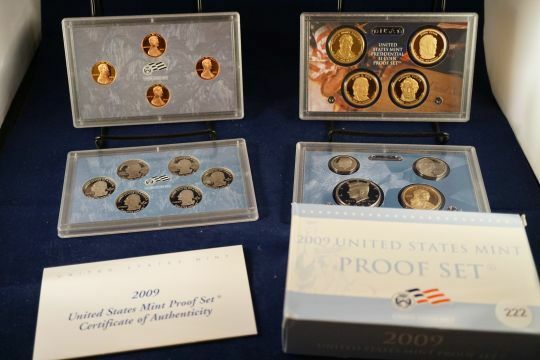 ONLINE ONLY COIN & CURRENCY AUCTION – NO RESERVE! 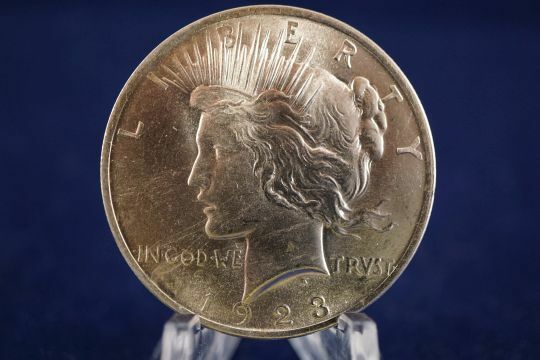 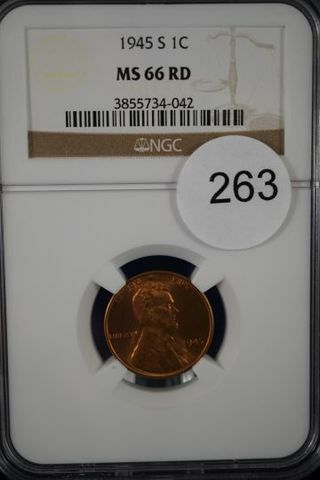 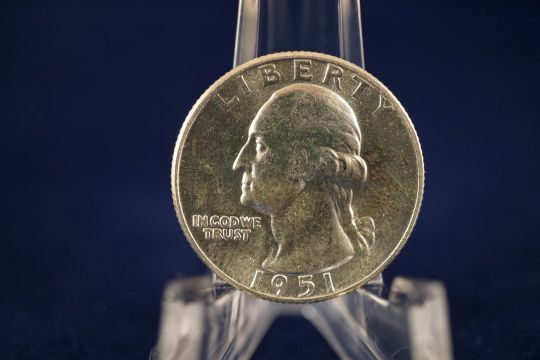 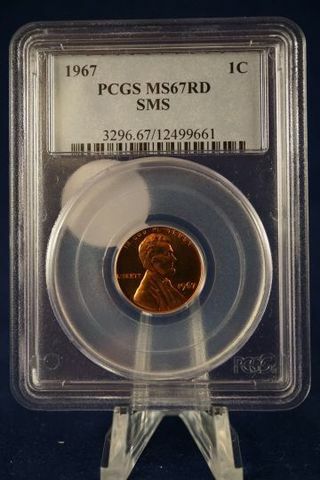 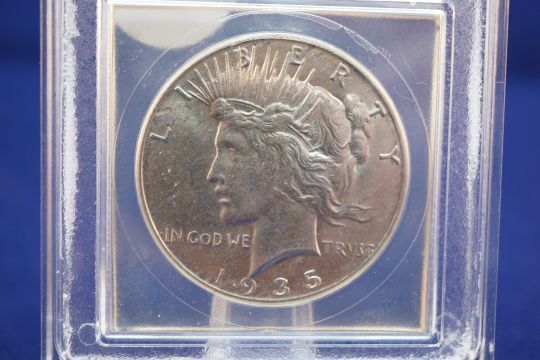 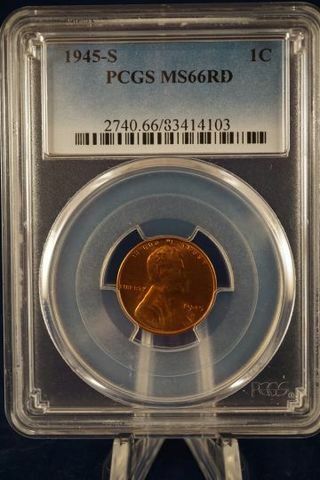 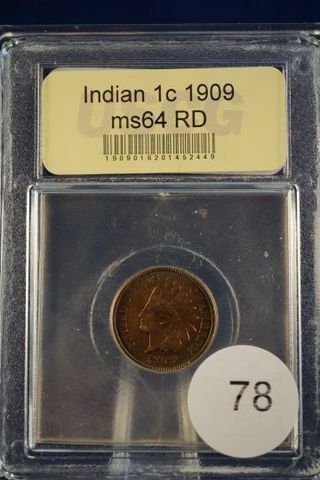 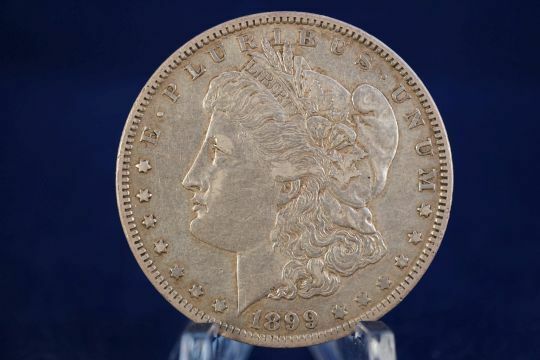 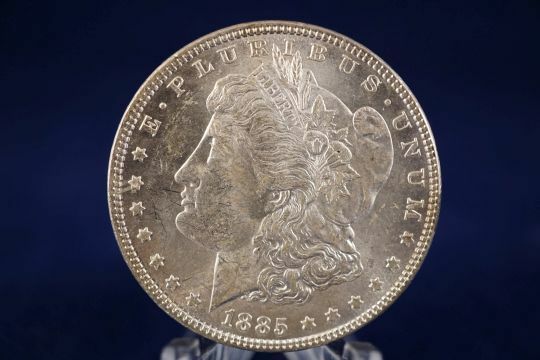 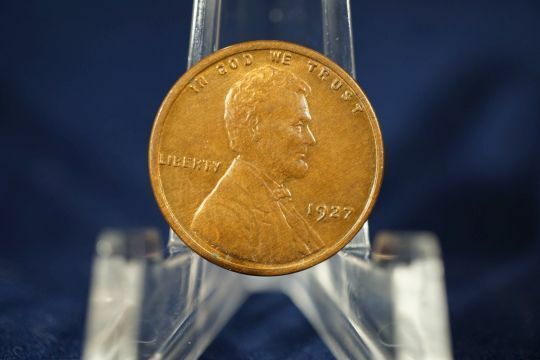 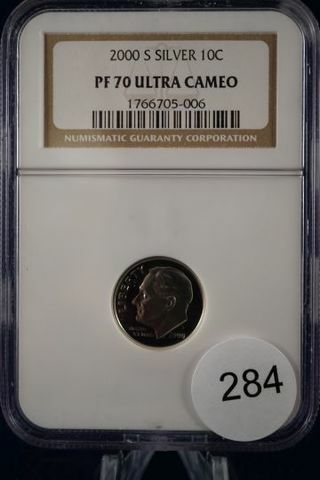 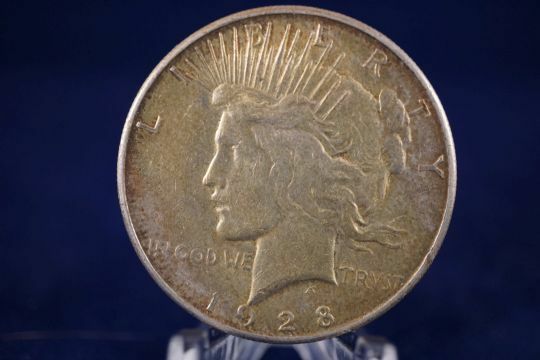 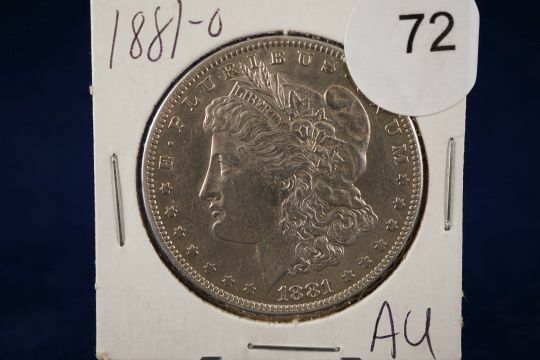 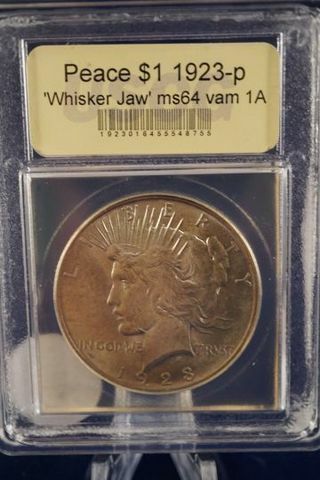 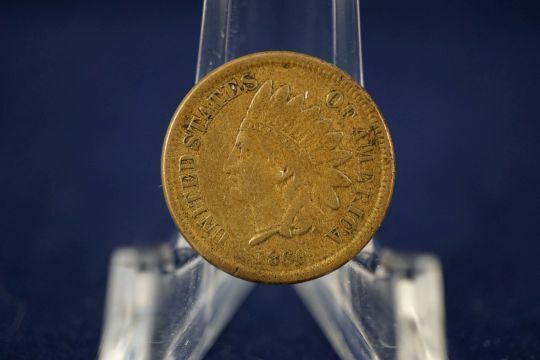 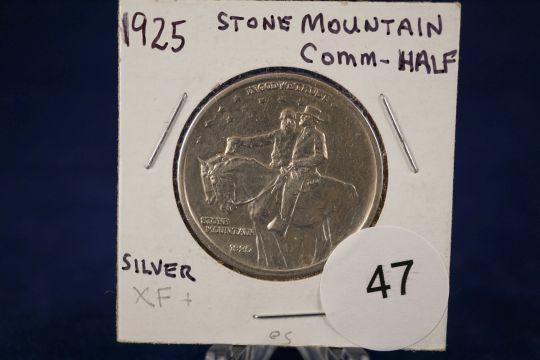 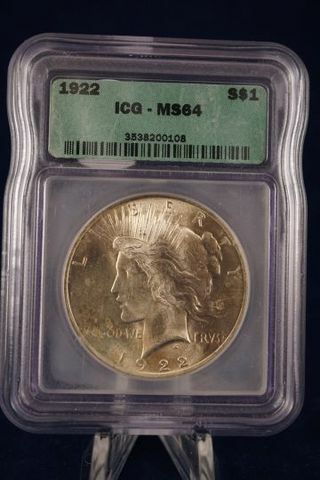 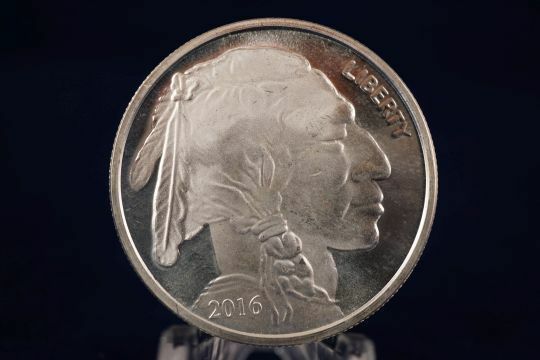 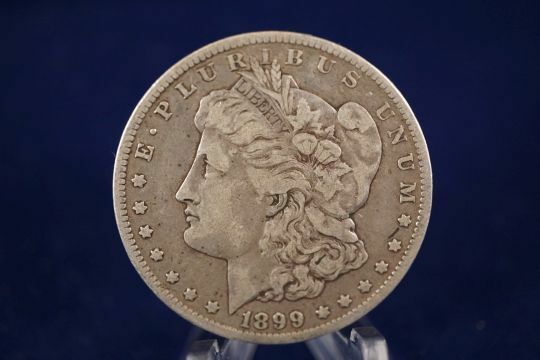 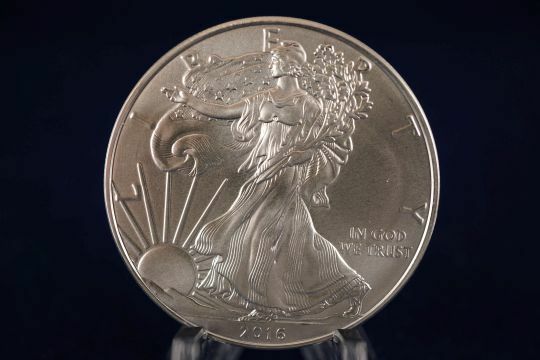 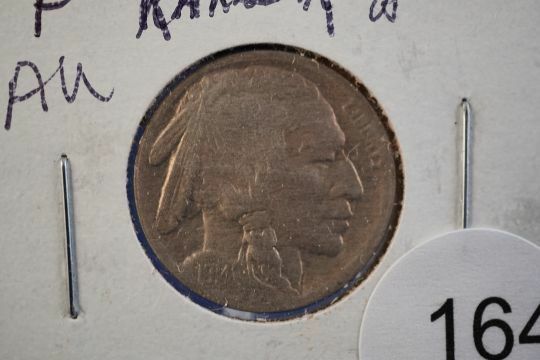 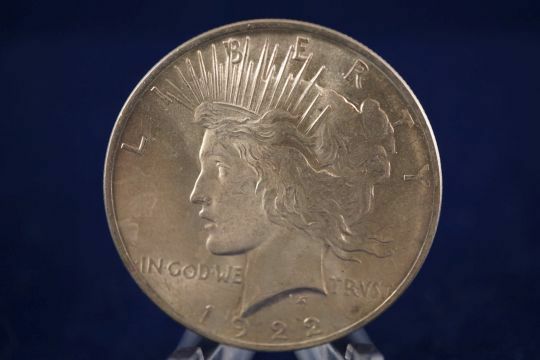 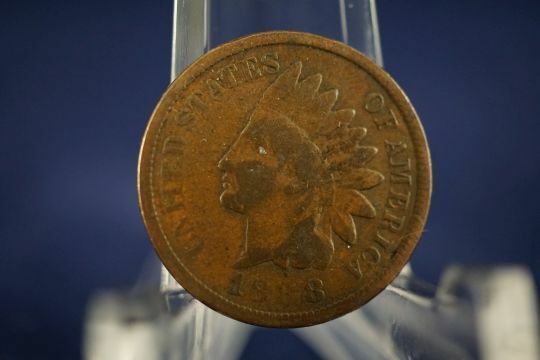 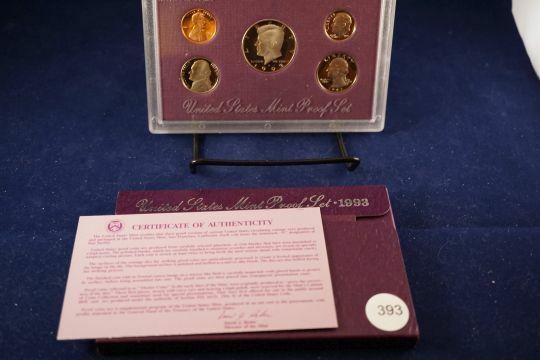 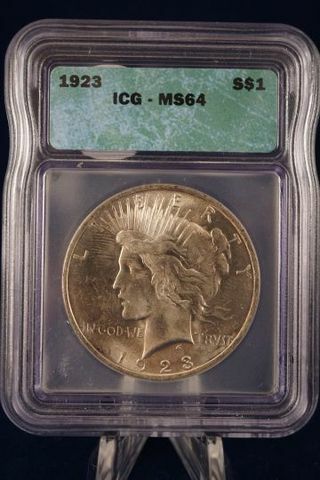 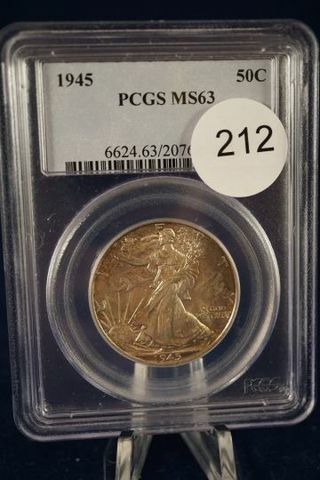 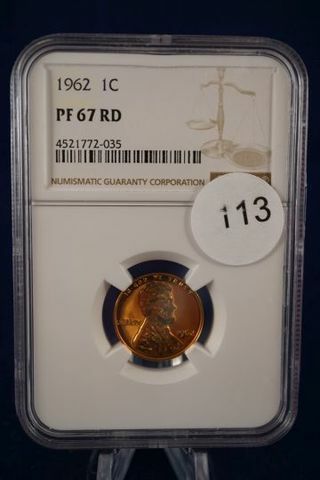 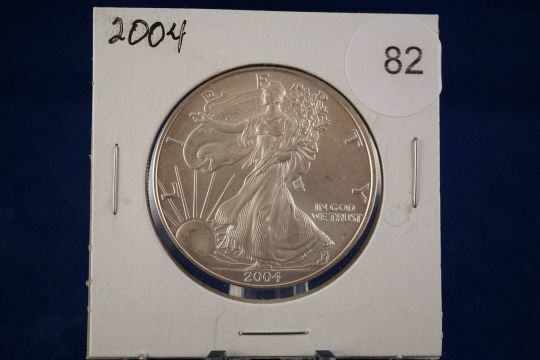 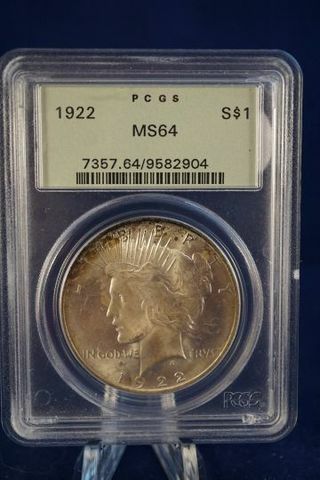 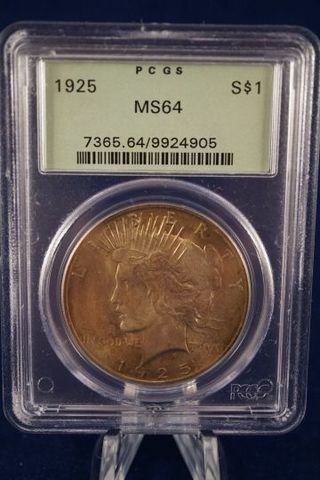 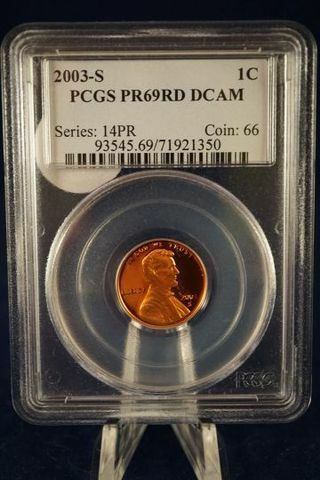 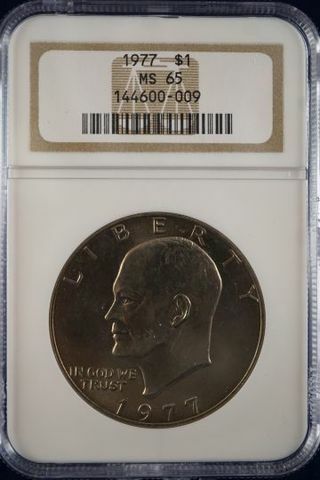 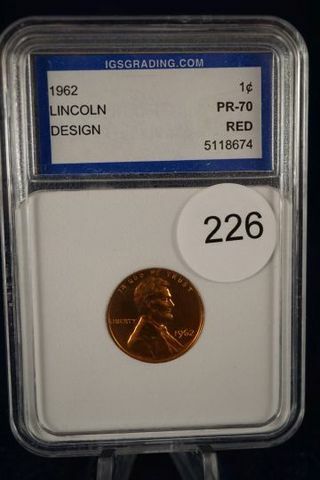 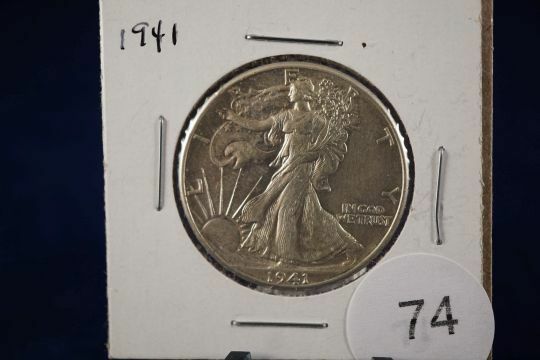 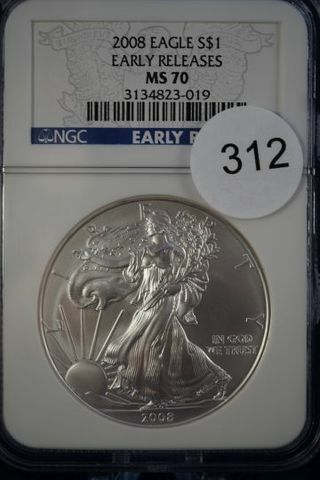 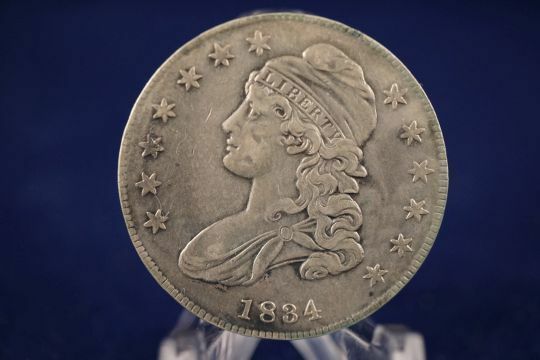 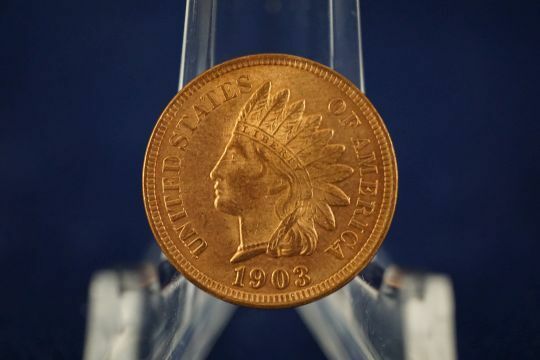 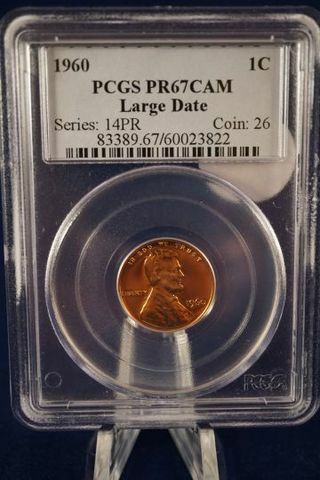 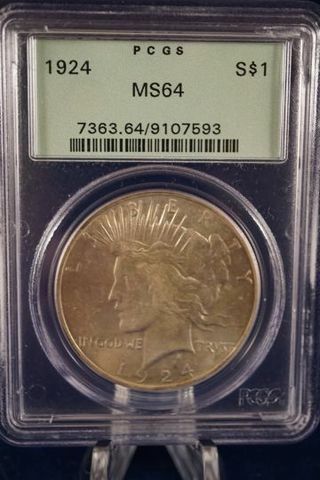 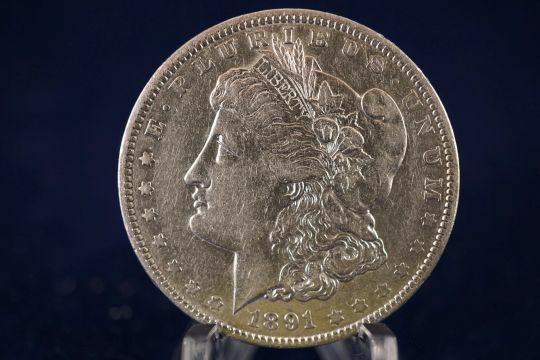 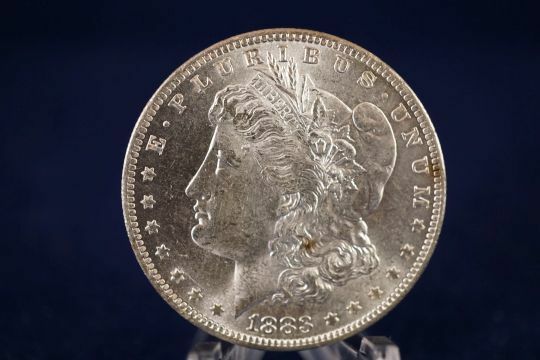 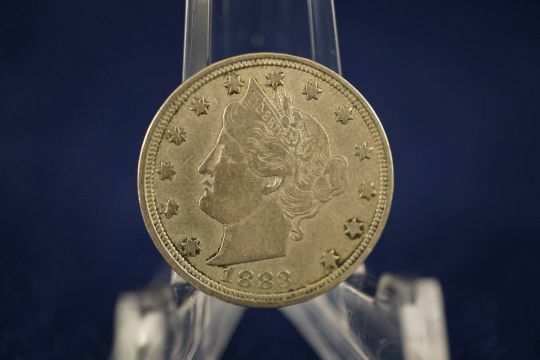 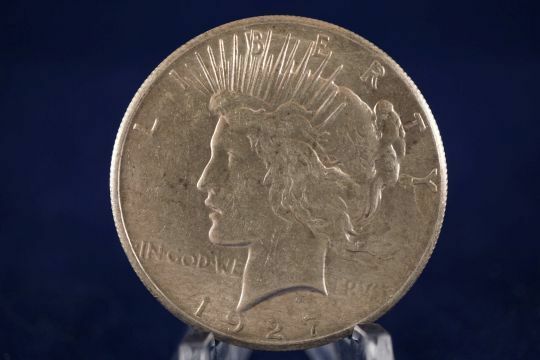 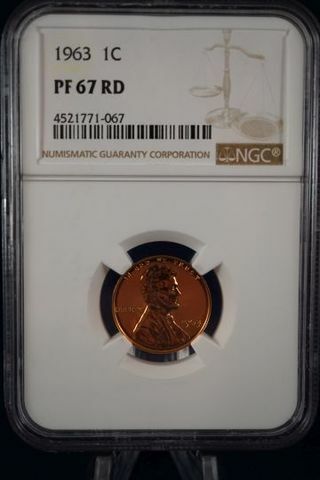 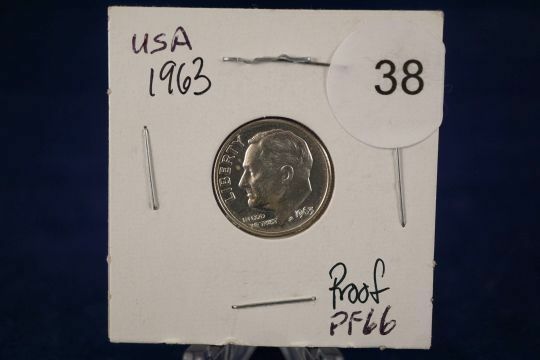 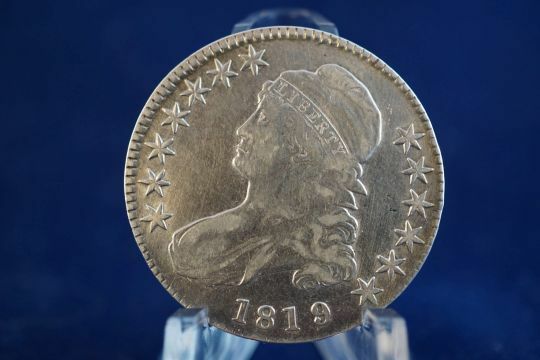 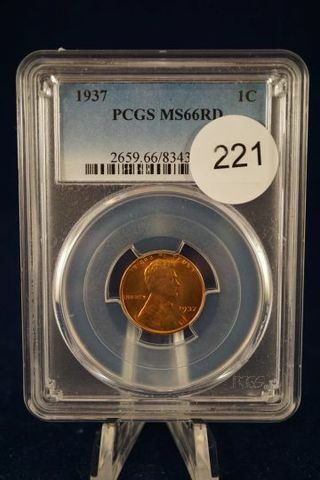 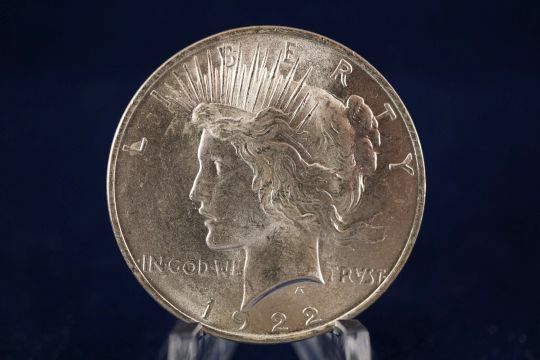 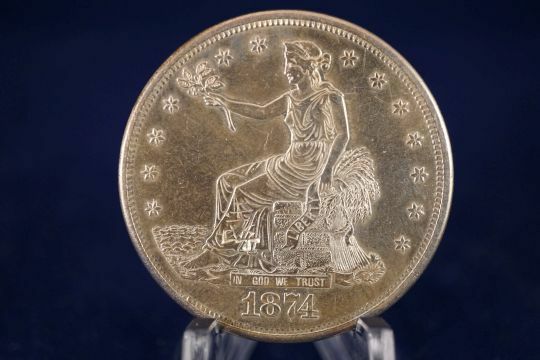 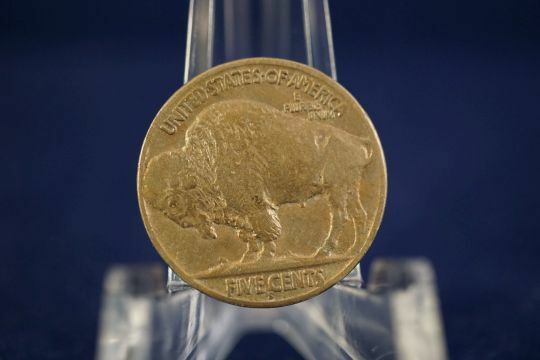 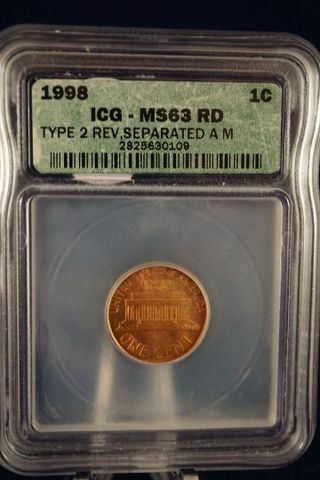 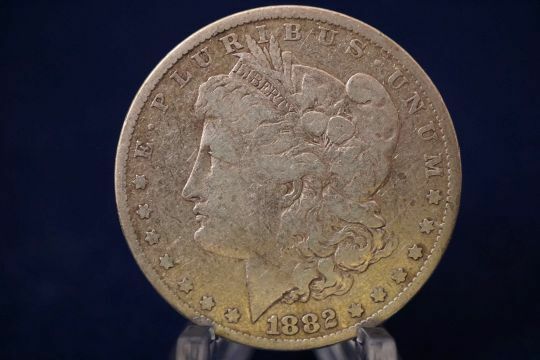 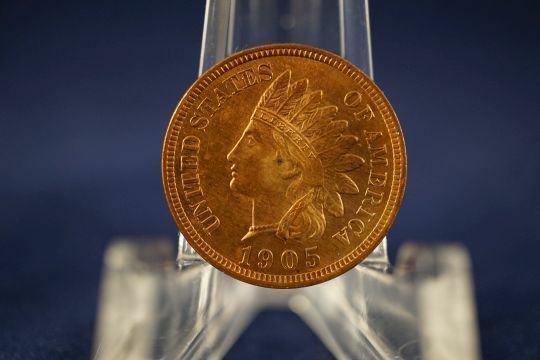 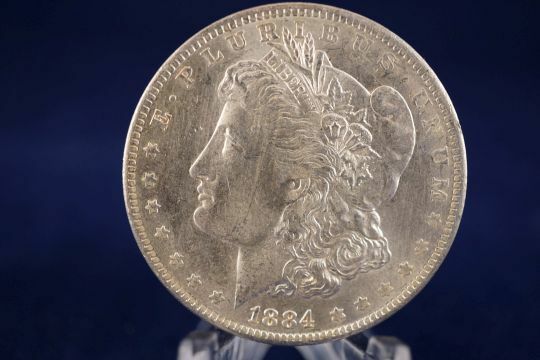 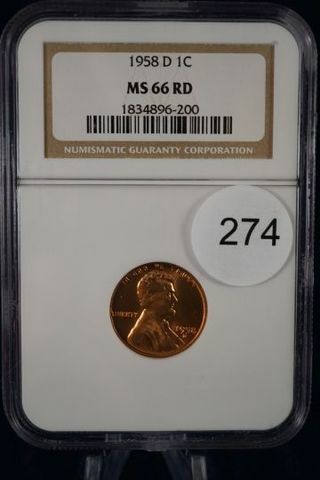 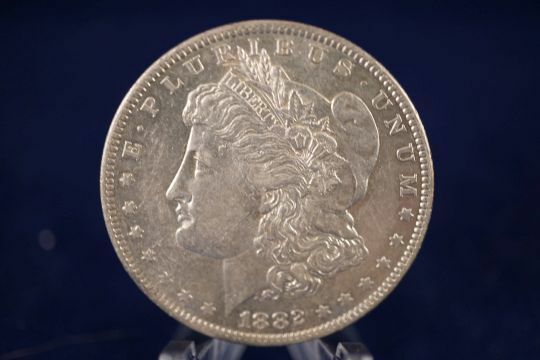 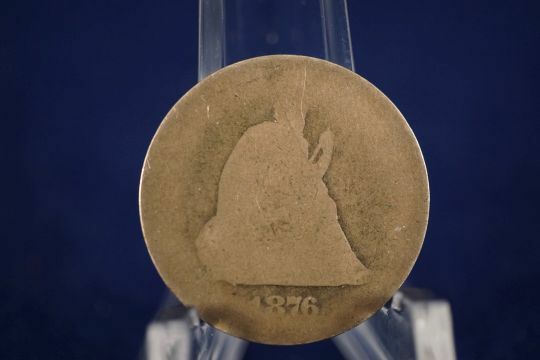 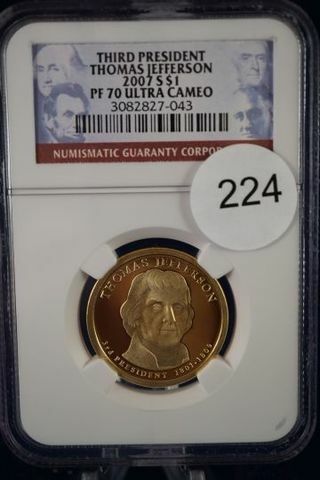 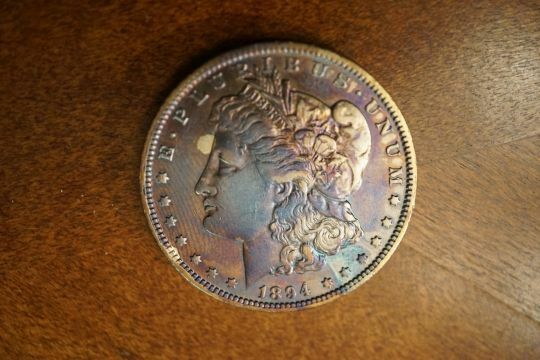 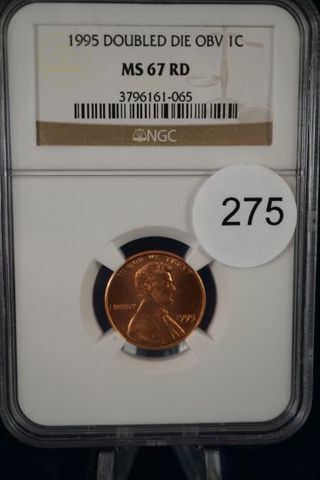 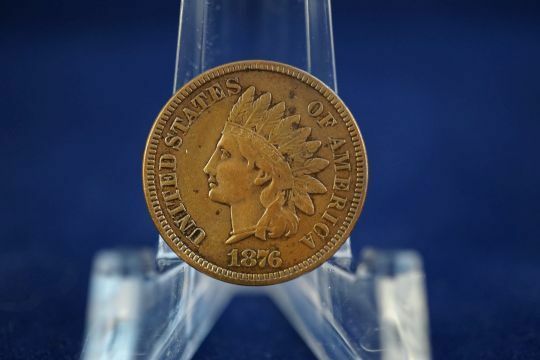 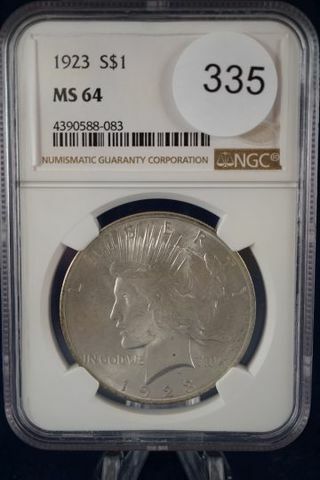 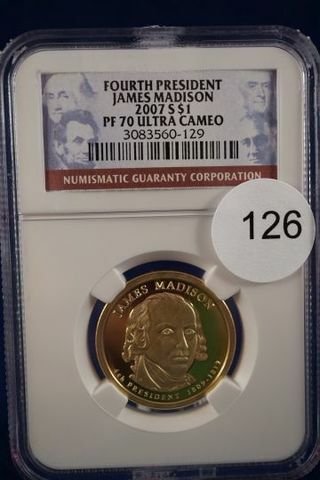 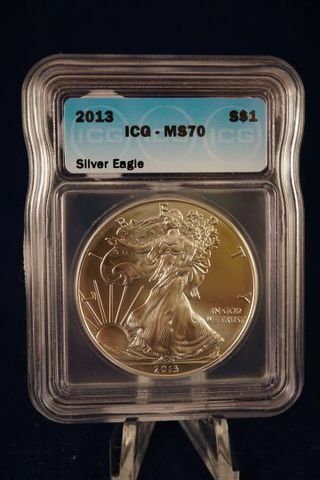 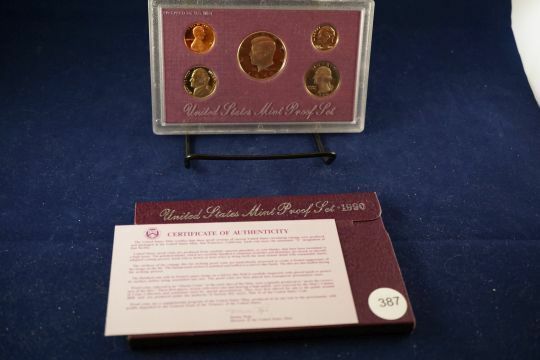 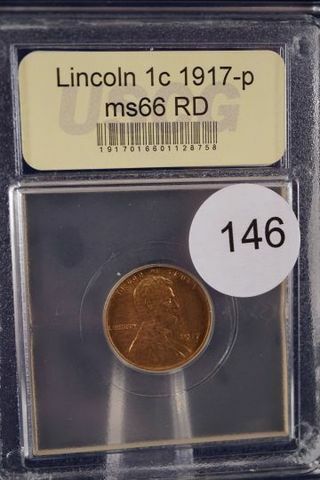 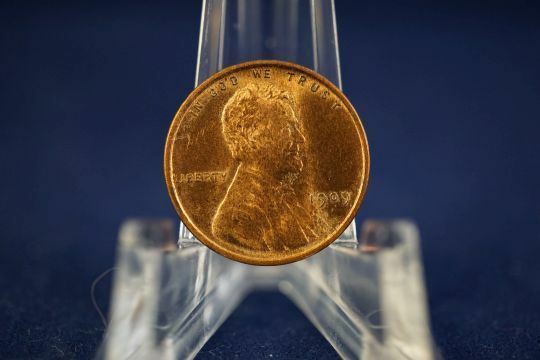 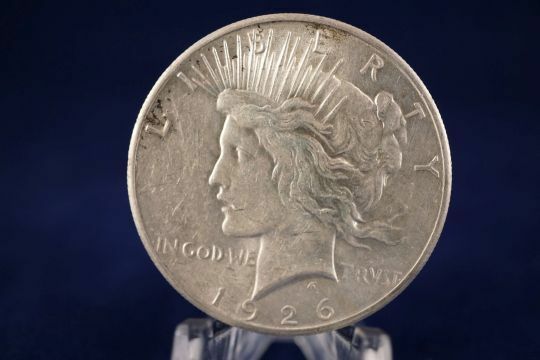 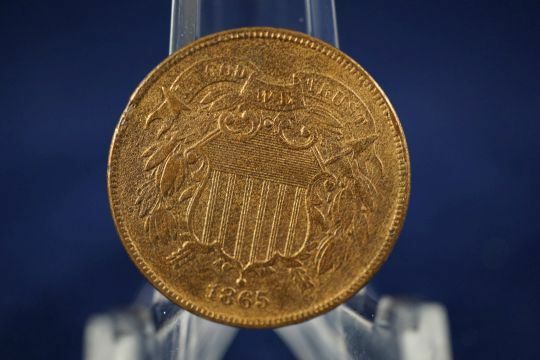 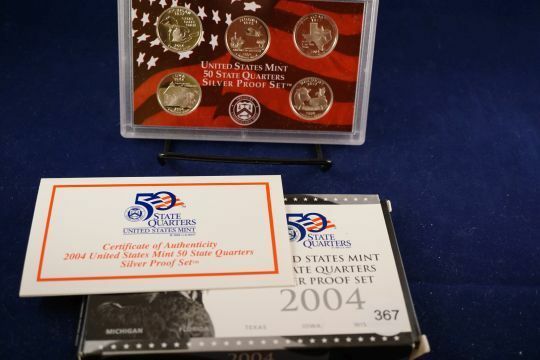 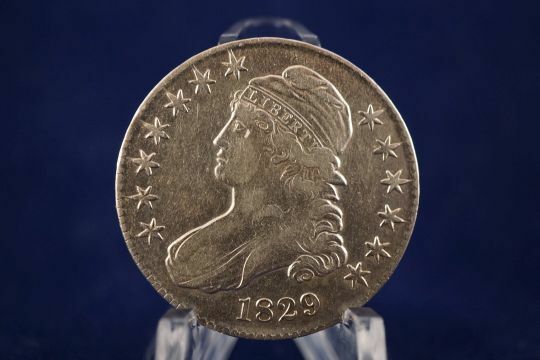 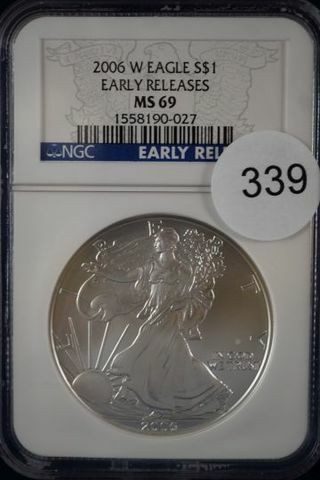 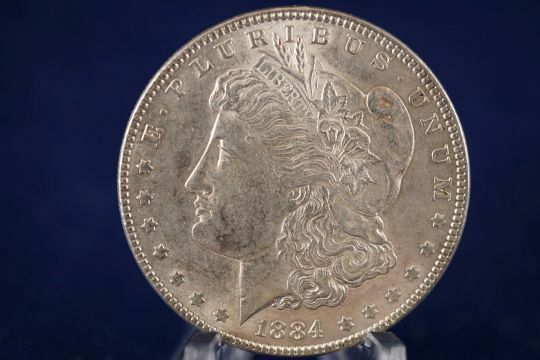 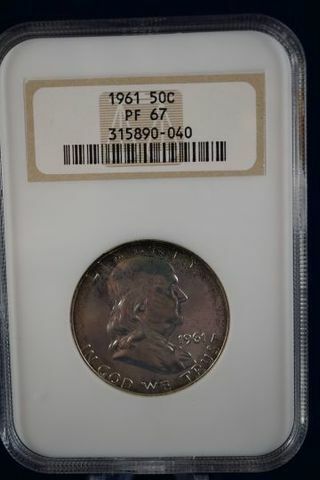 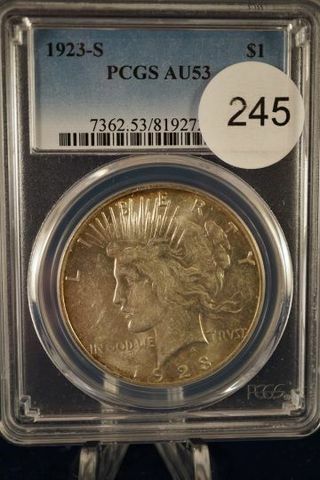 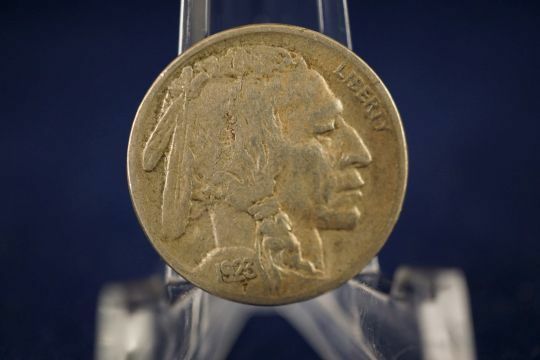 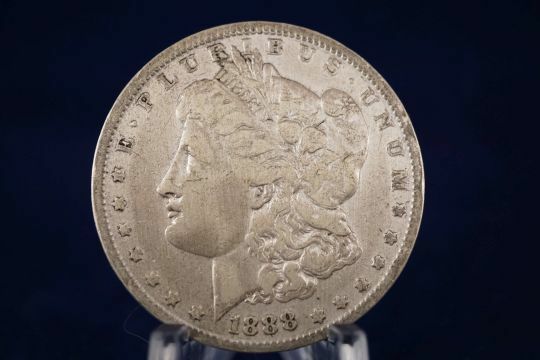 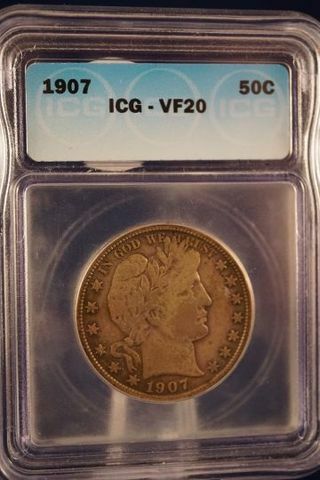 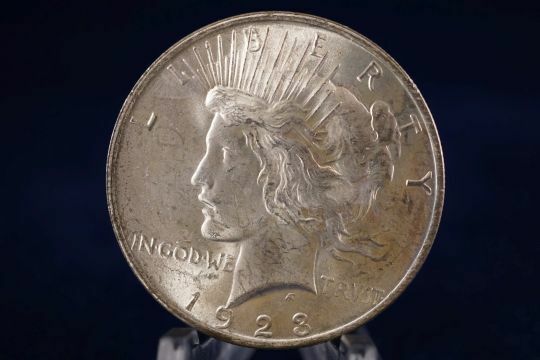 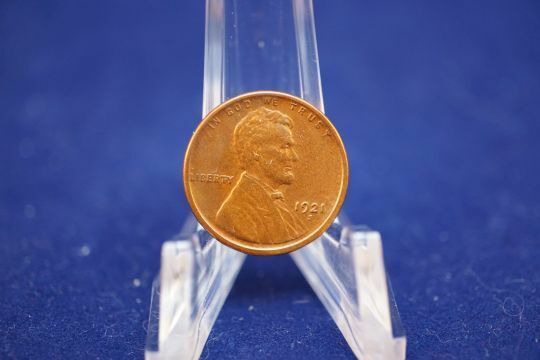 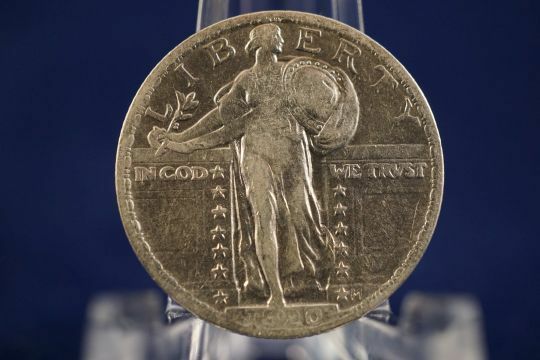 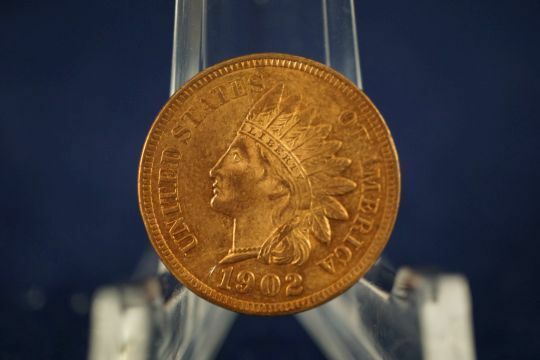 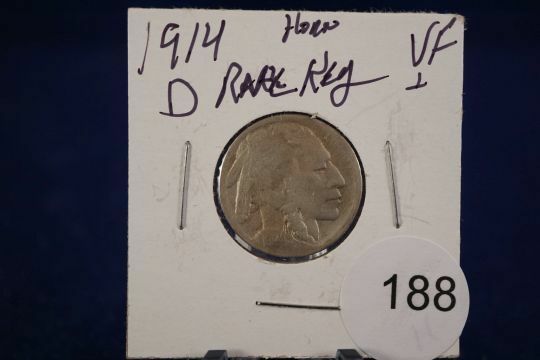 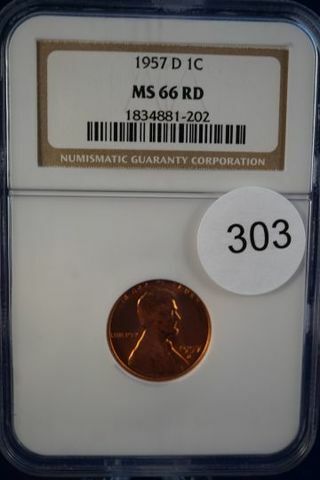 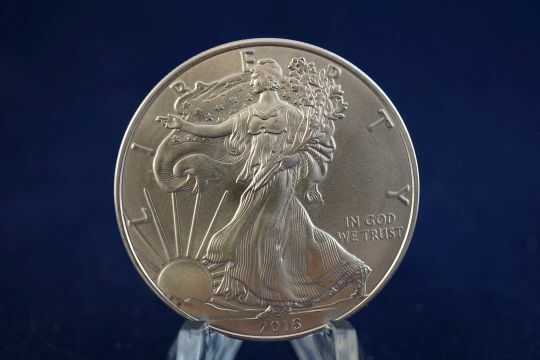 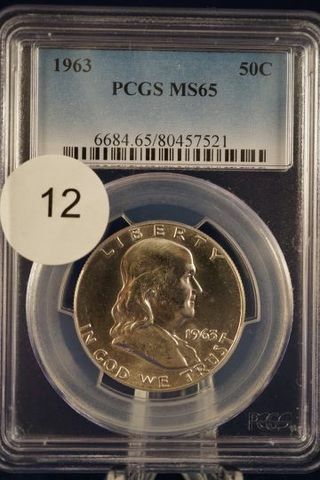 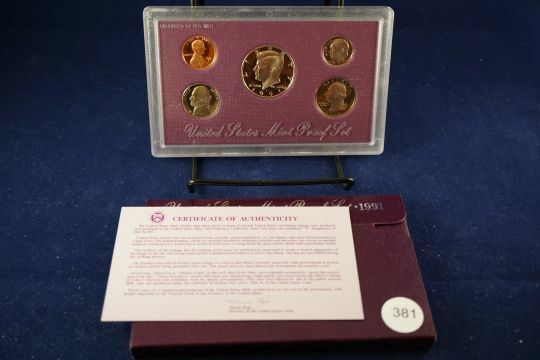 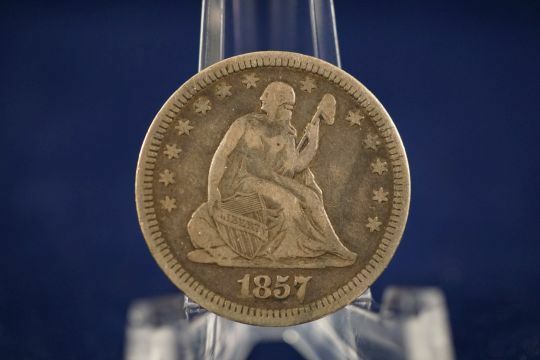 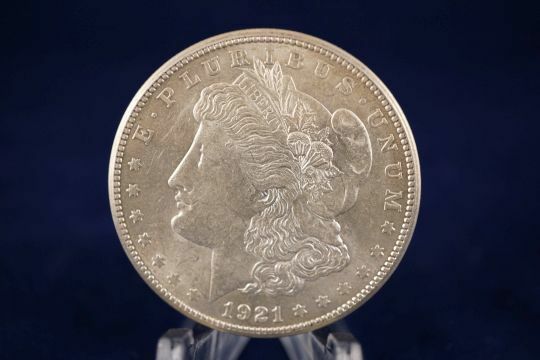 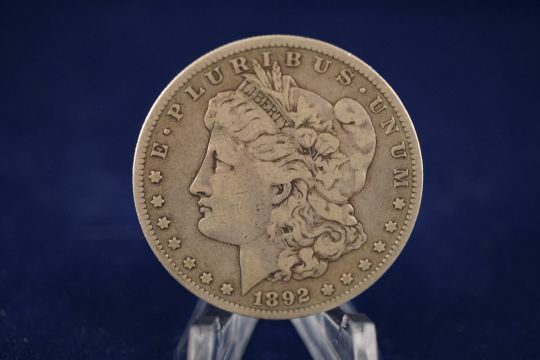 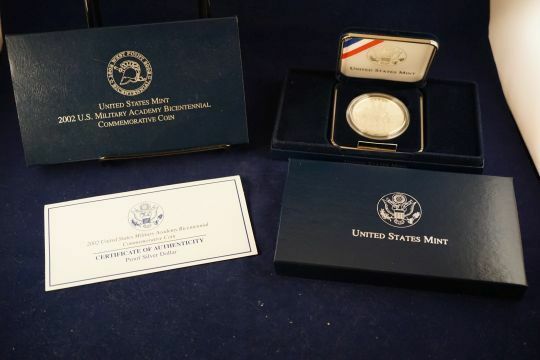 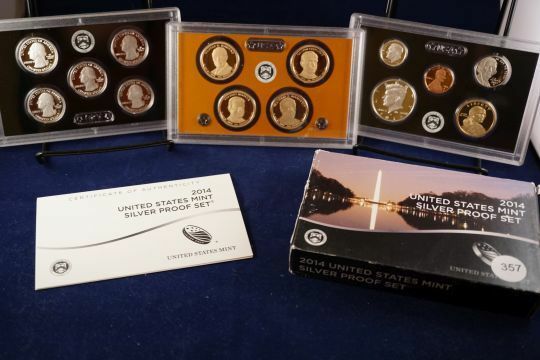 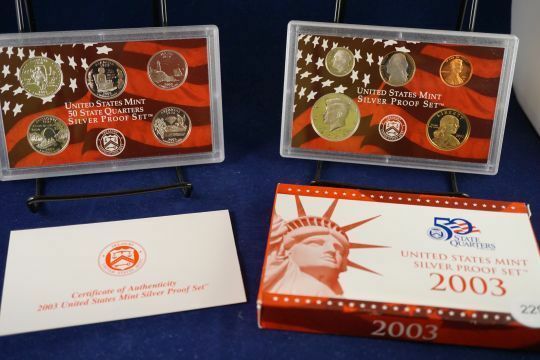 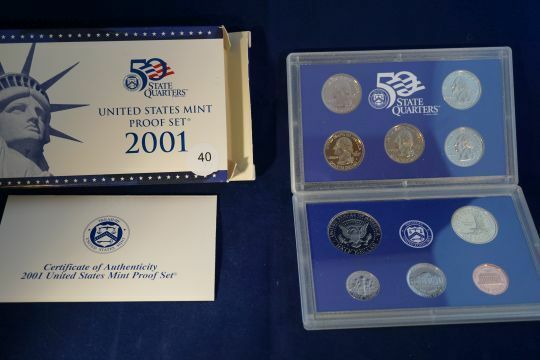 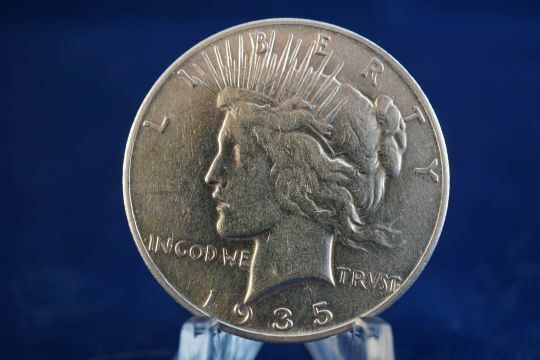 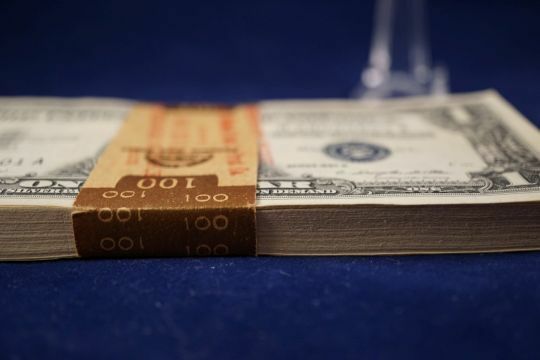 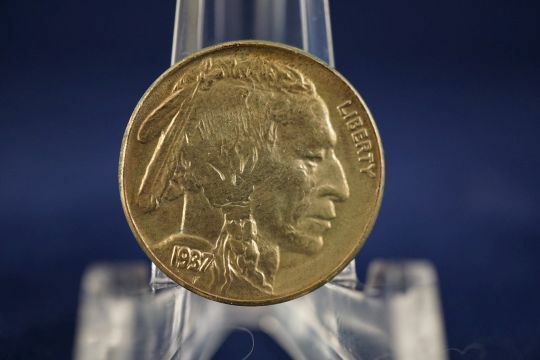 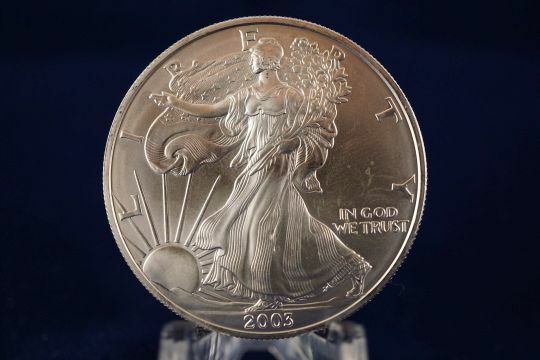 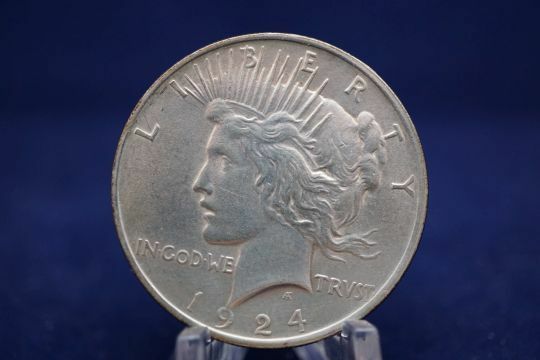 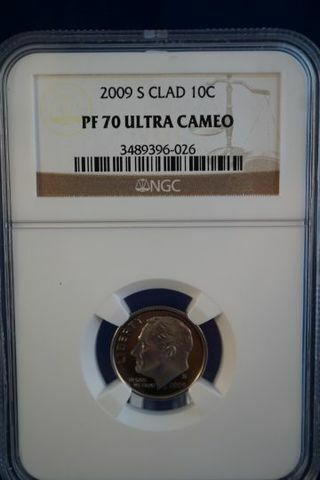 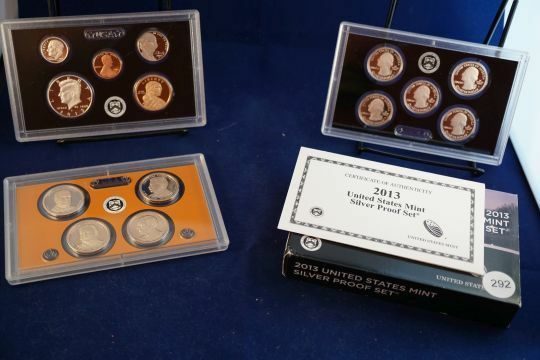 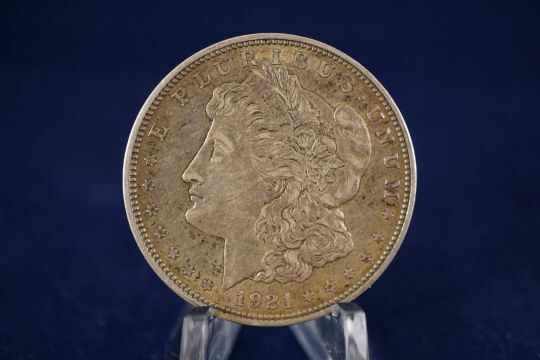 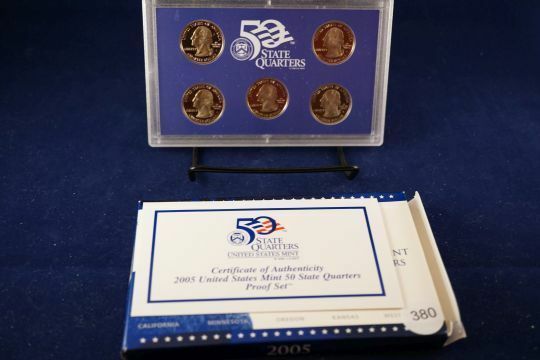 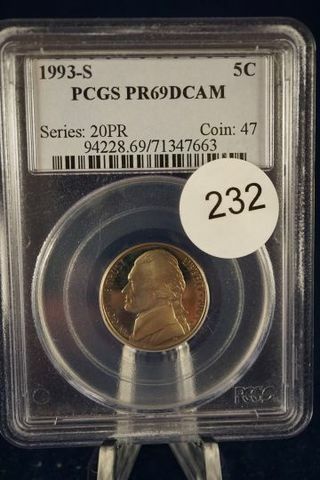 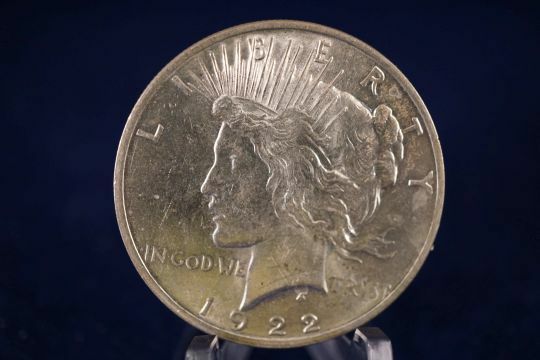 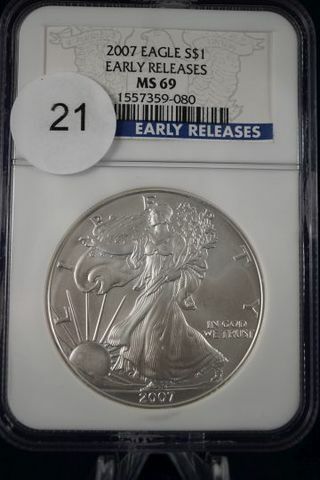 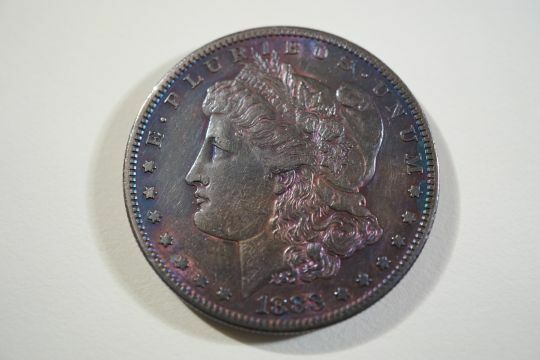 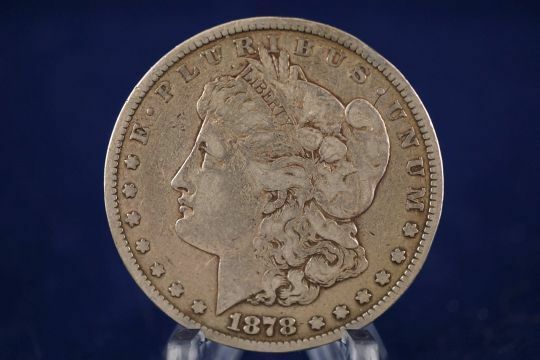 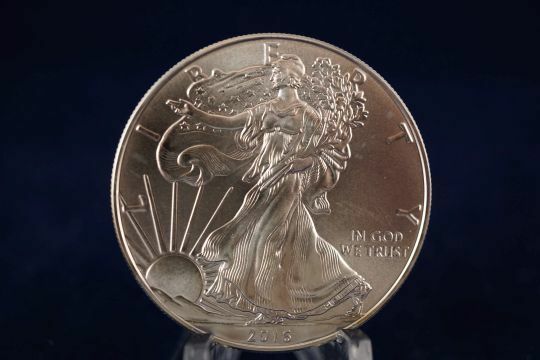 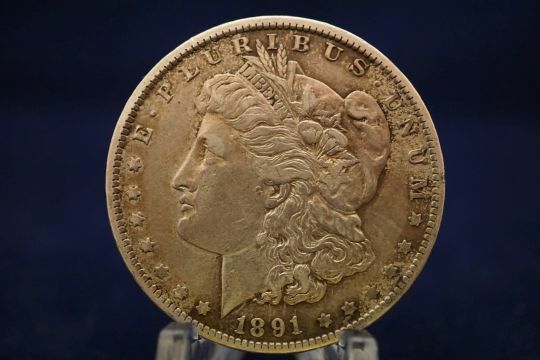 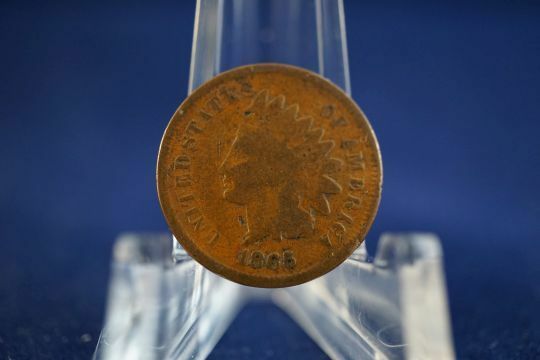 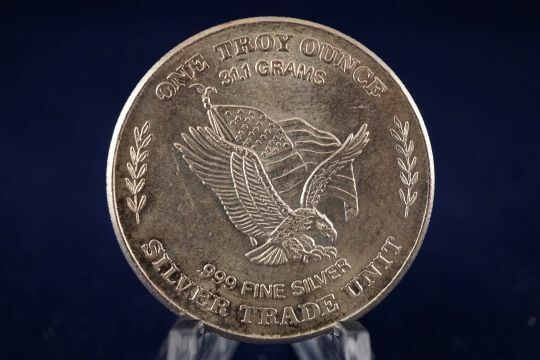 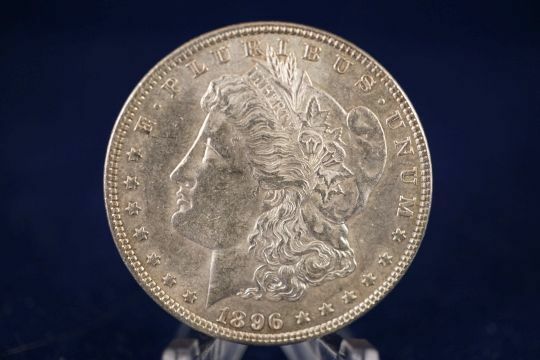 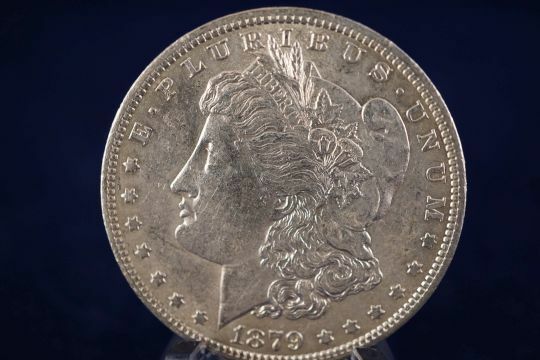 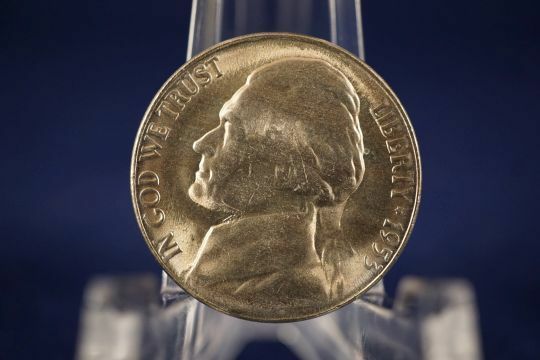 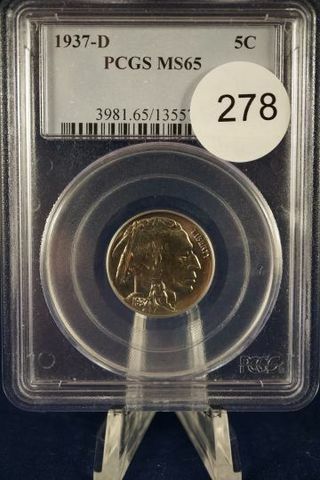 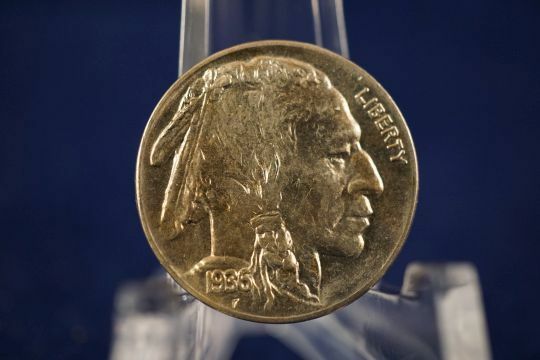 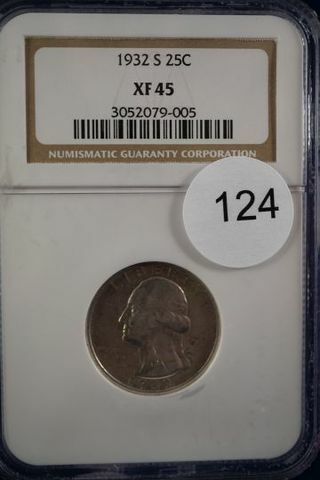 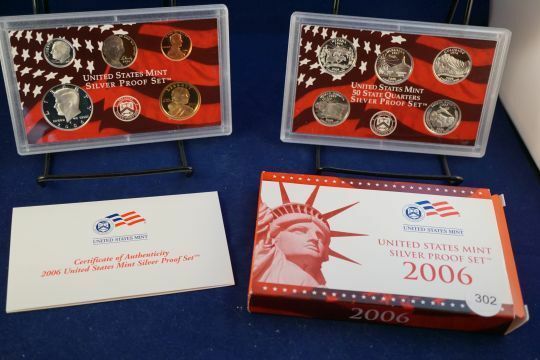 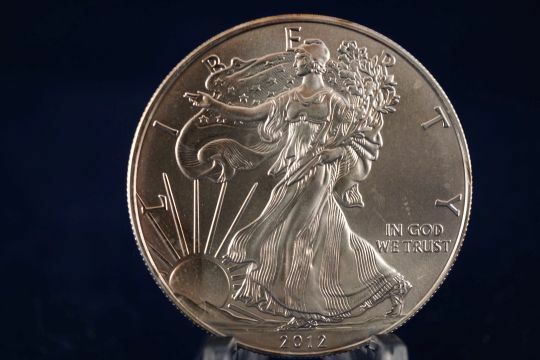 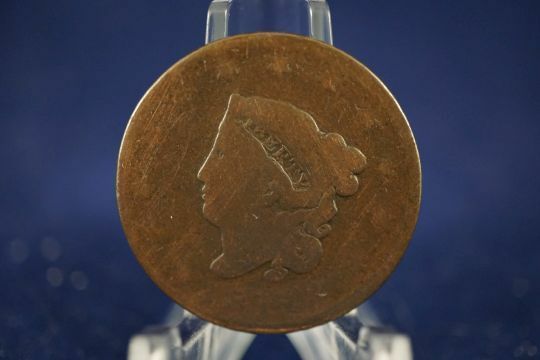 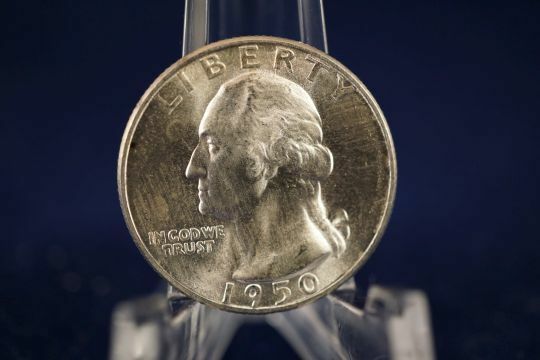 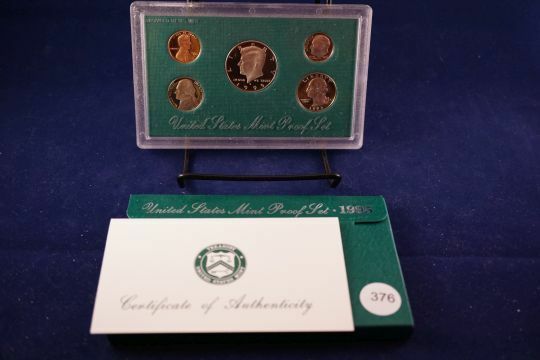 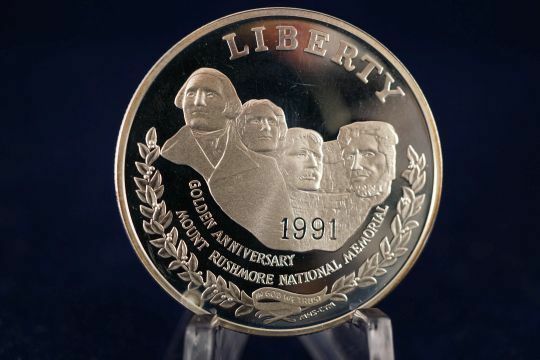 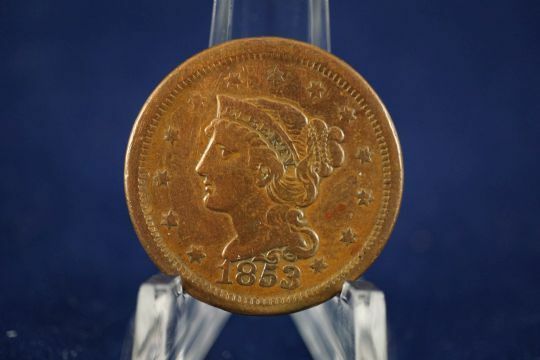 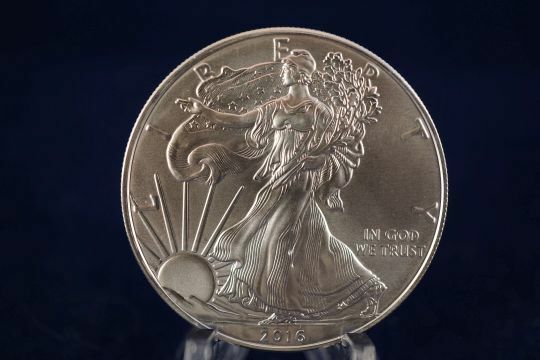 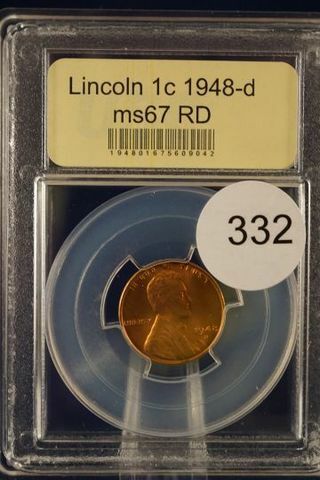 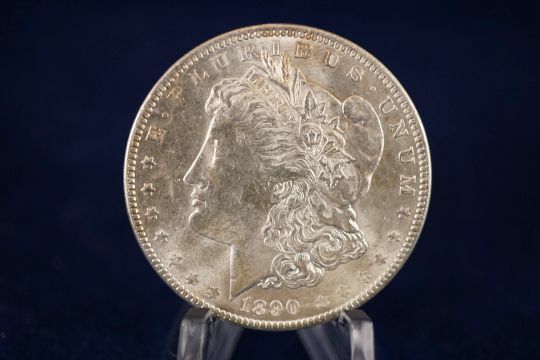 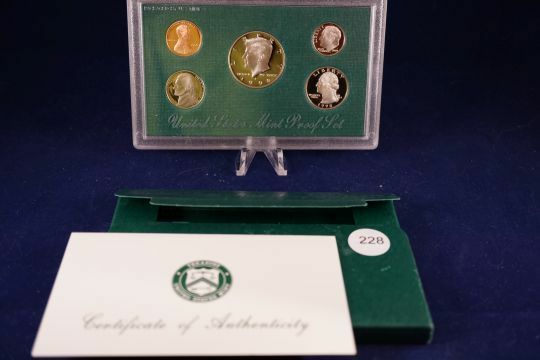 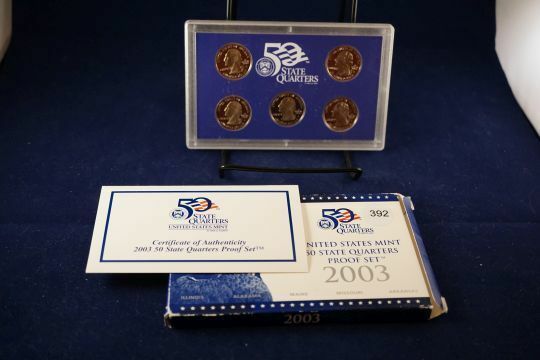 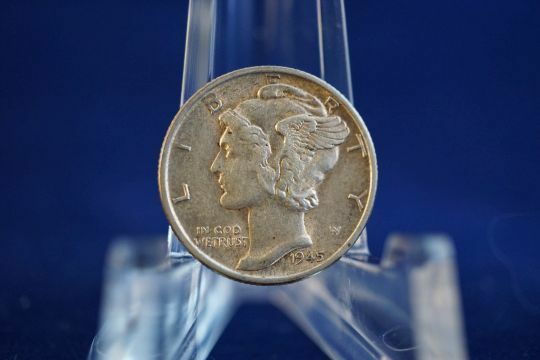 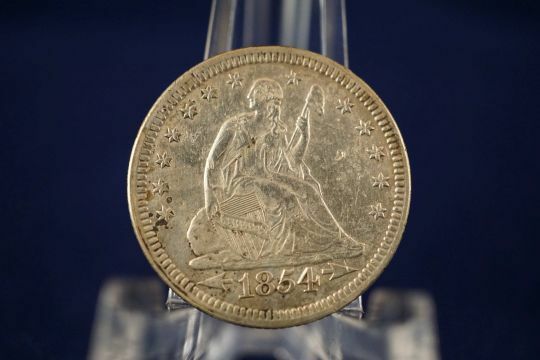 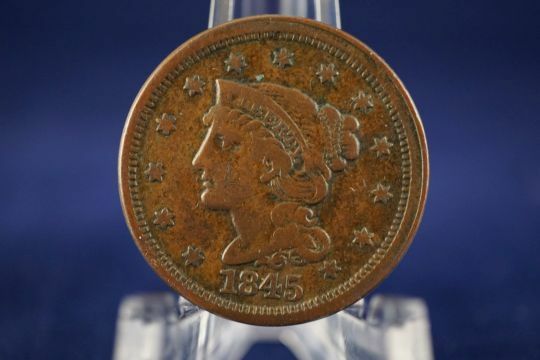 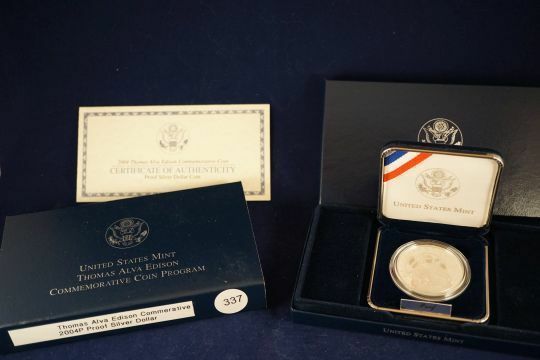 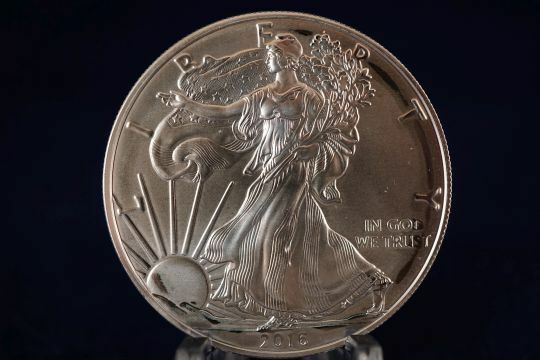 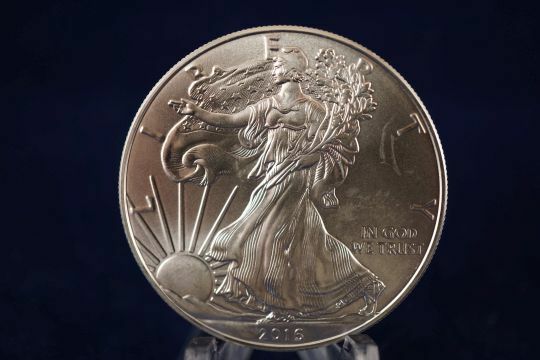 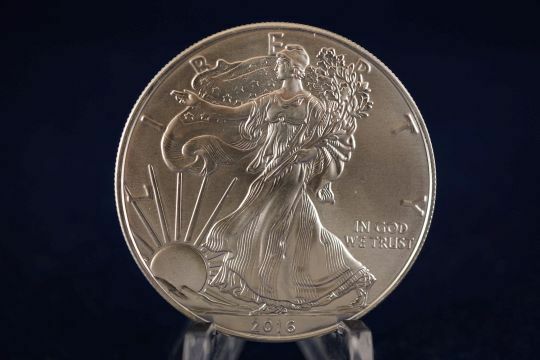 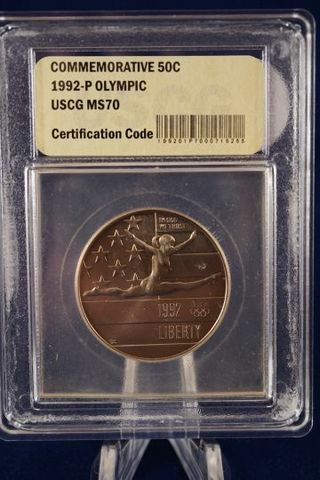 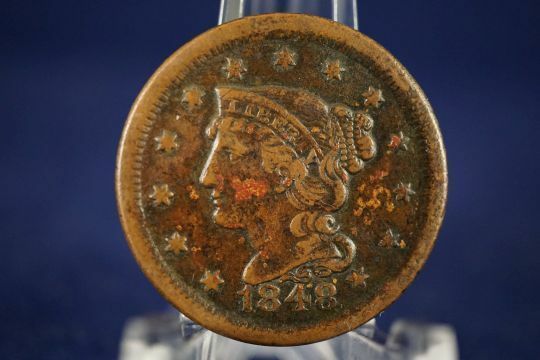 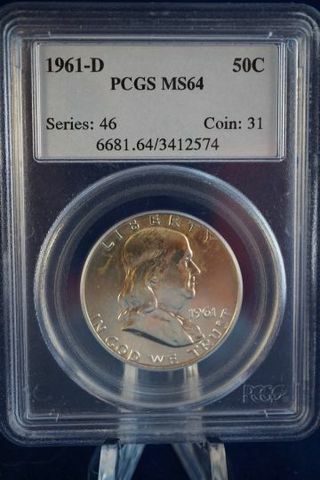 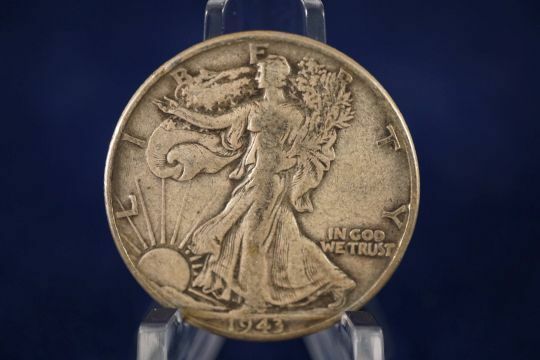 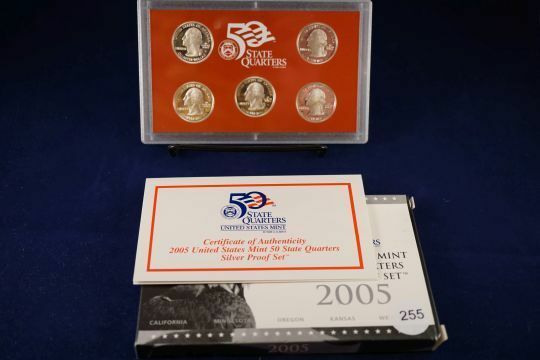 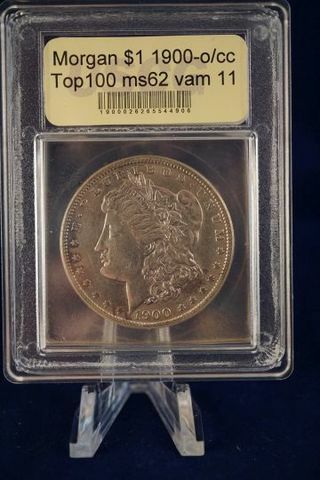 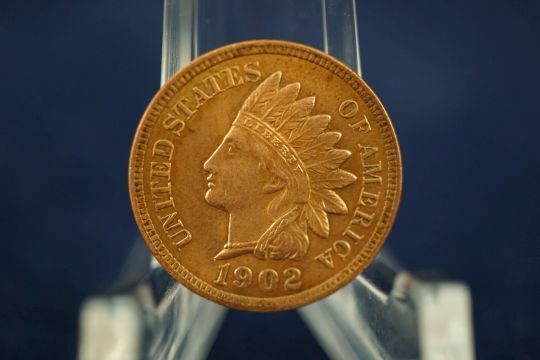 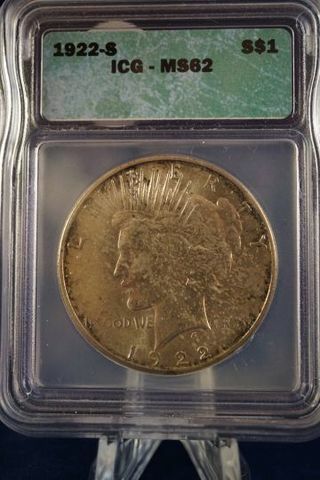 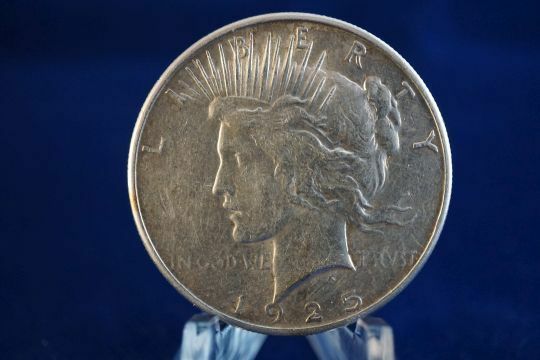 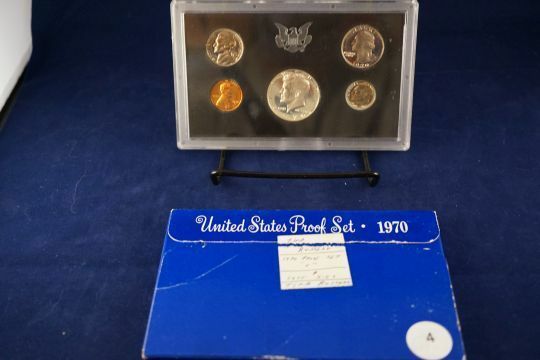 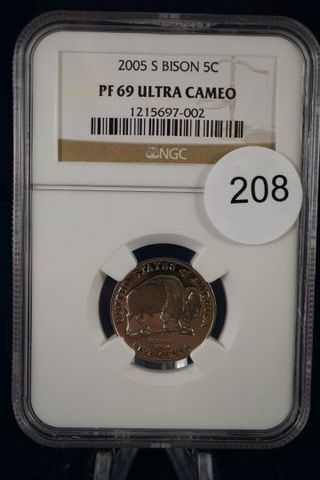 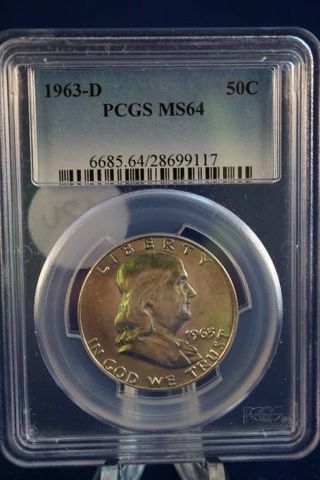 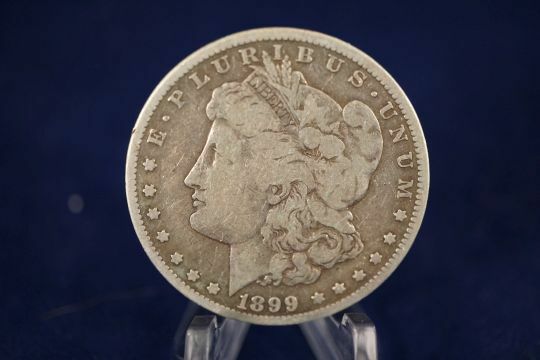 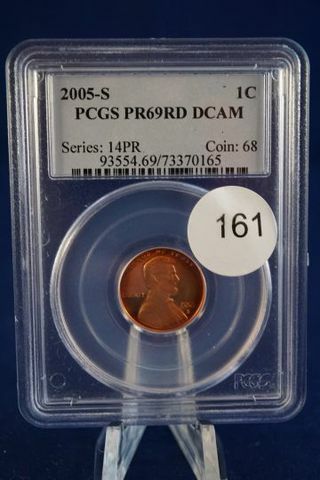 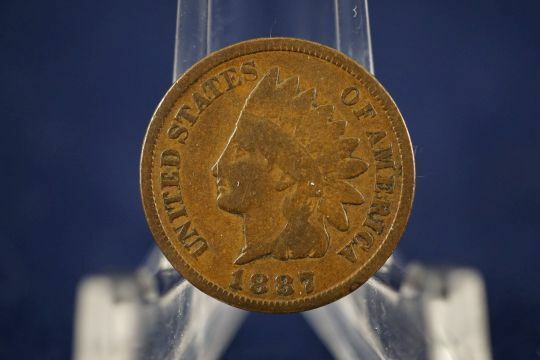 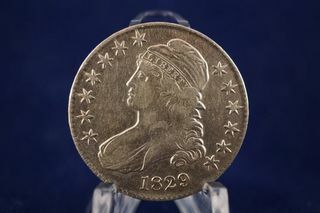 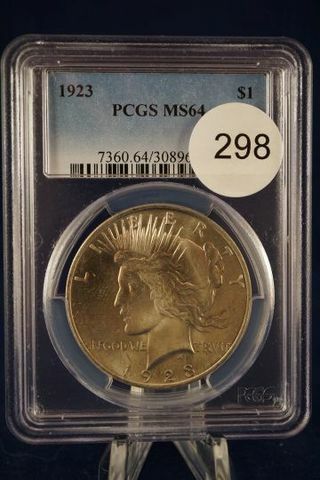 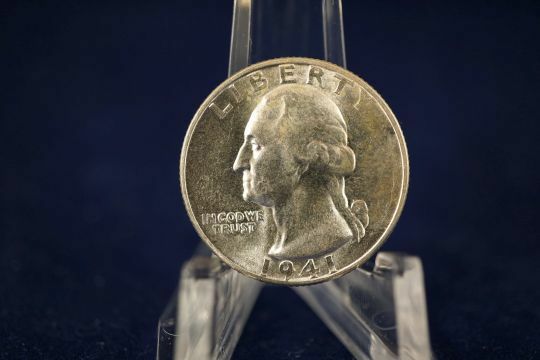 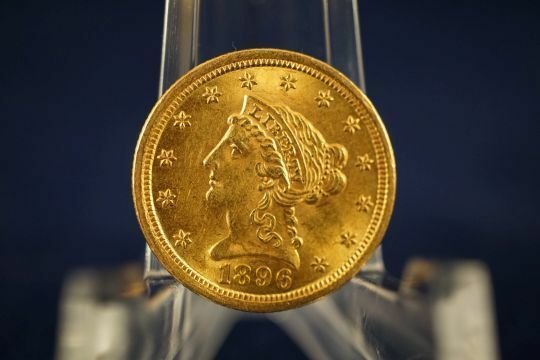 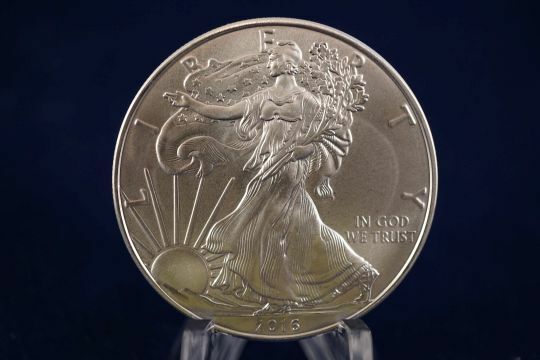 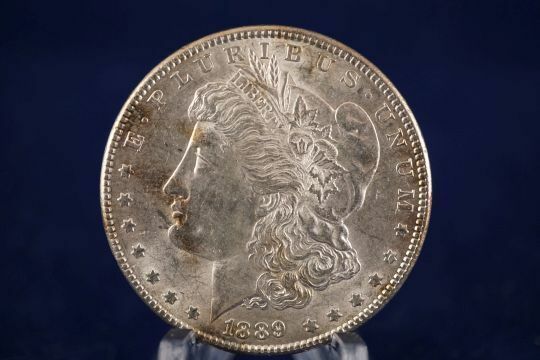 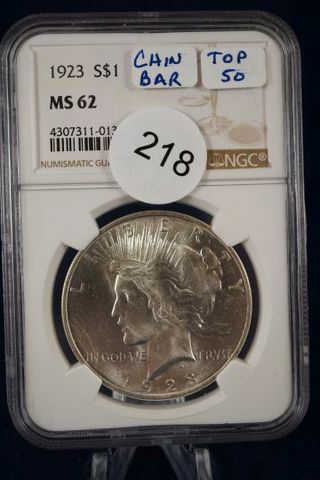 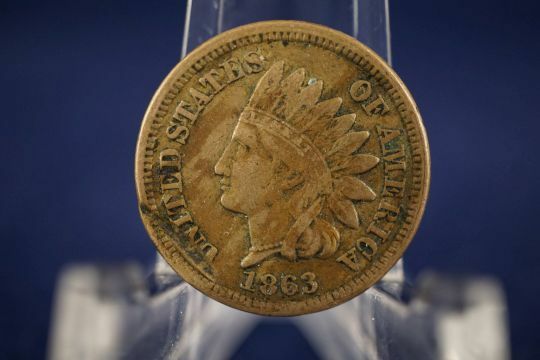 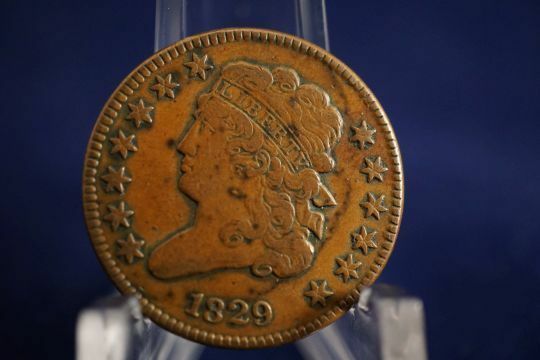 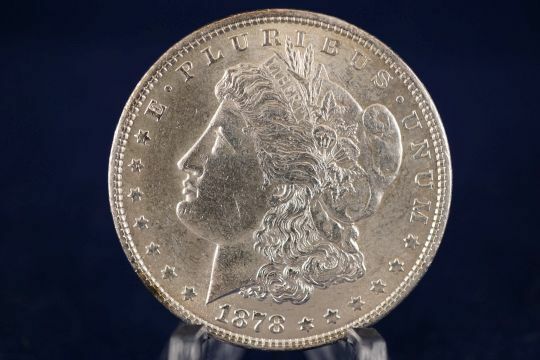 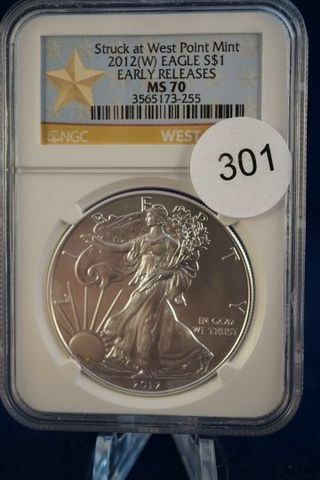 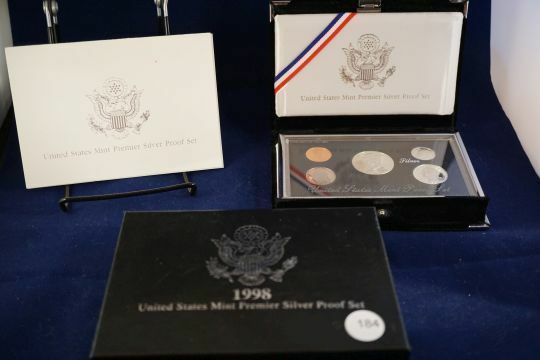 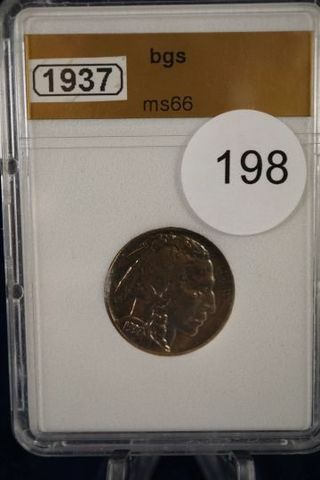 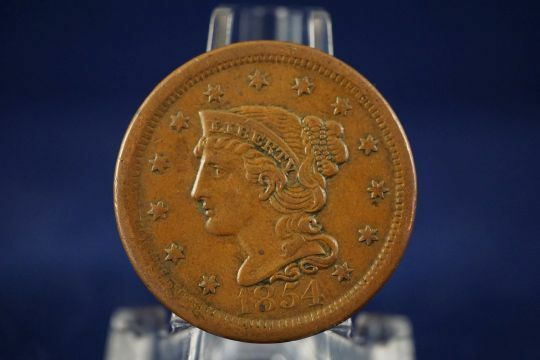 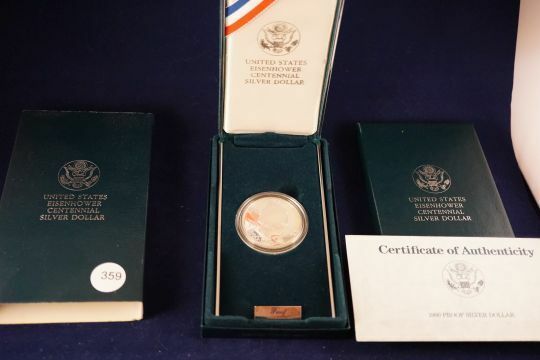 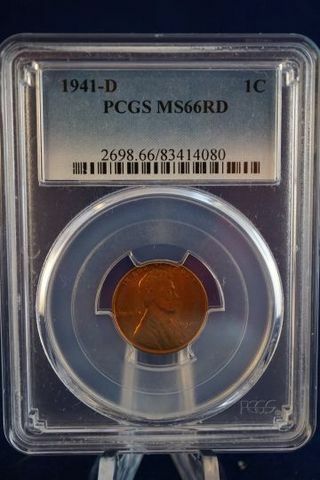 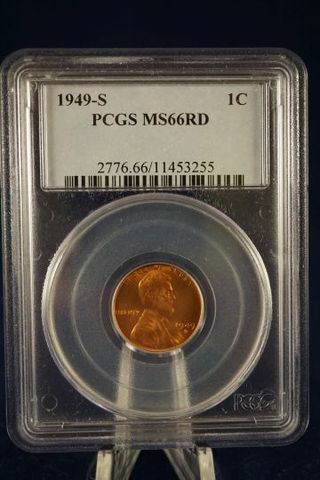 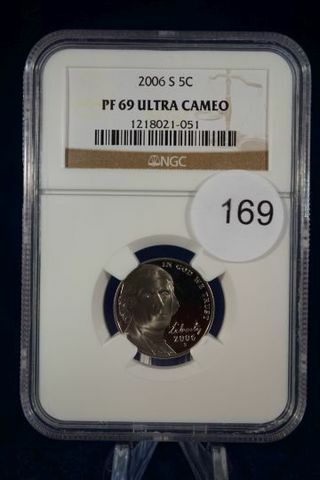 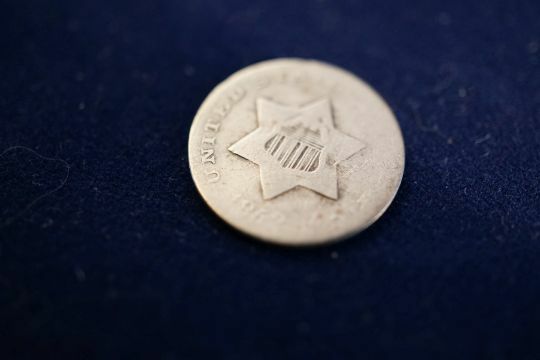 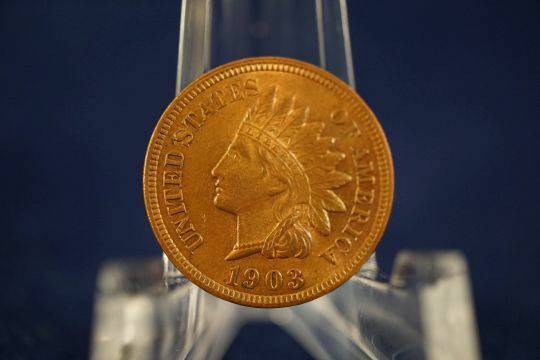 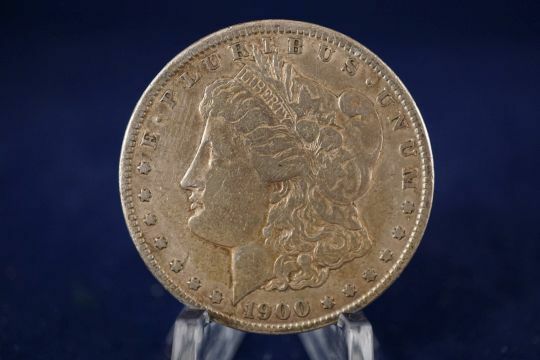 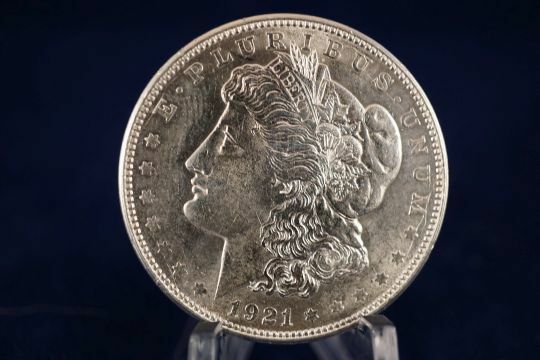 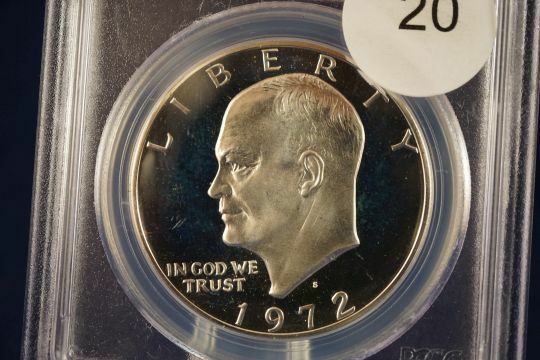 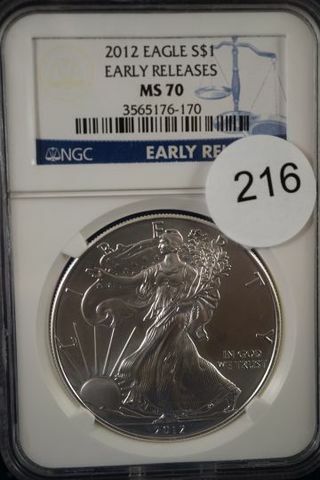 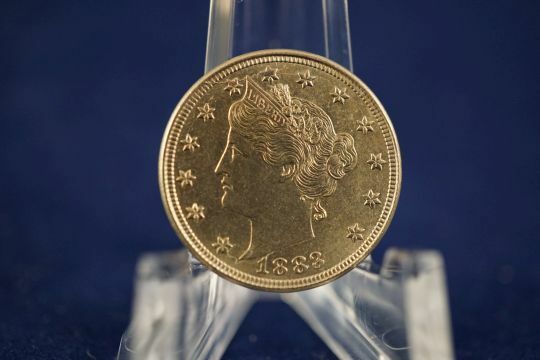 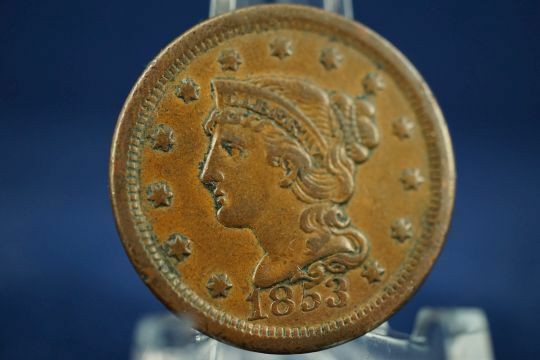 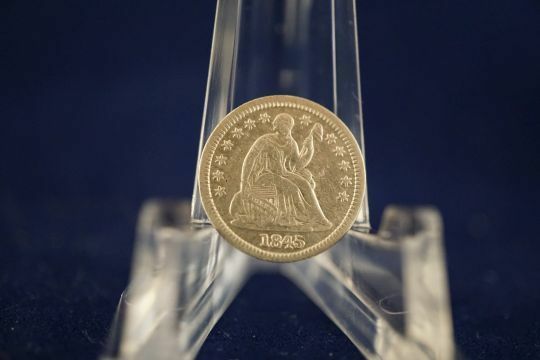 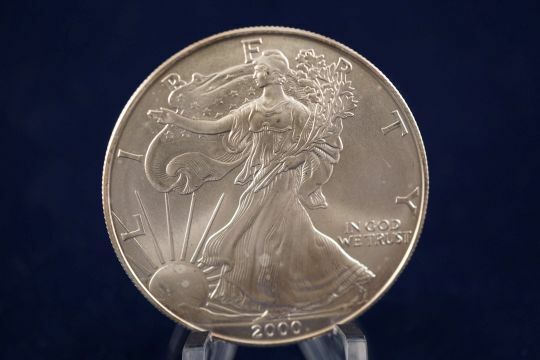 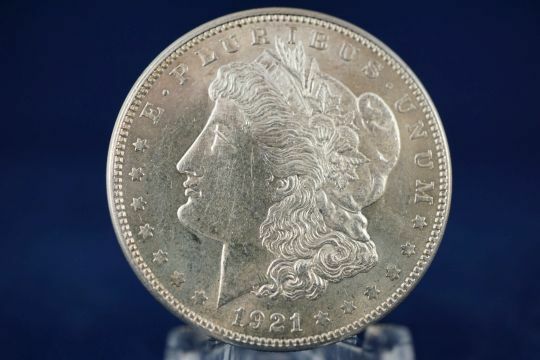 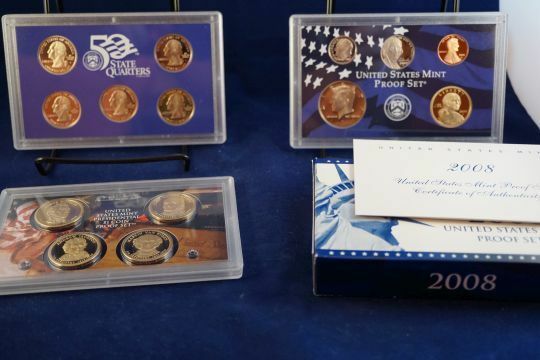 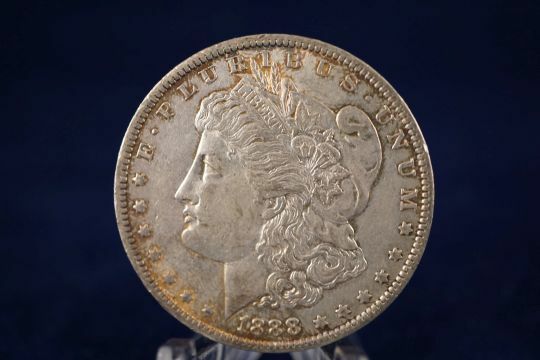 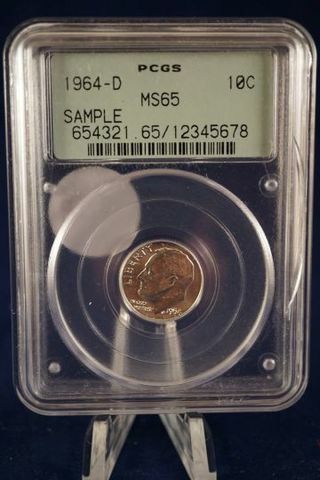 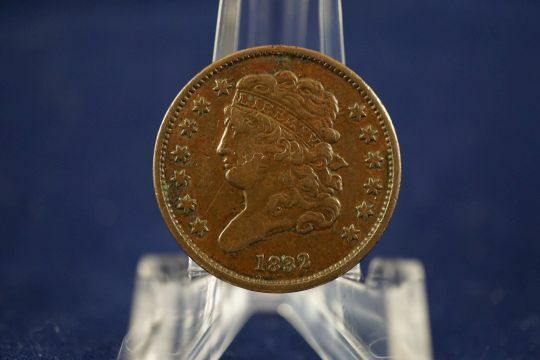 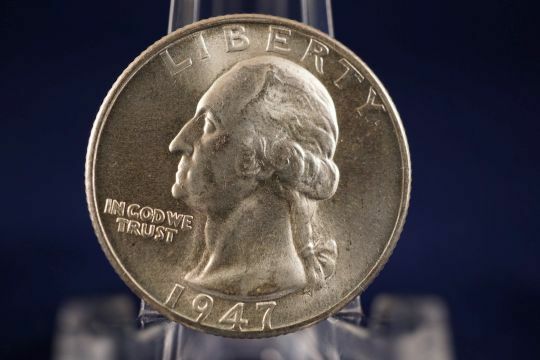 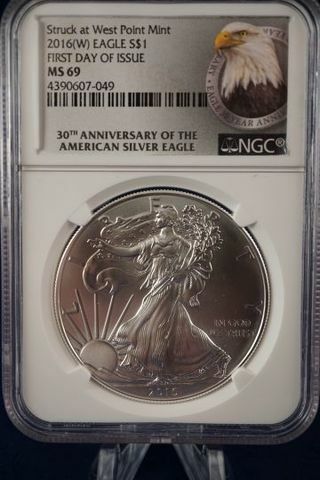 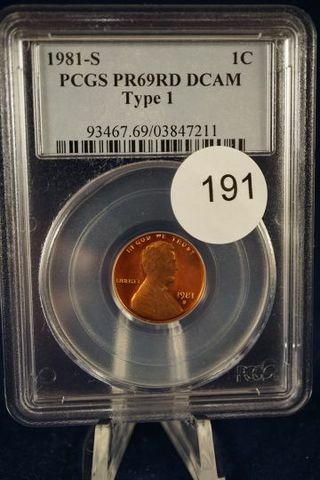 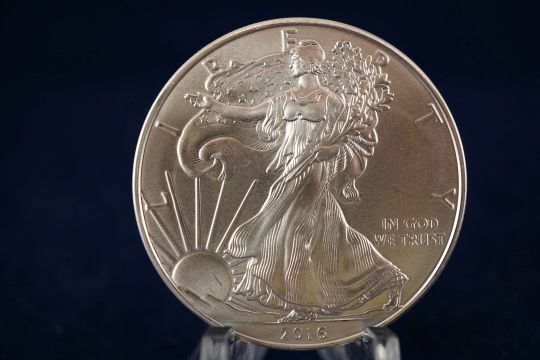 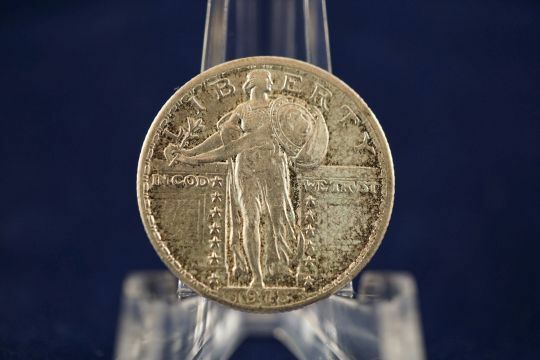 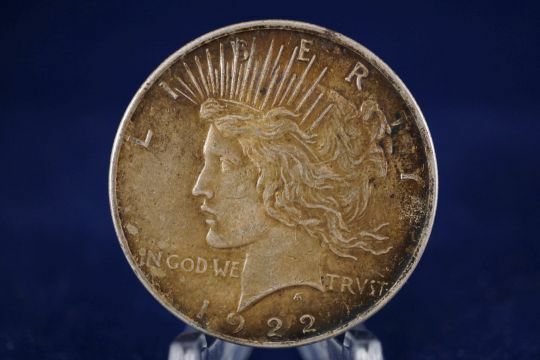 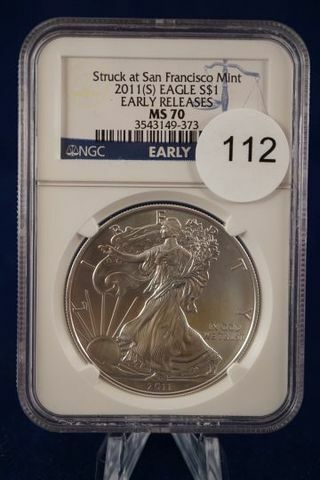 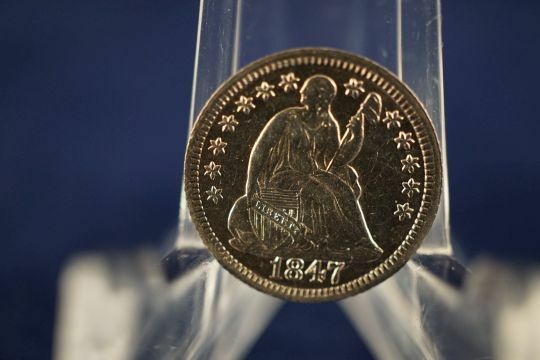 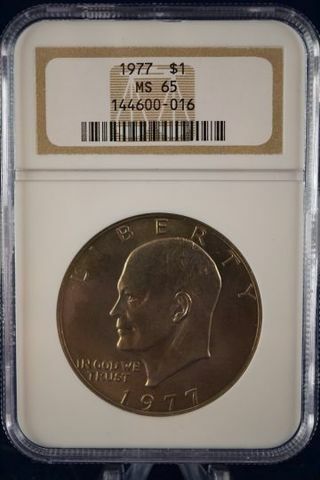 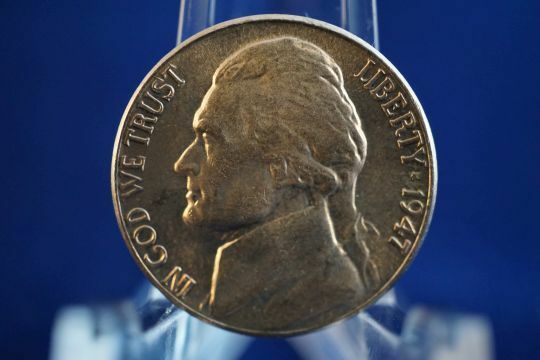 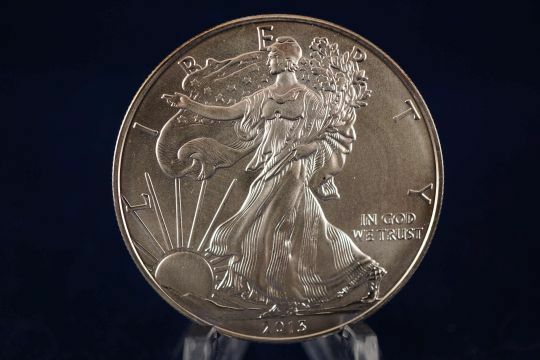 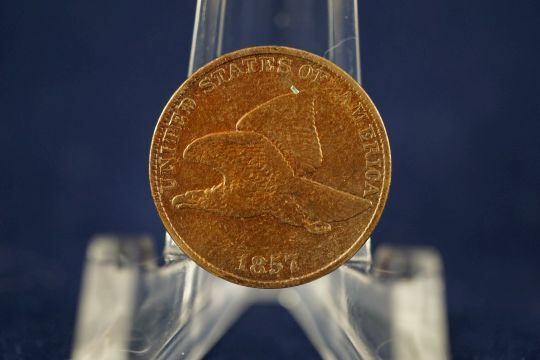 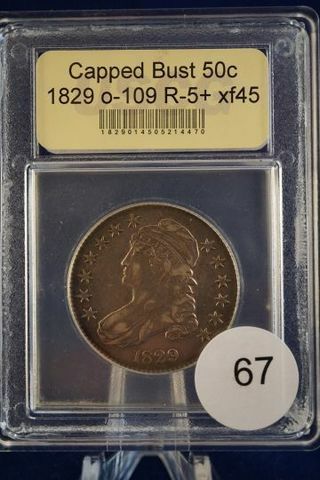 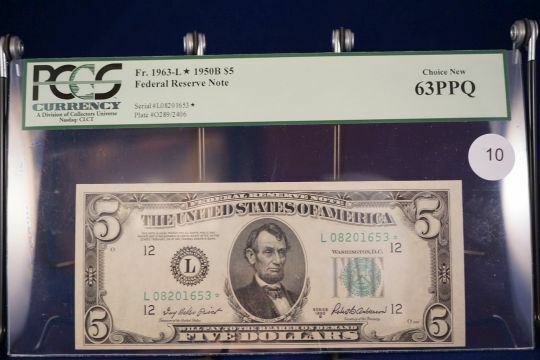 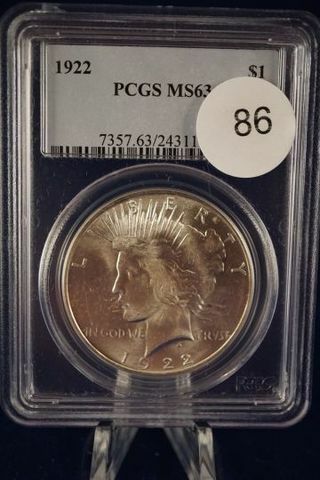 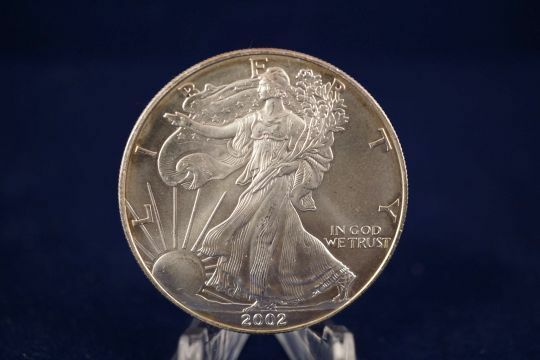 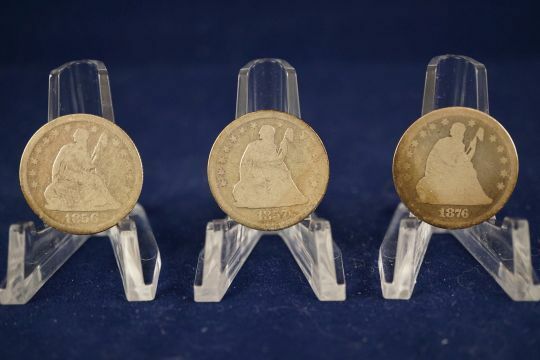 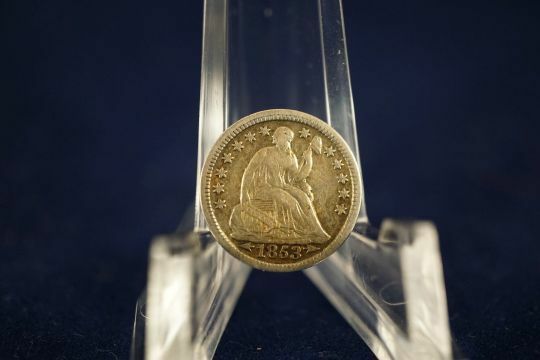 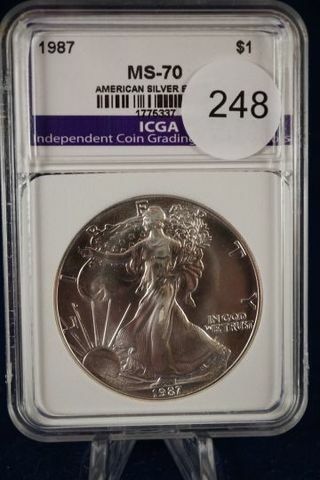 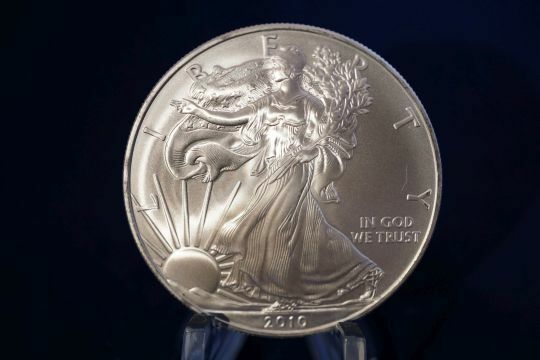 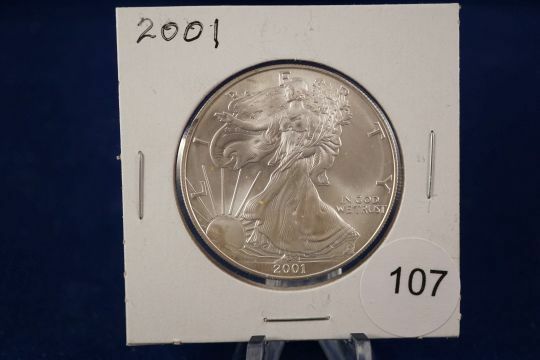 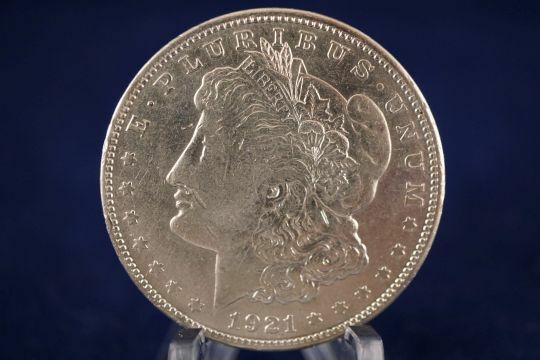 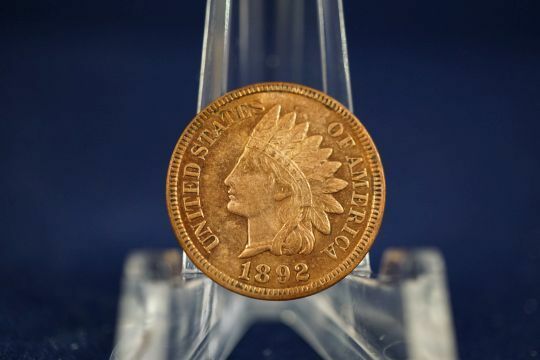 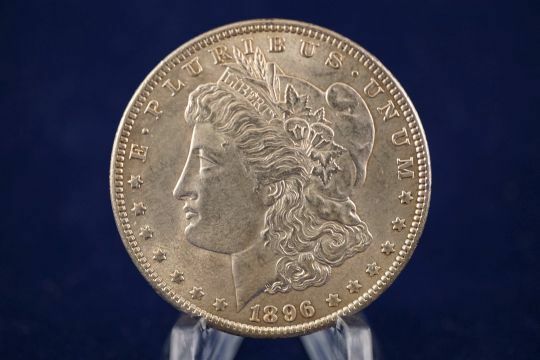 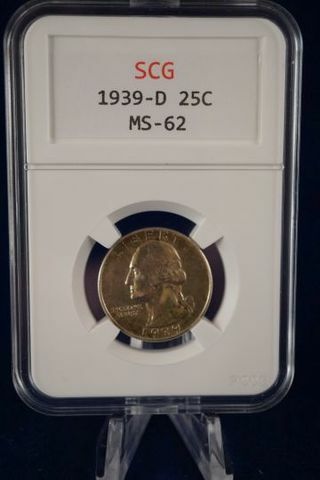 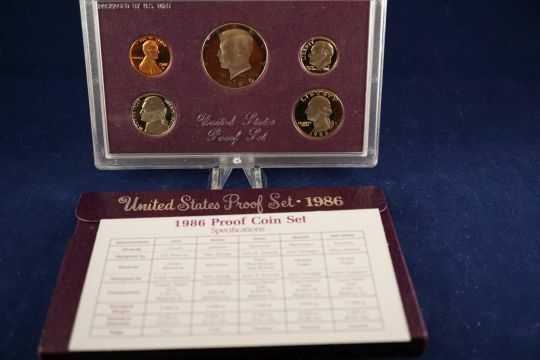 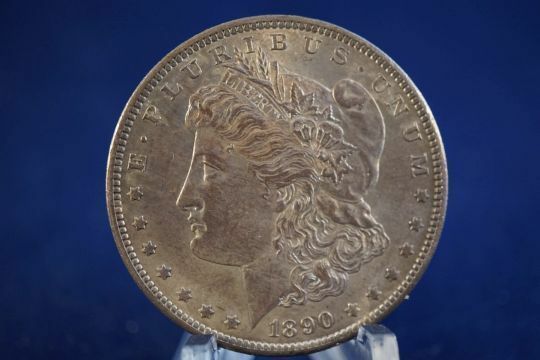 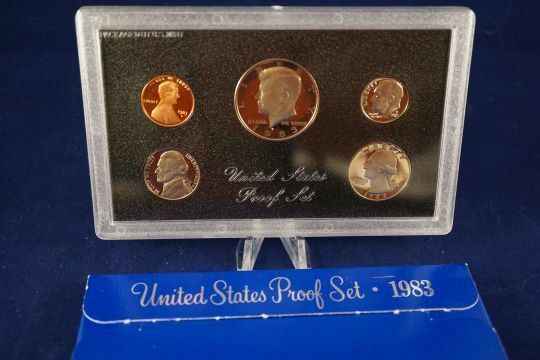 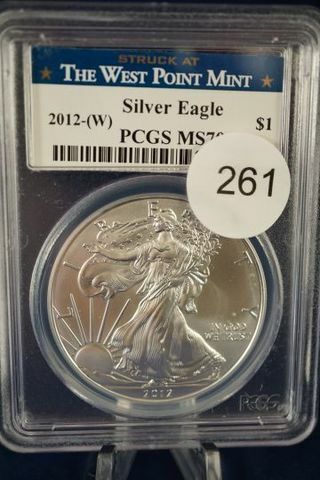 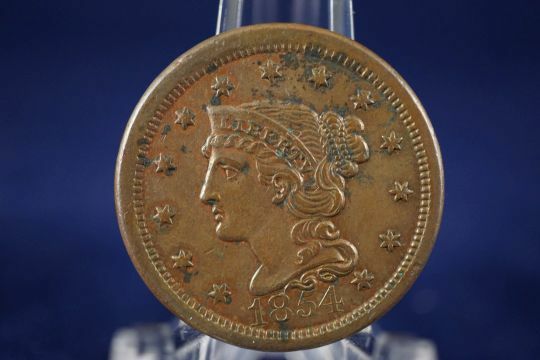 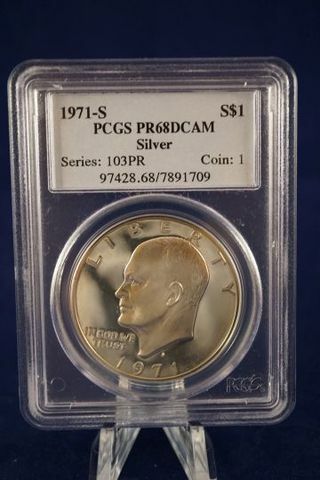 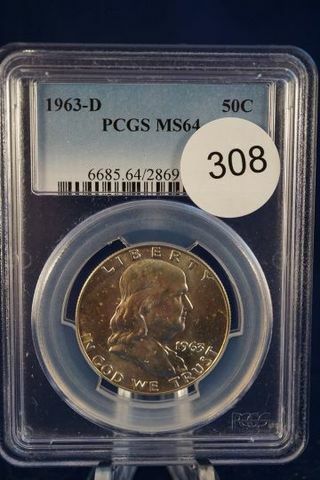 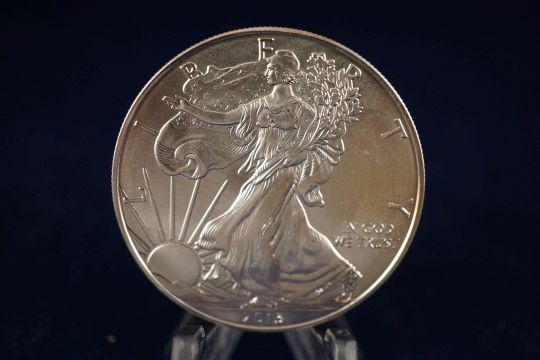 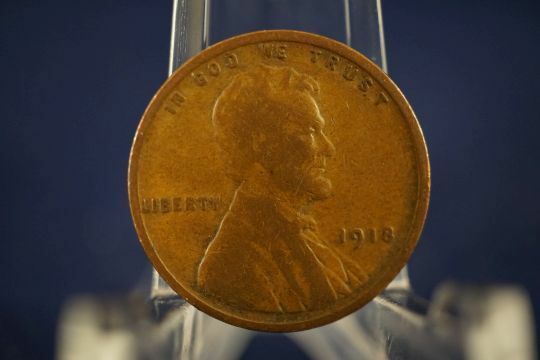 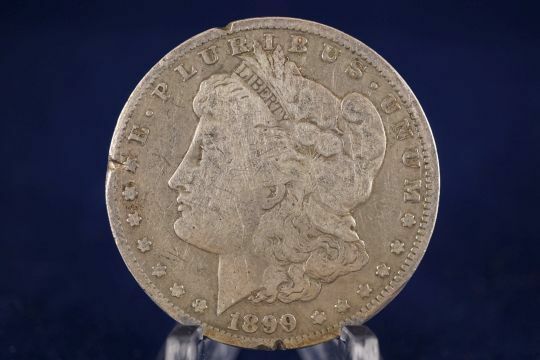 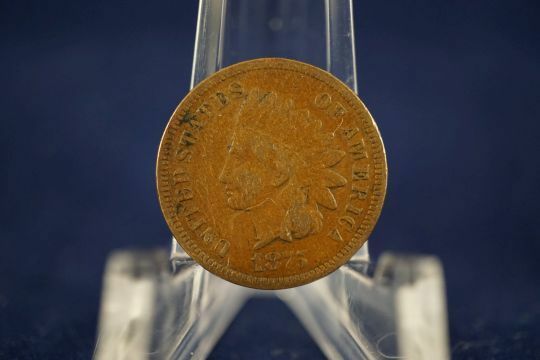 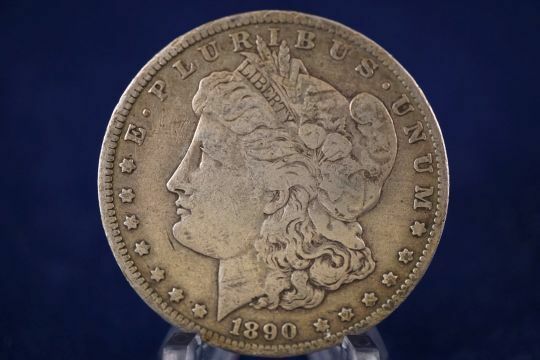 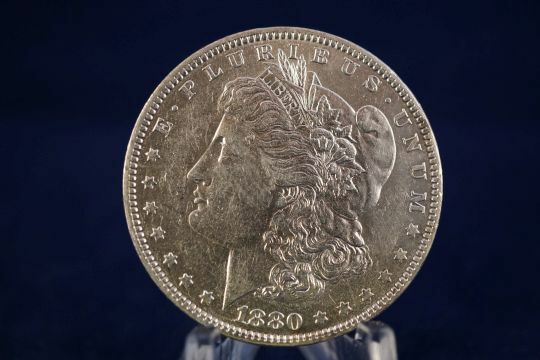 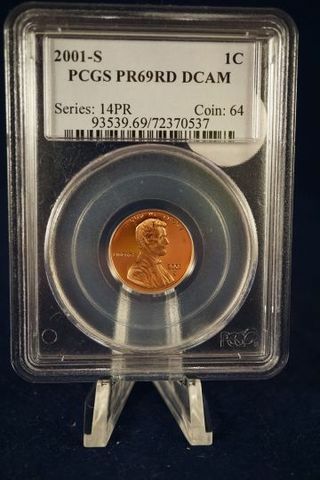 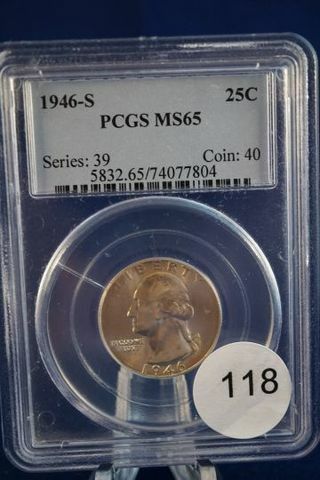 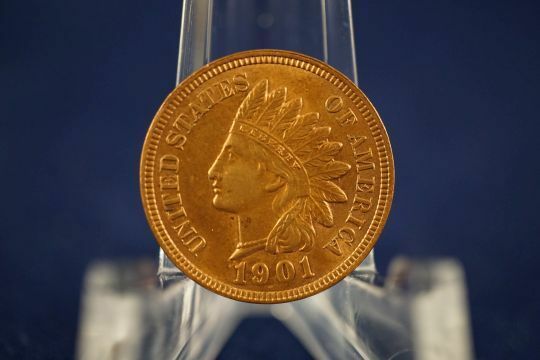 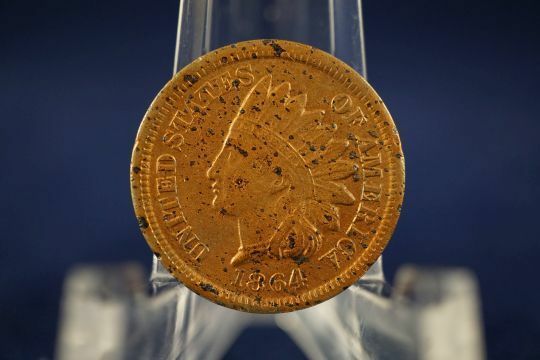 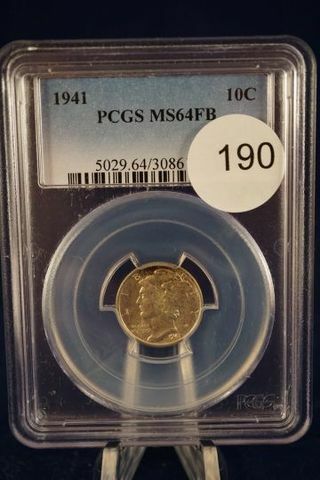 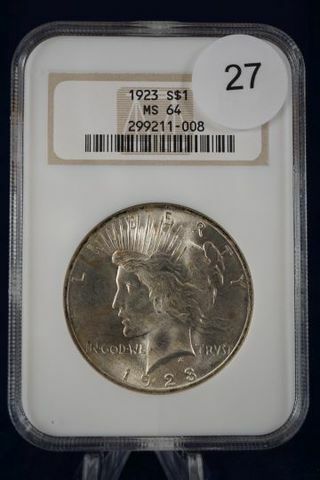 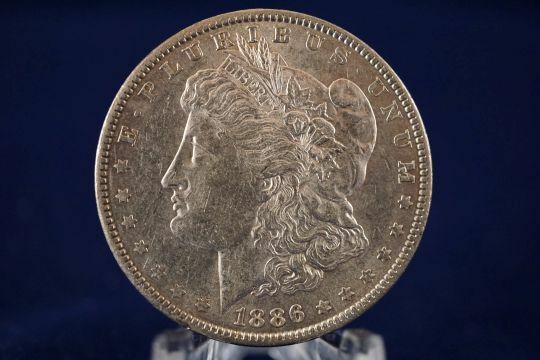 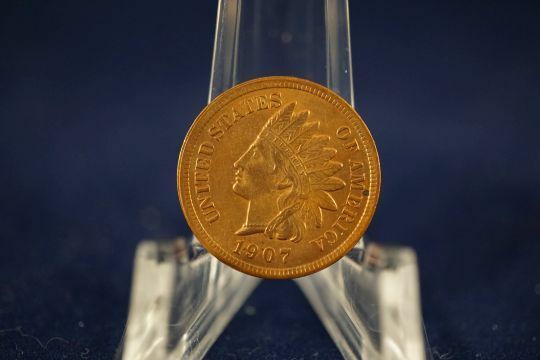 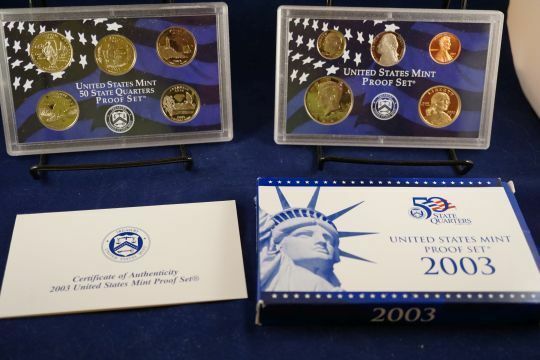 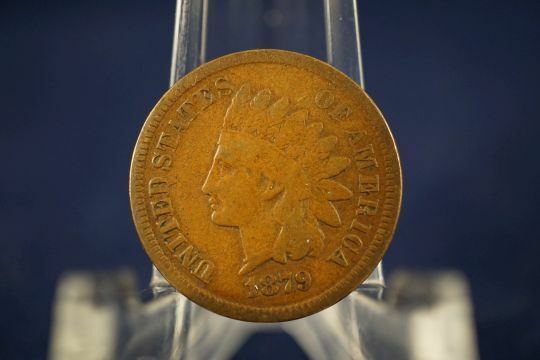 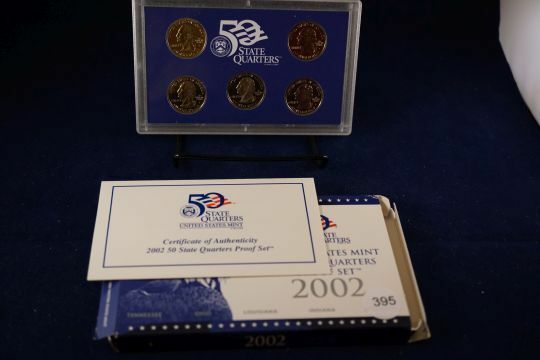 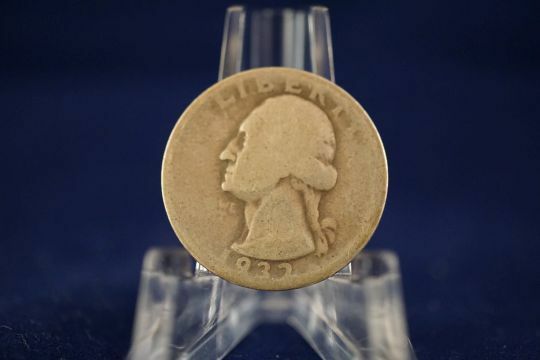 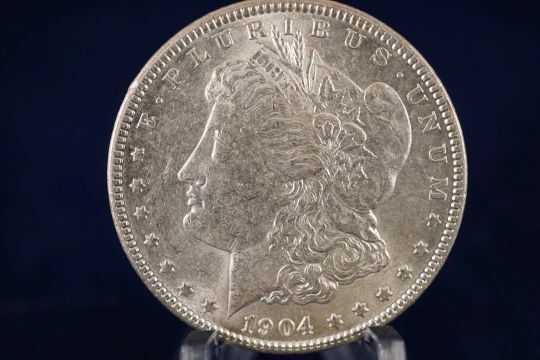 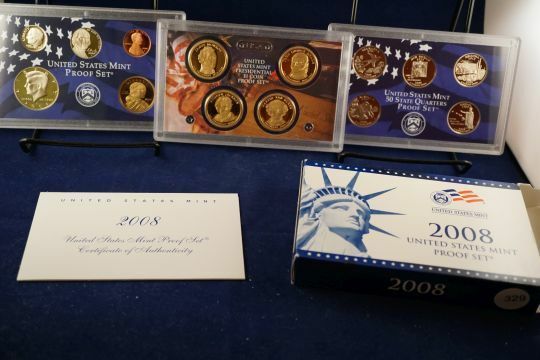 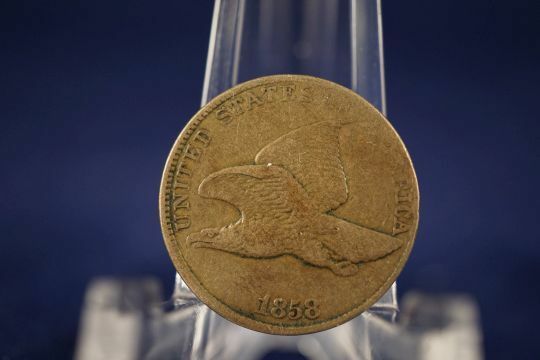 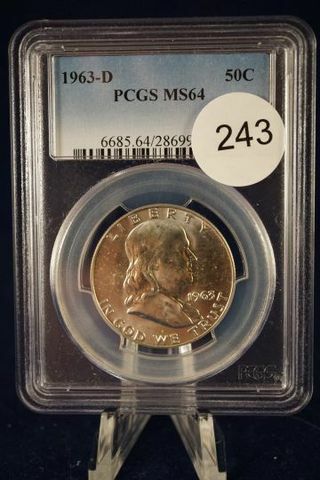 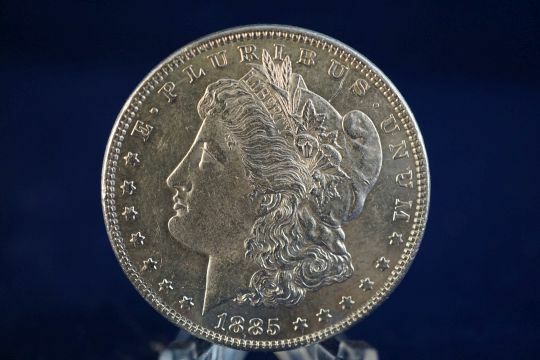 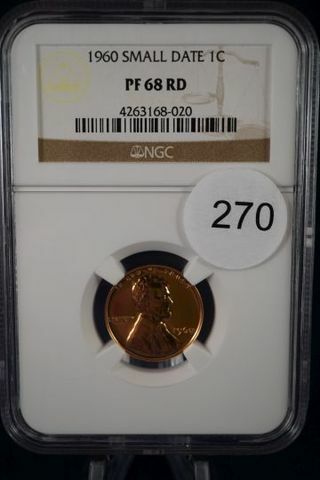 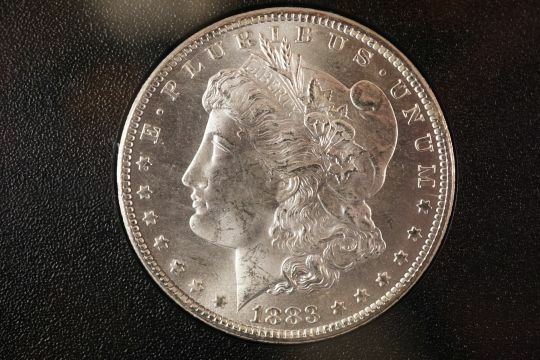 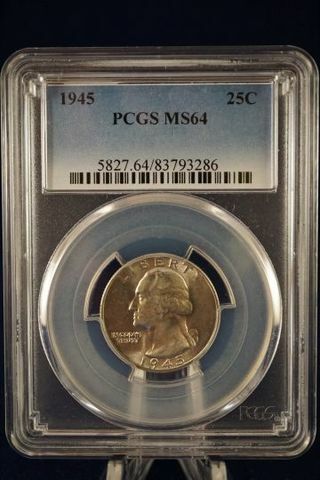 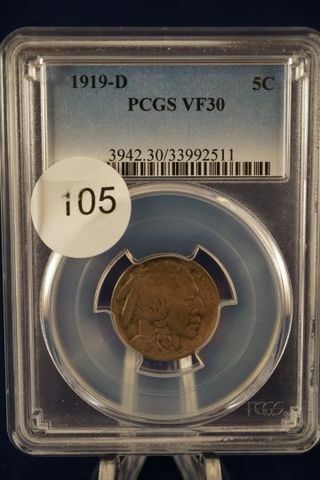 A great variety of Collector Grade Coins & Currency for your bidding consideration. 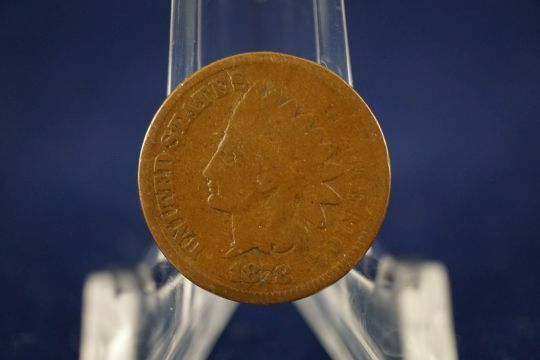 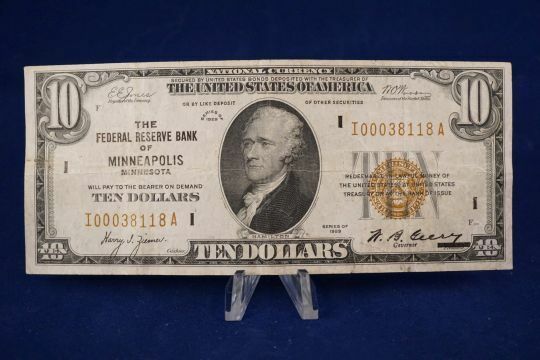 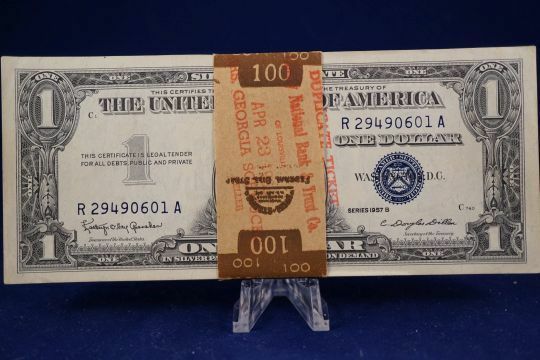 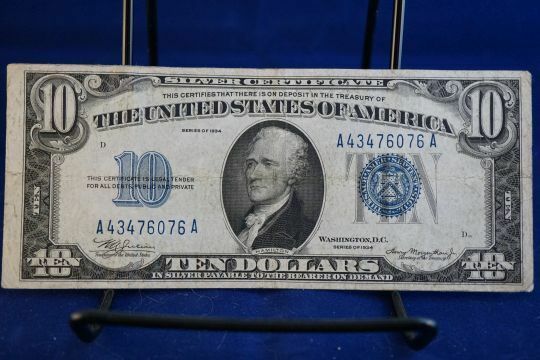 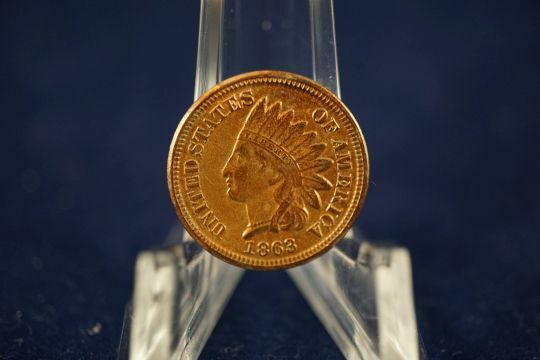 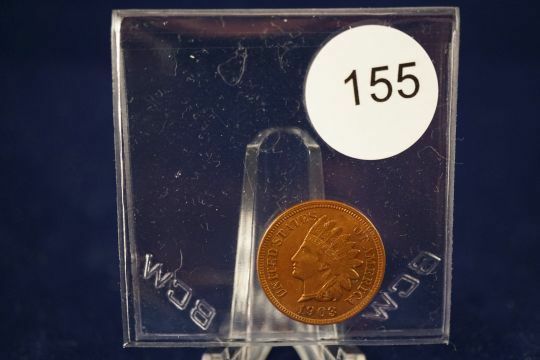 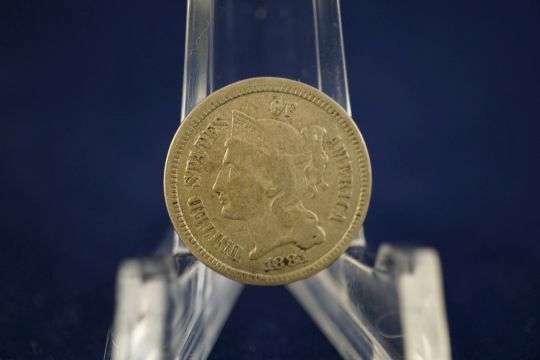 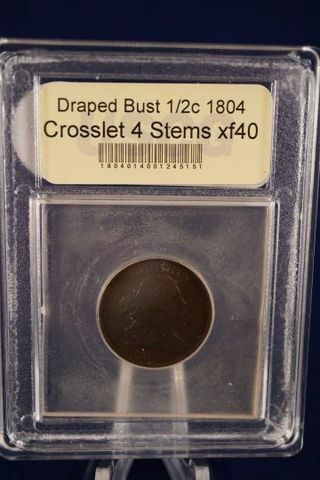 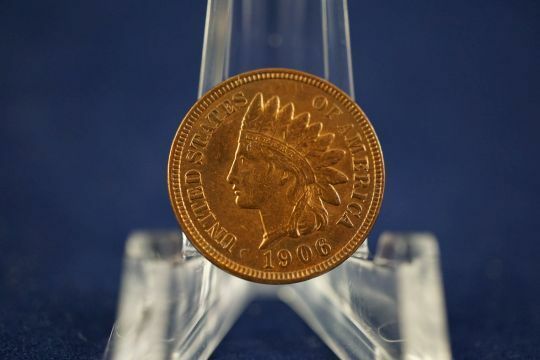 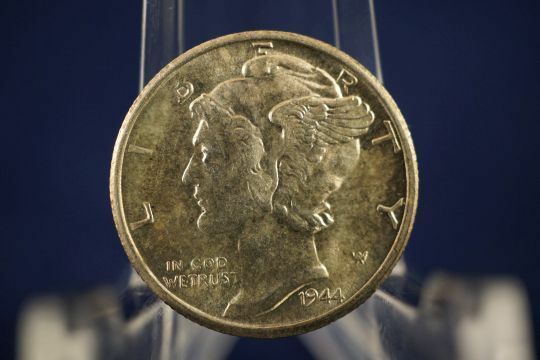 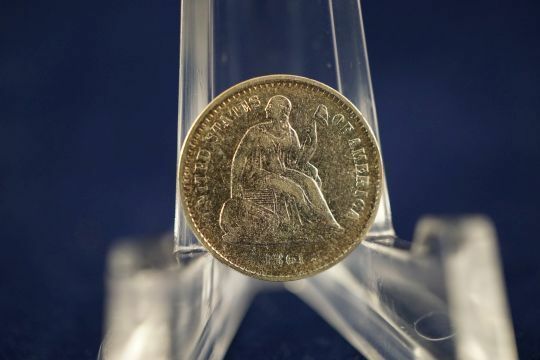 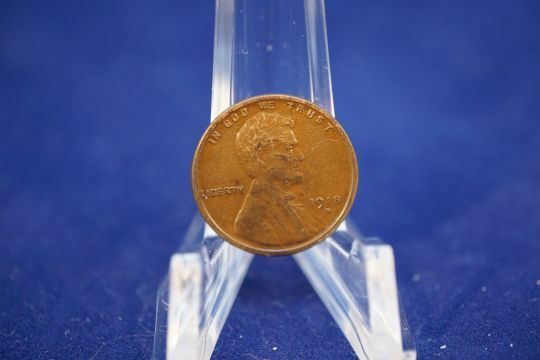 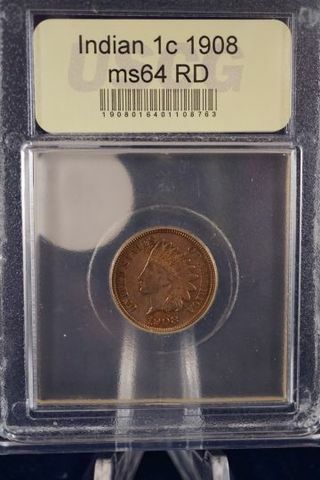 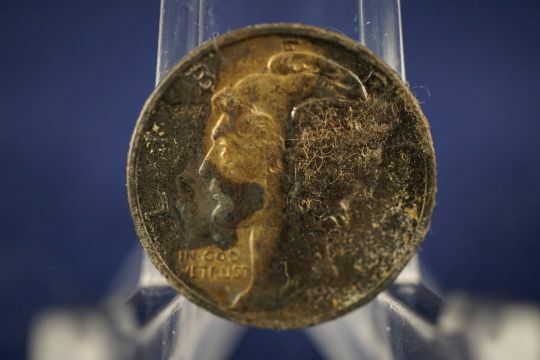 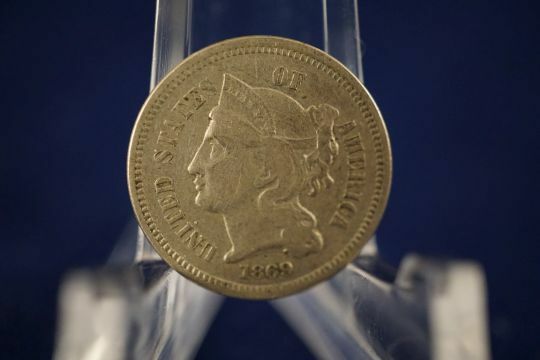 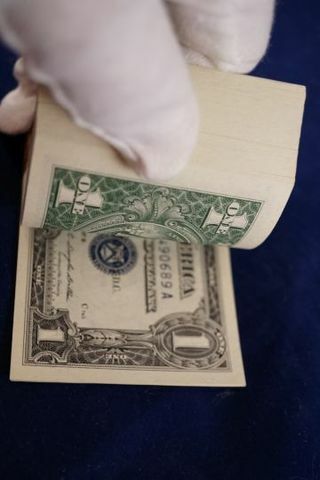 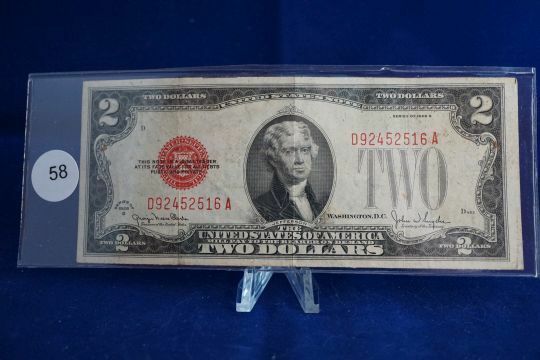 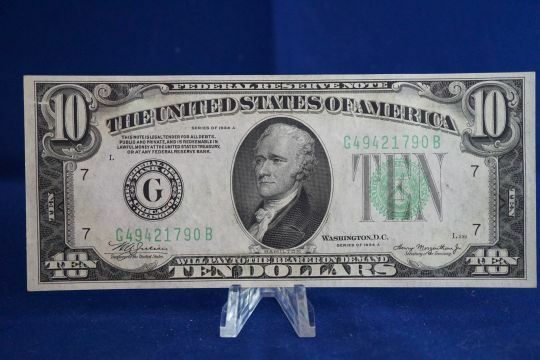 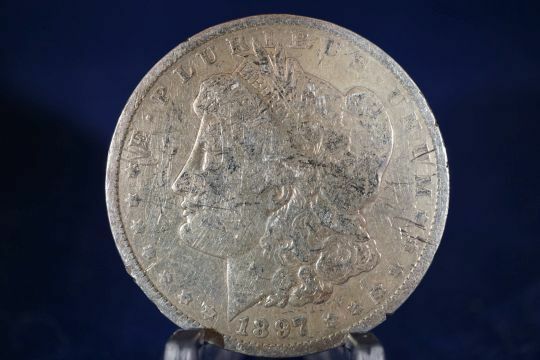 Bid your price on a great variety of coins and currency on this Online only Auction – 400 Lots. 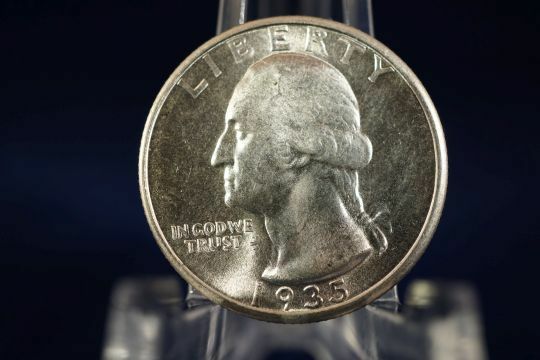 33 1953 S Jefferson Nickel 1953 S Jefferson Nickel, Gem BU with no steps. 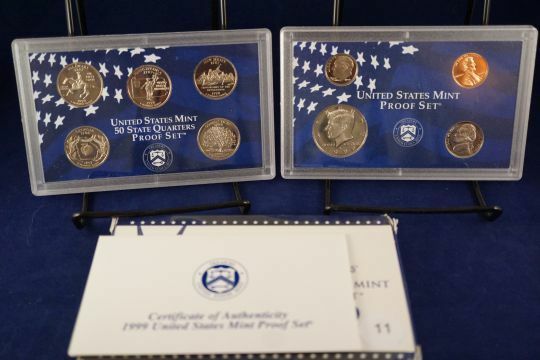 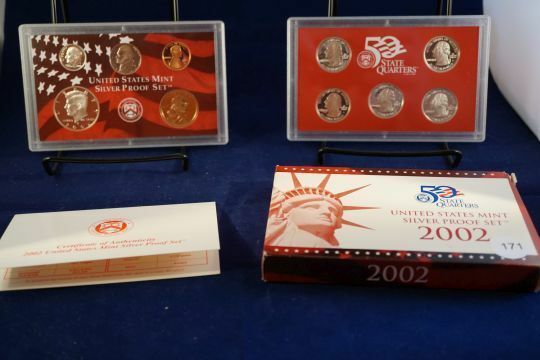 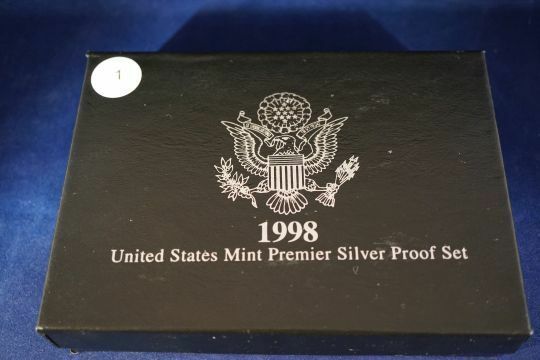 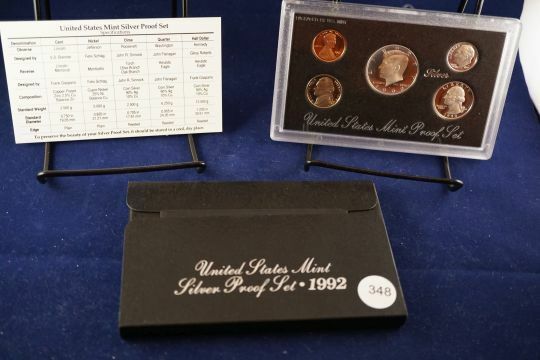 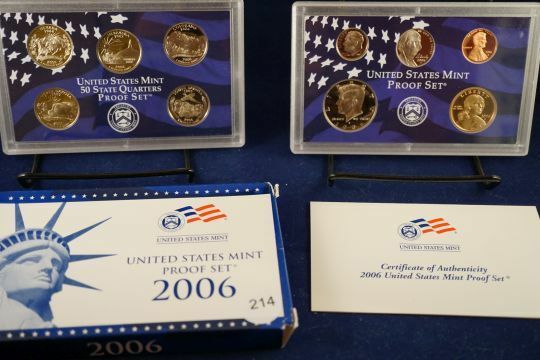 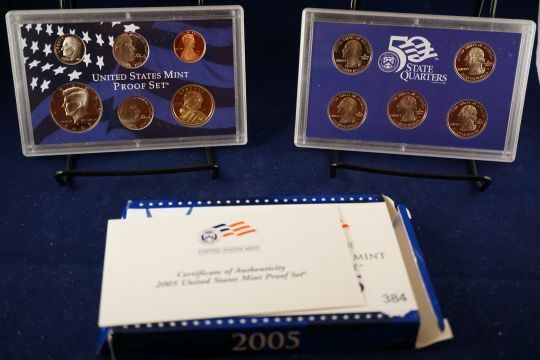 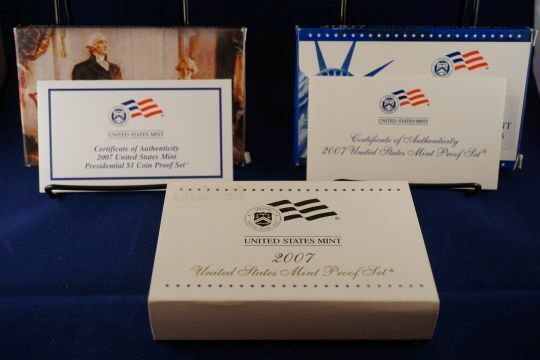 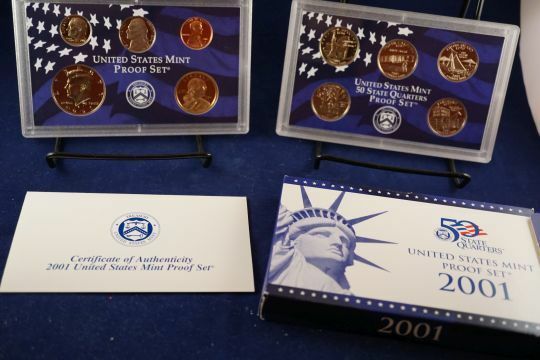 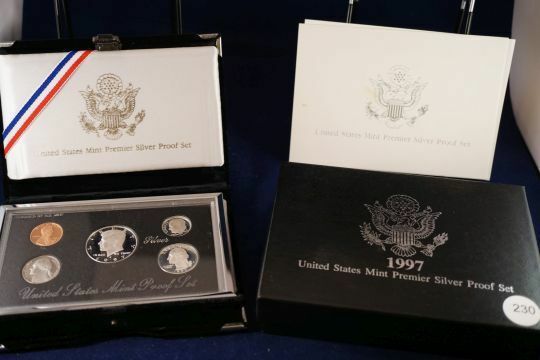 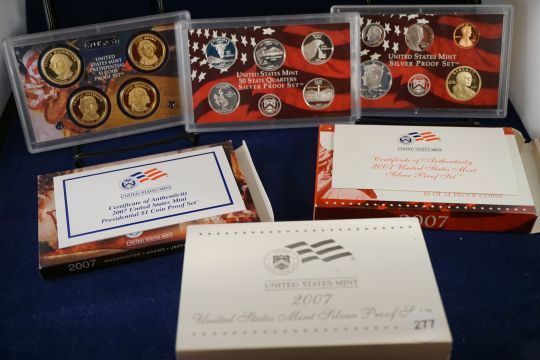 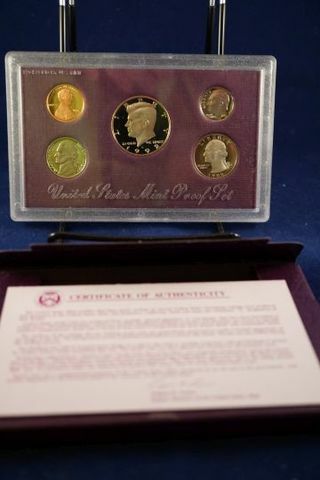 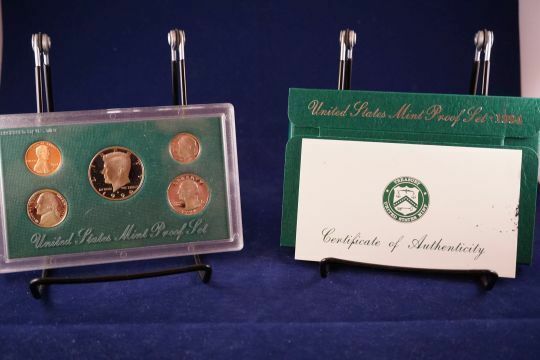 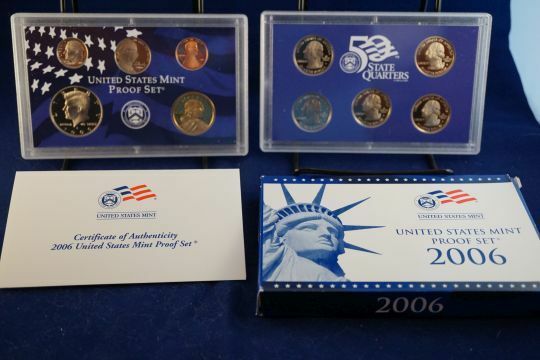 81 2007 US Mint Proof Set 2007 US Mint Proof Set. 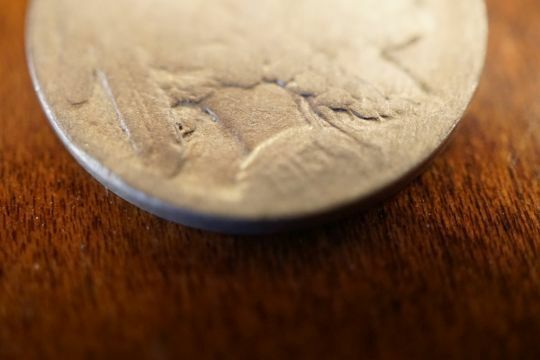 Please note that there is a crack in the quarters holder on the front side, should be visible in photos. 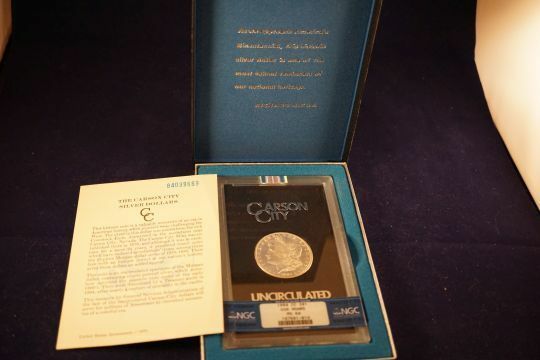 119 Carson City! 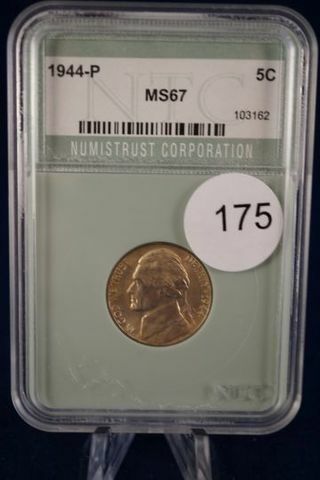 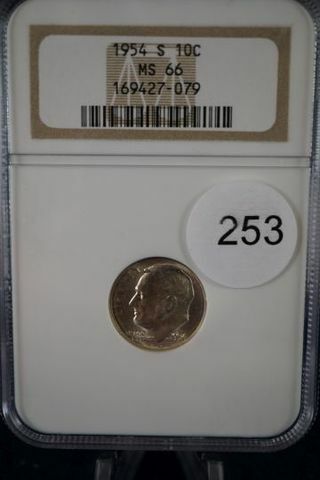 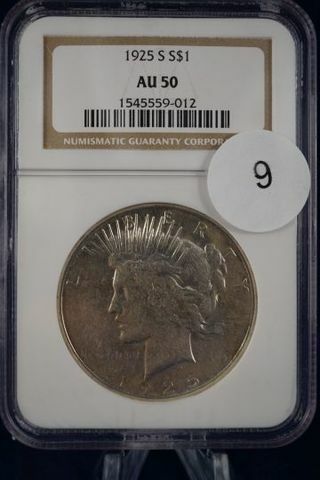 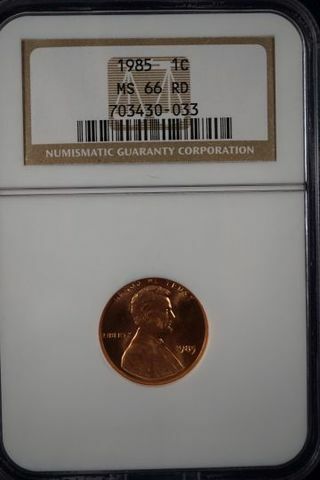 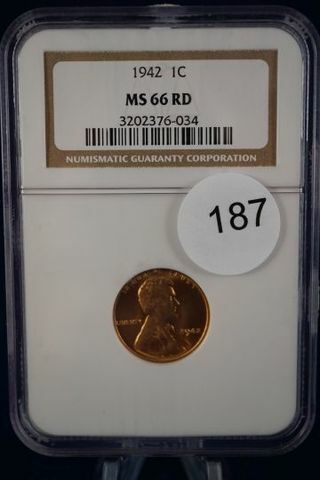 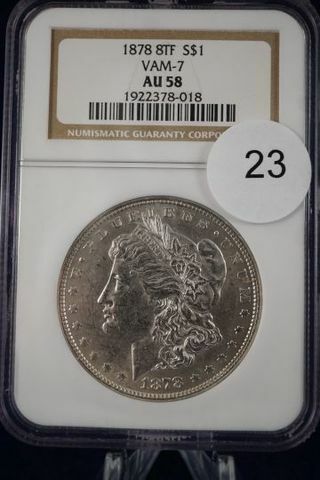 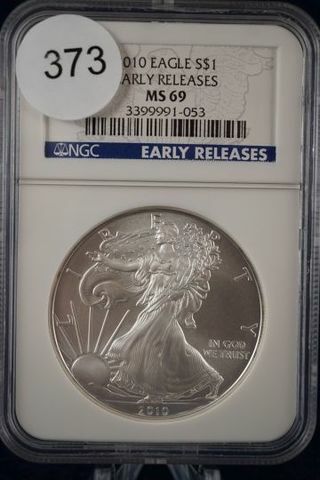 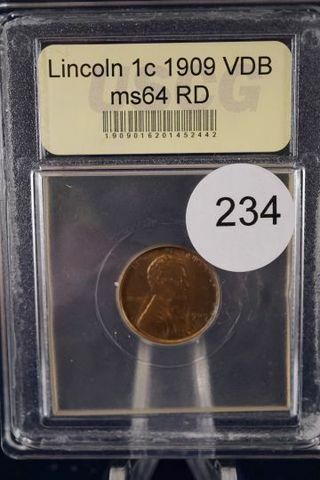 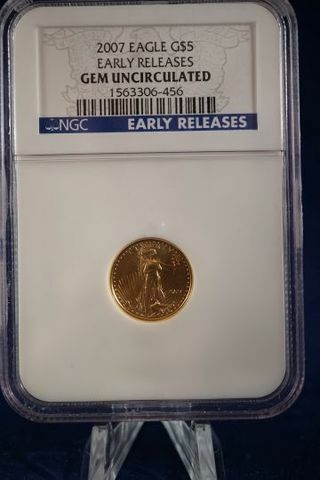 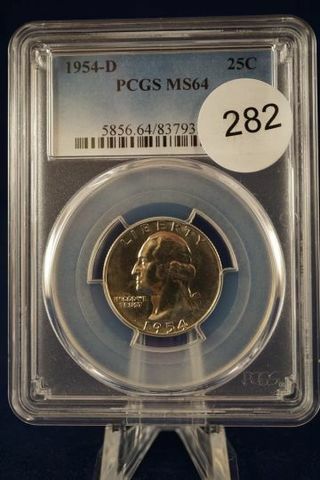 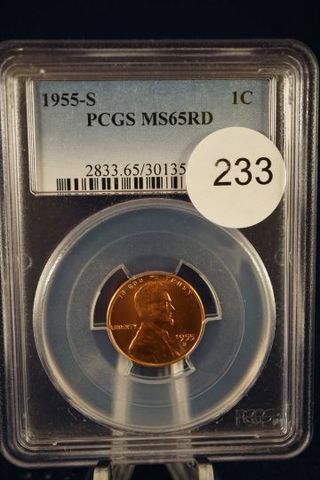 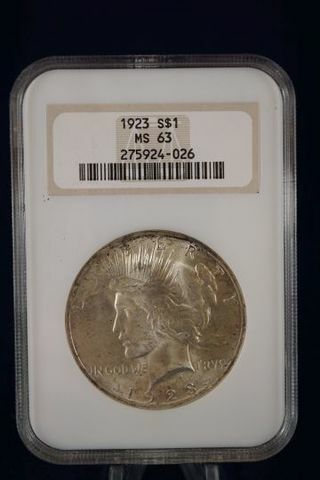 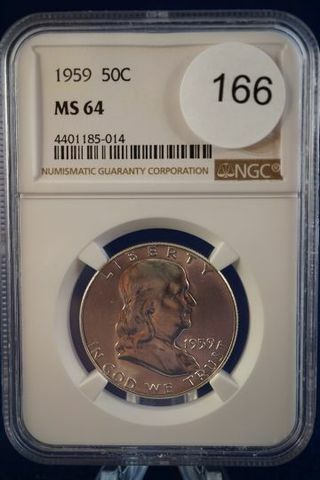 NGC 1883-cc GSA Hoard MS65, with box and COA. 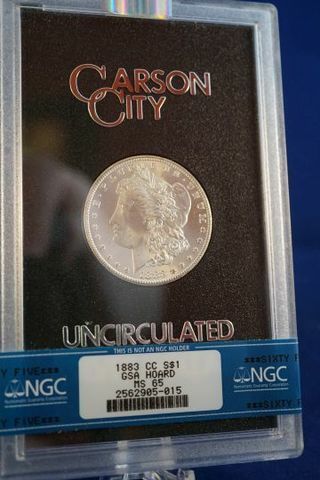 Carson City! 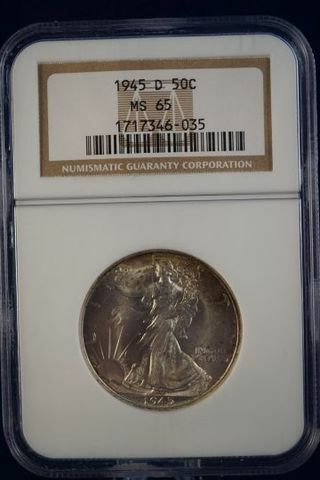 NGC 1883-cc GSA Hoard MS65, with box and COA. 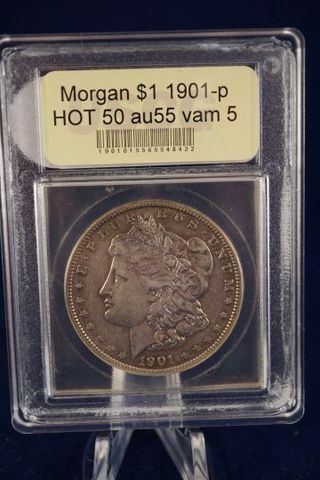 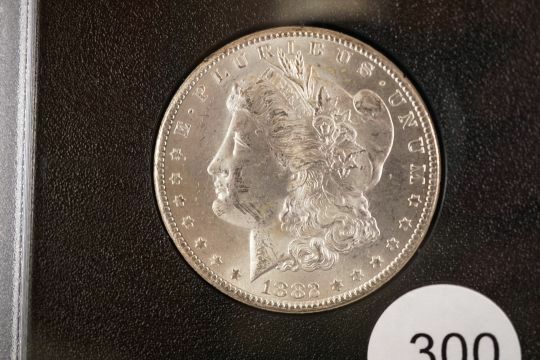 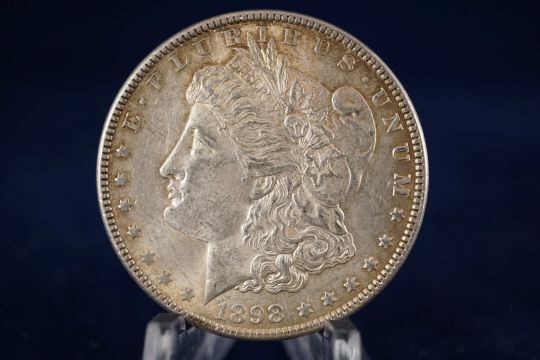 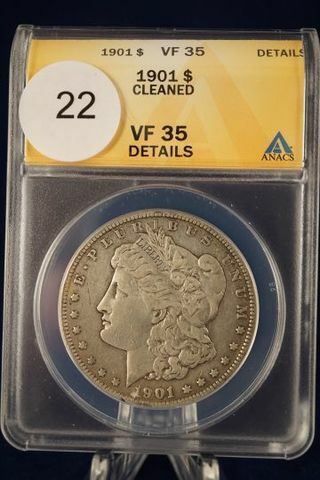 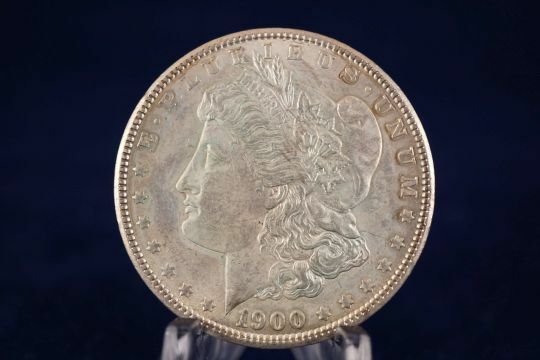 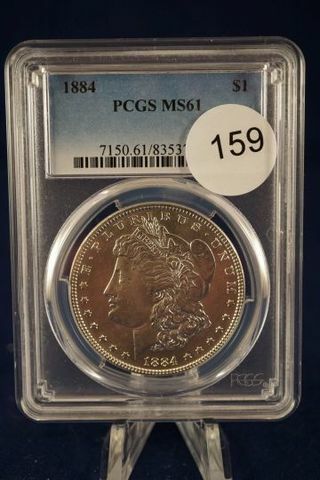 200 PCGS 1881-s Morgan Dollar $1 Graded ms63 PL by PCGS (fc), one of PCGS’s early “rattler” cases. 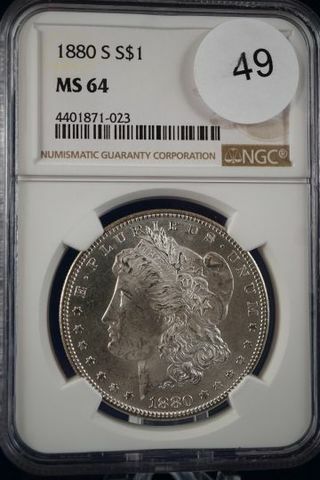 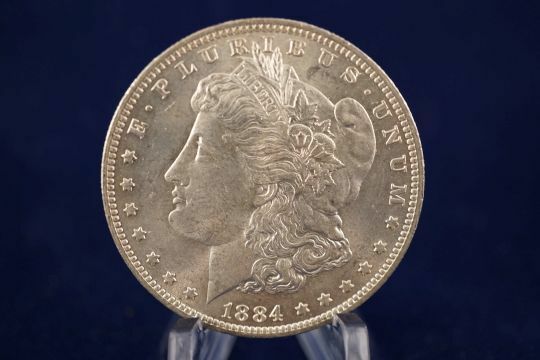 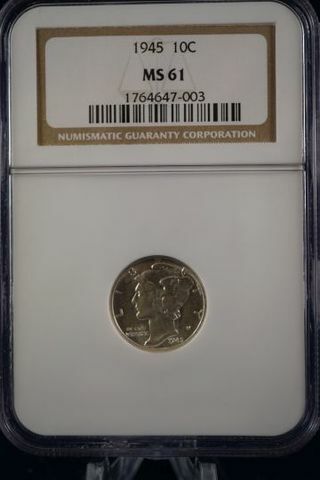 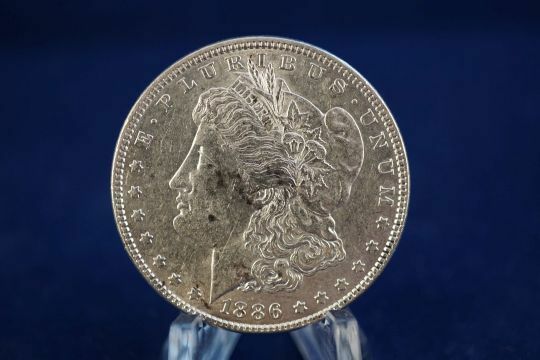 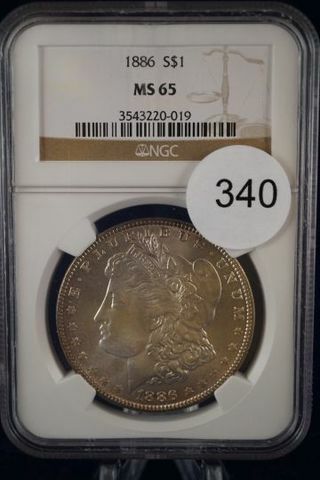 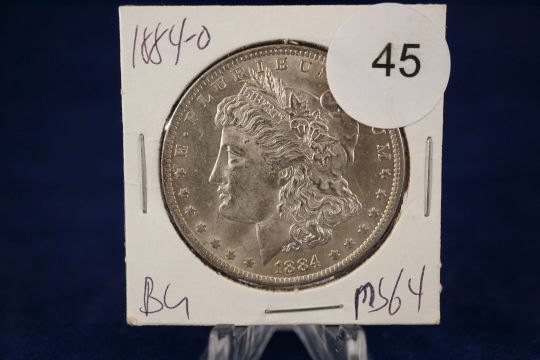 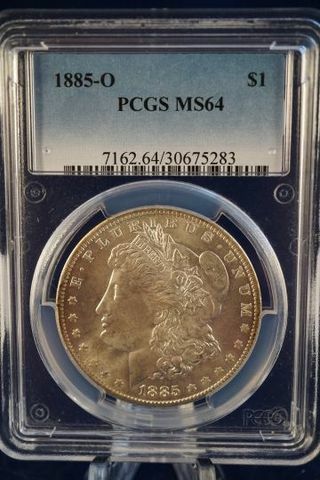 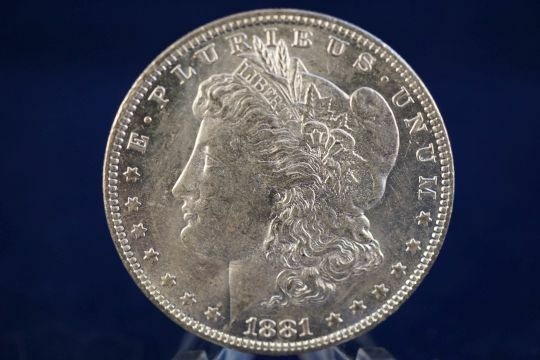 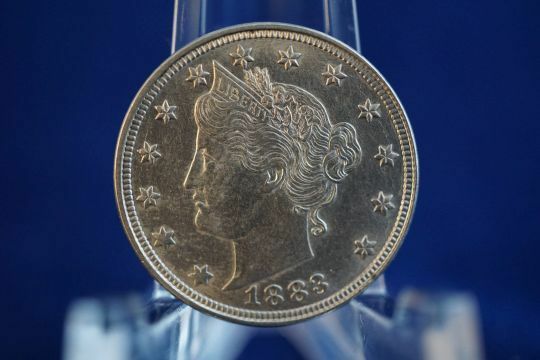 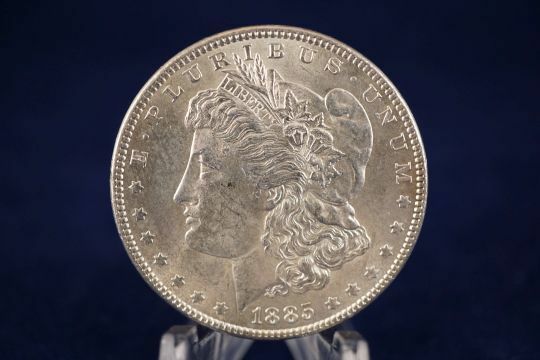 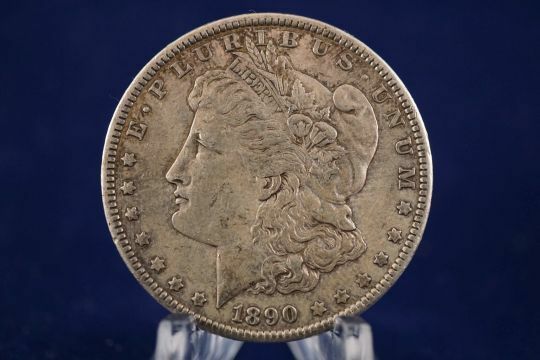 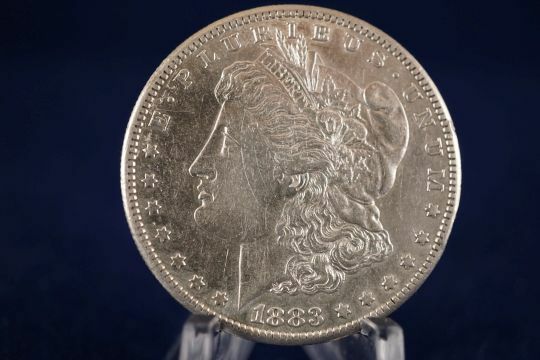 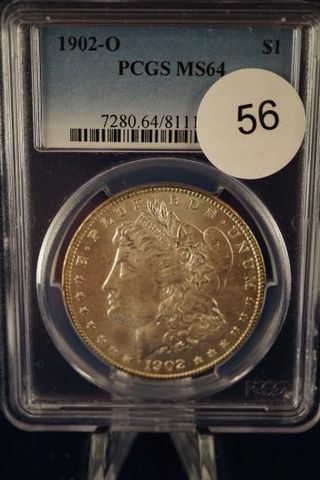 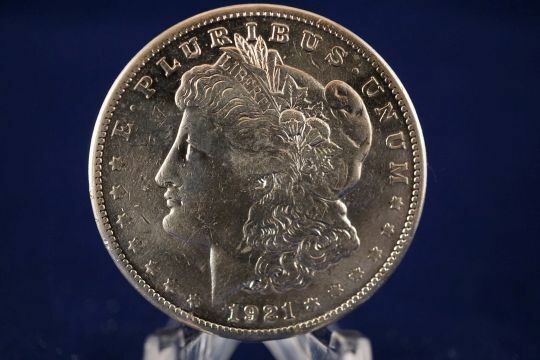 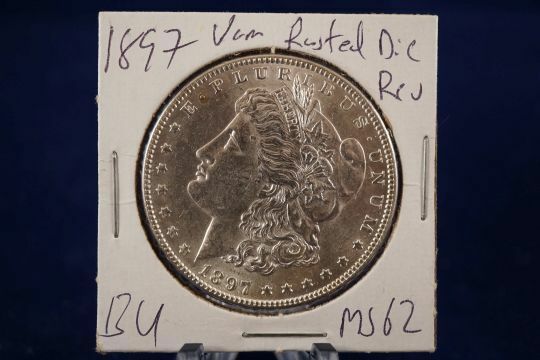 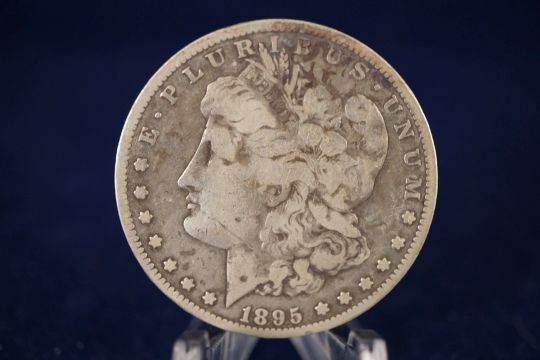 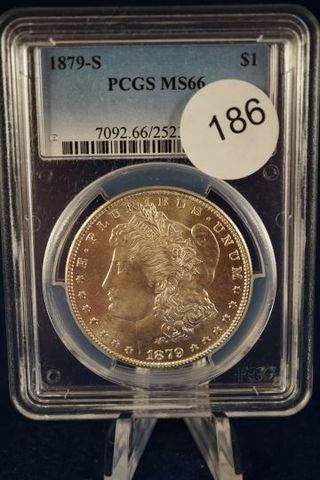 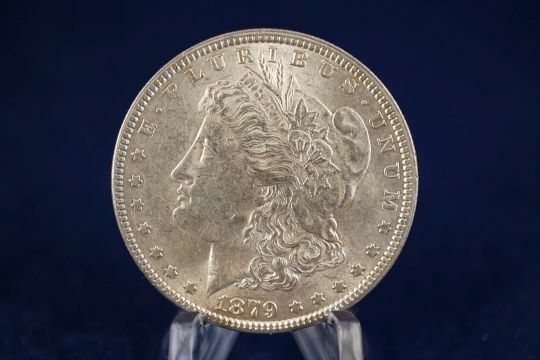 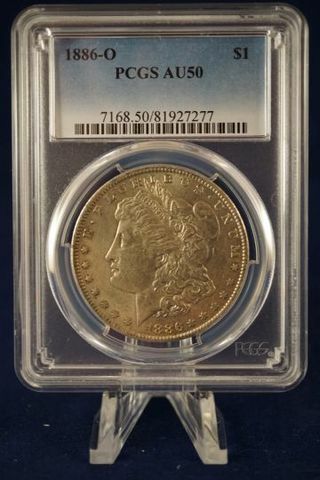 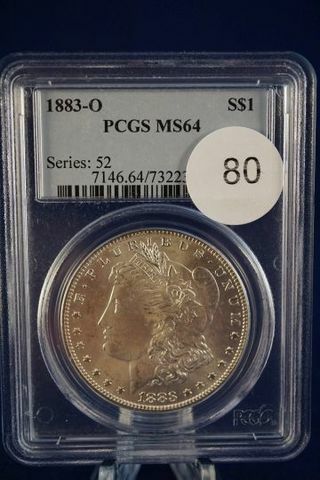 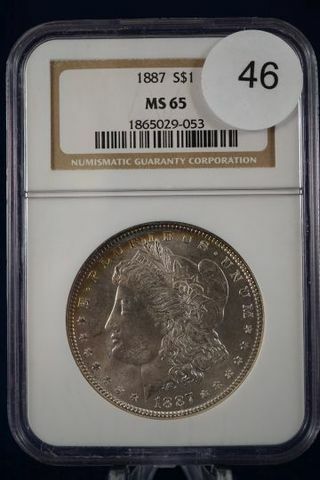 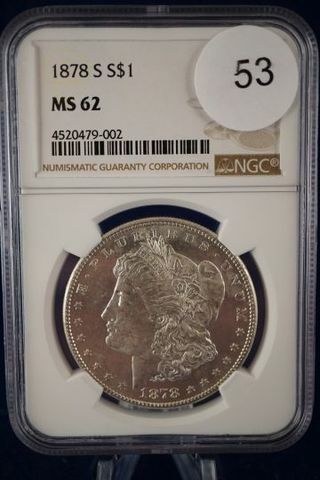 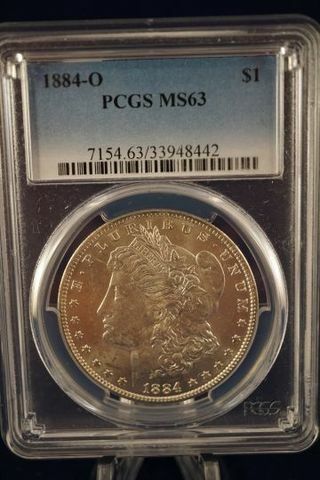 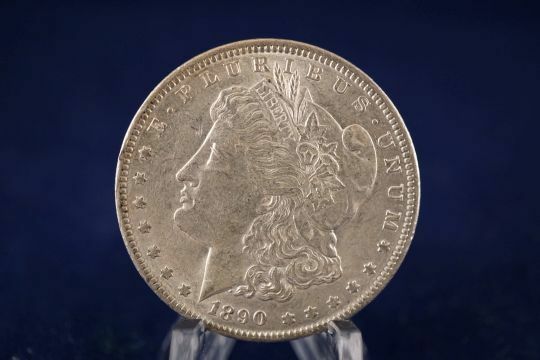 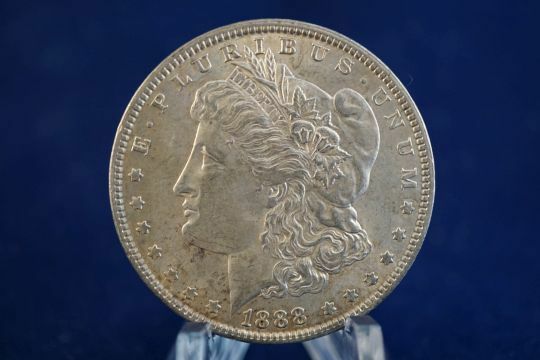 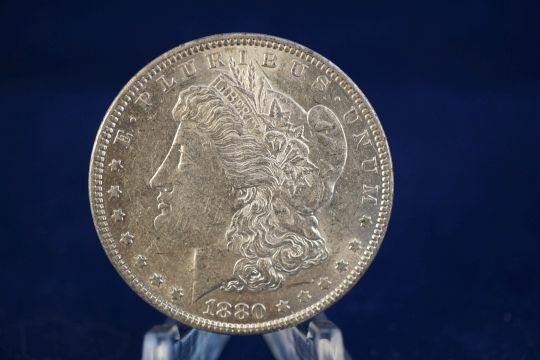 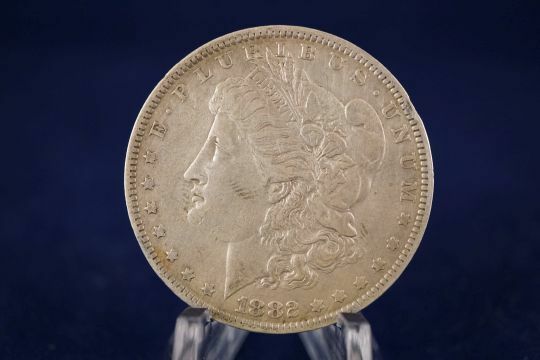 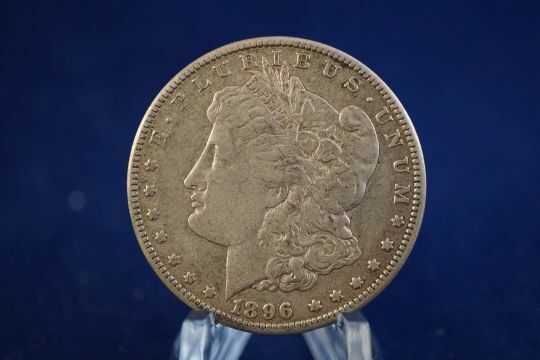 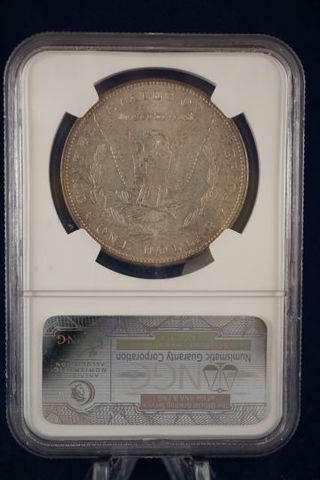 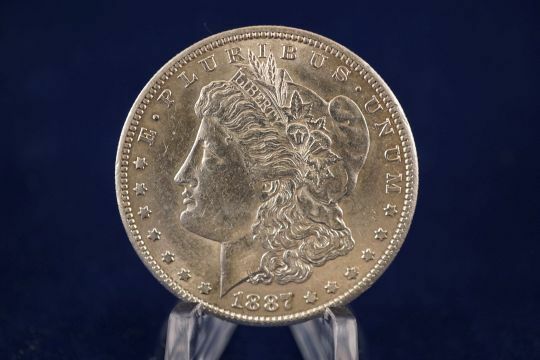 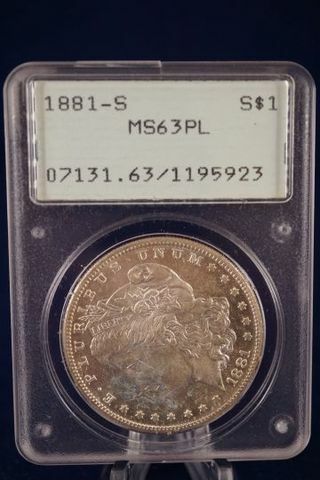 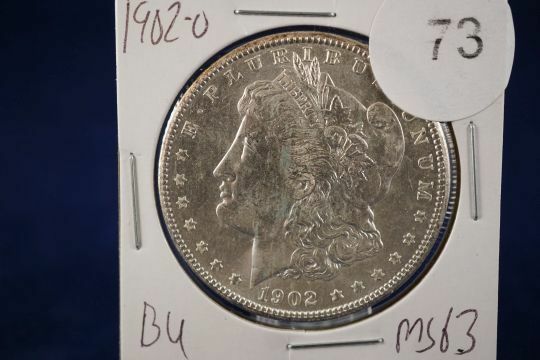 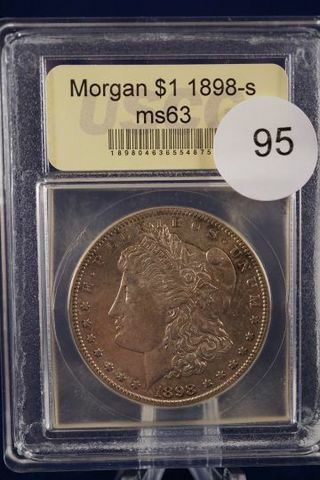 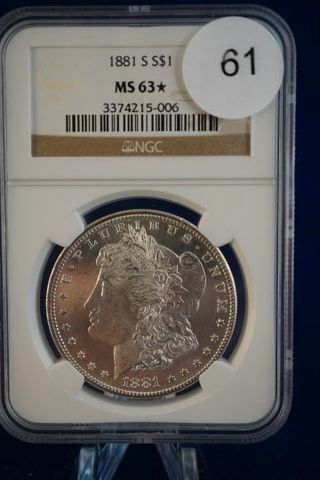 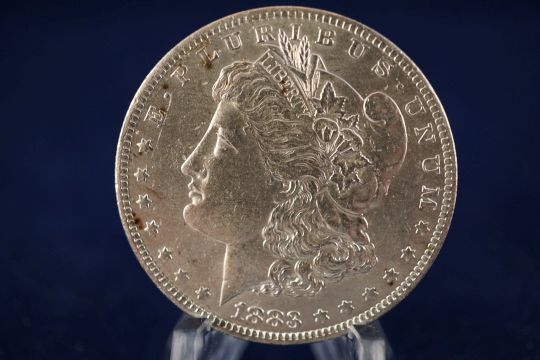 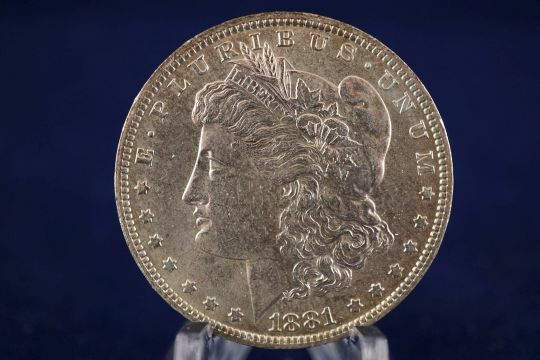 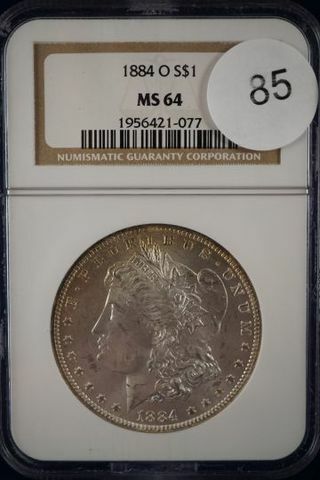 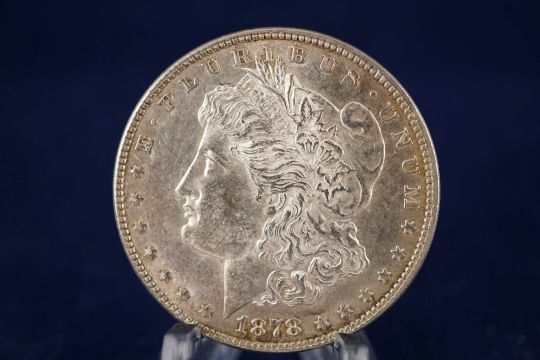 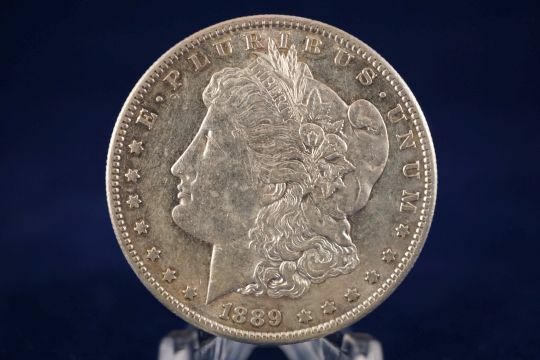 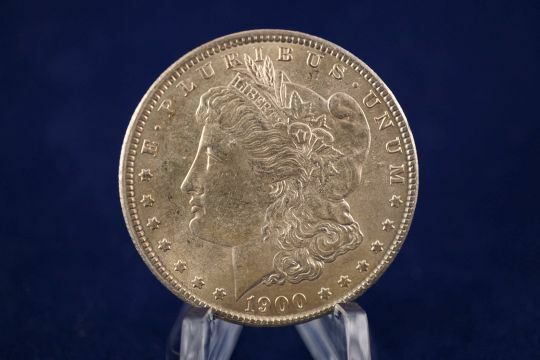 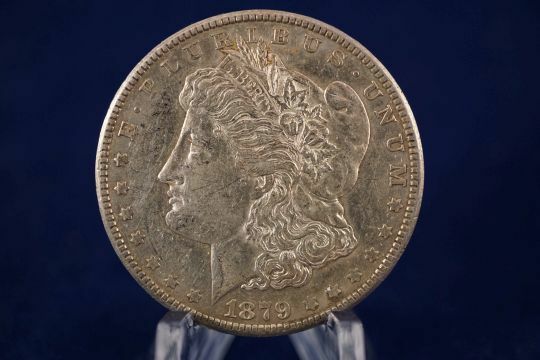 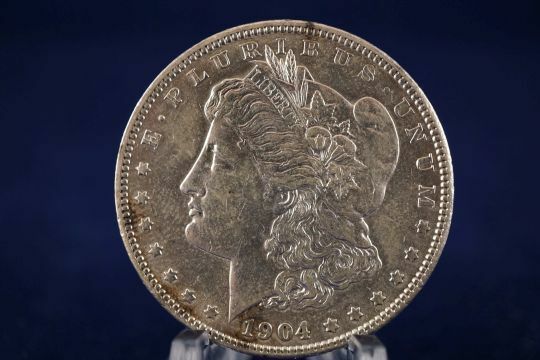 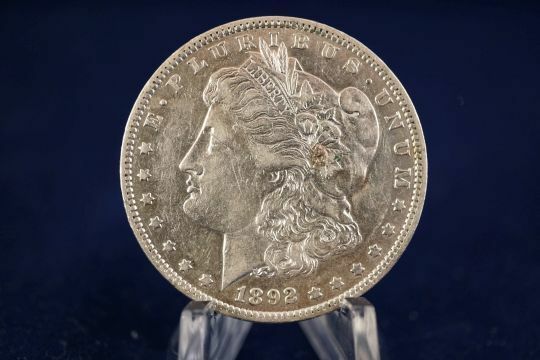 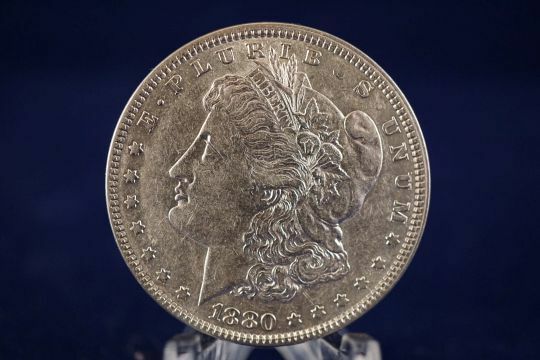 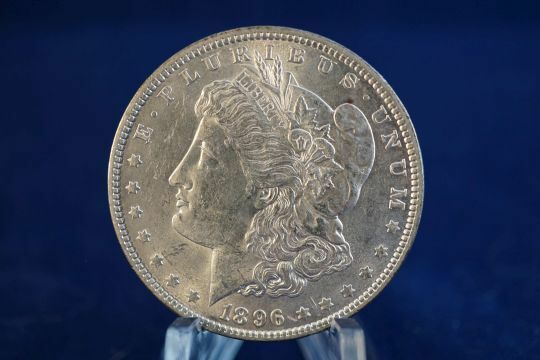 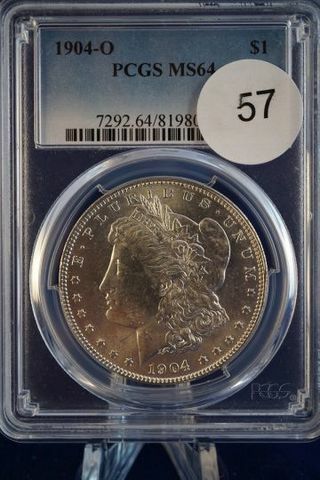 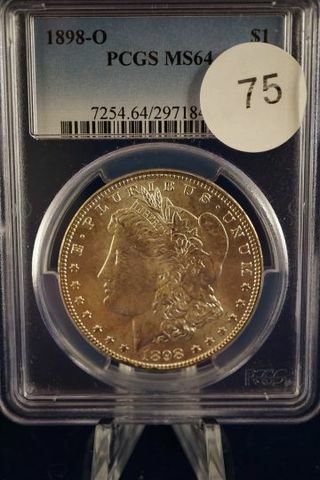 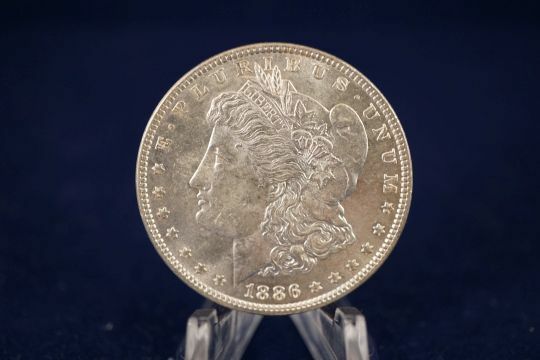 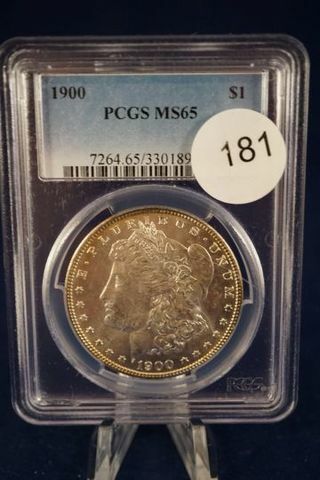 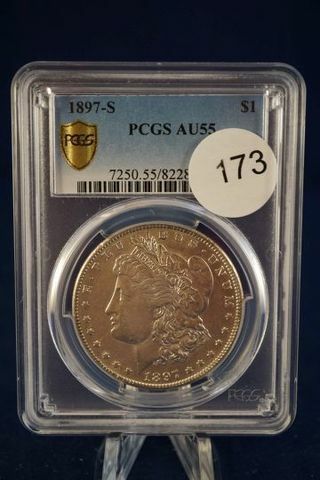 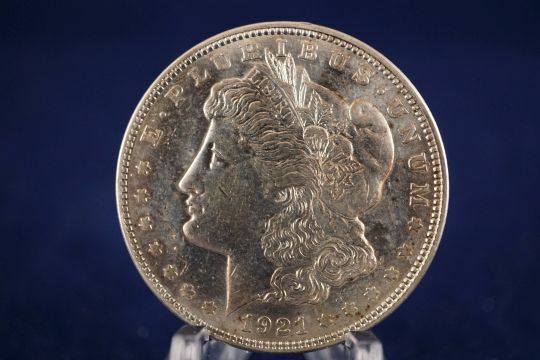 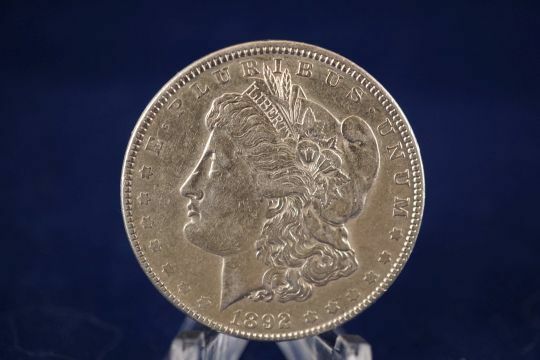 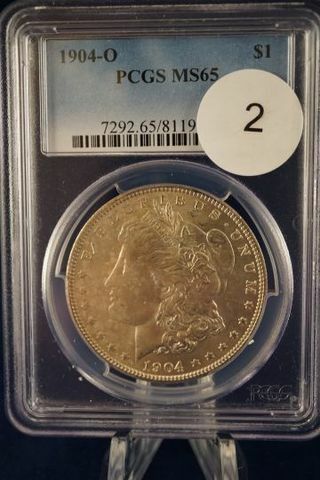 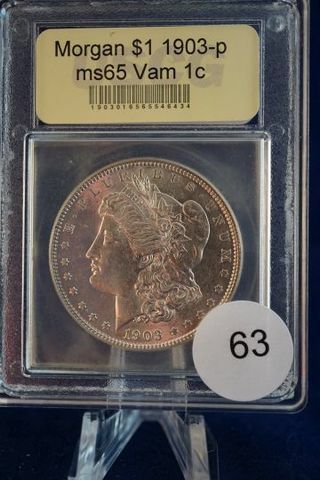 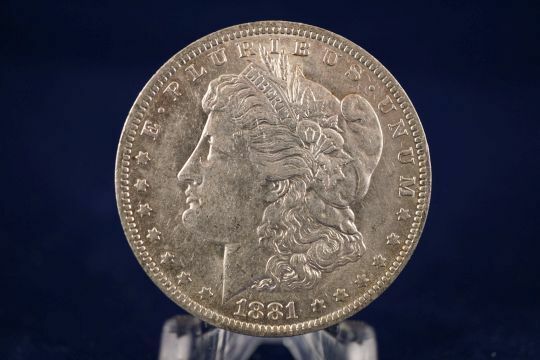 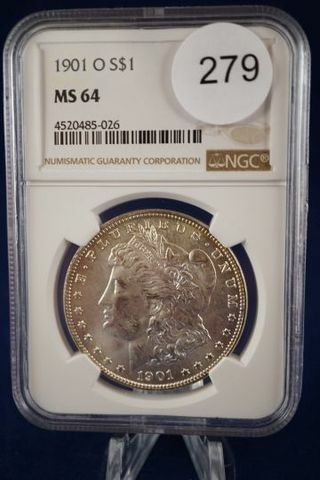 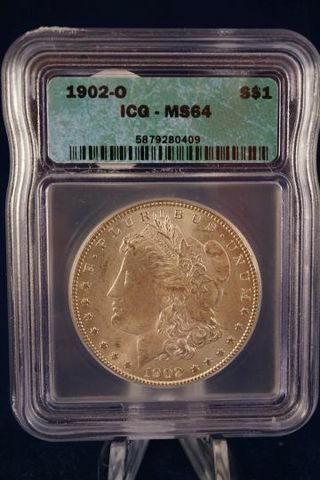 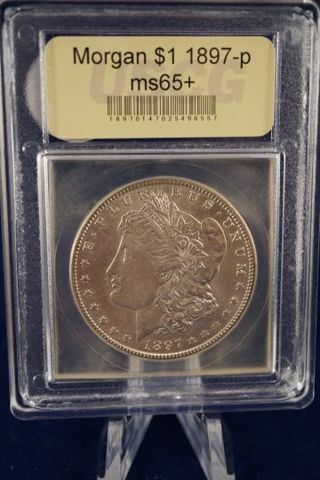 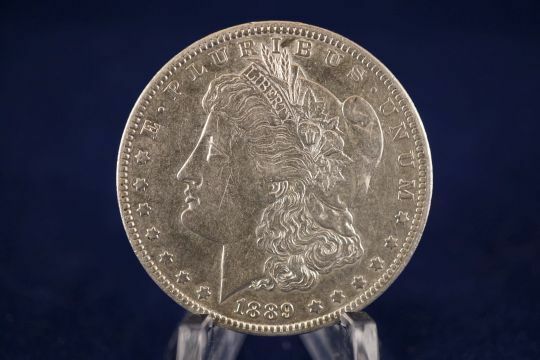 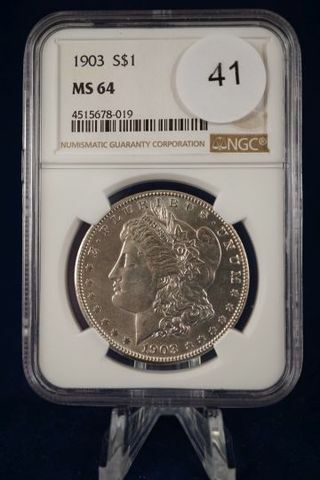 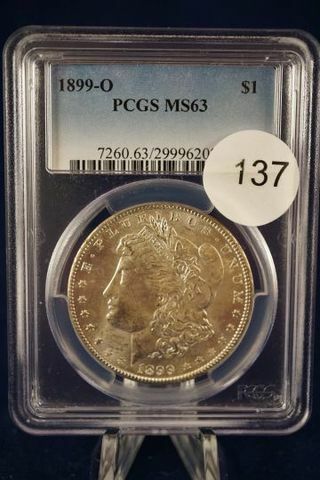 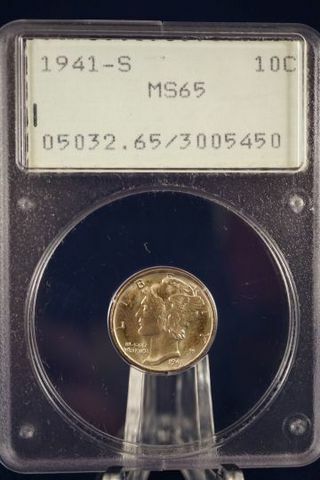 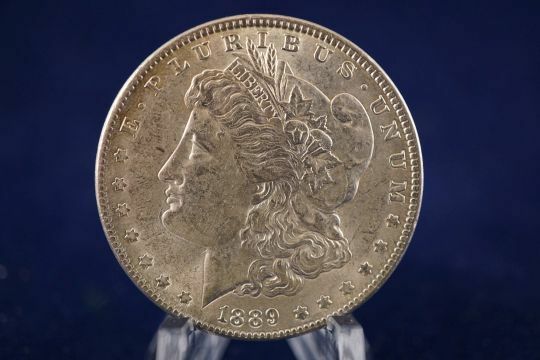 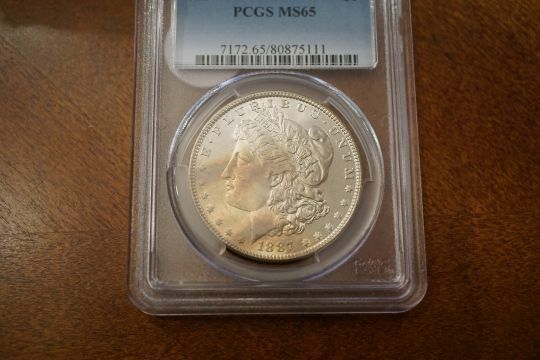 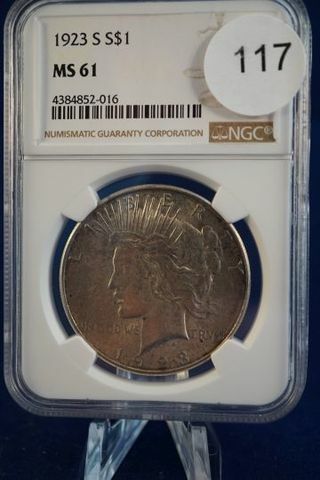 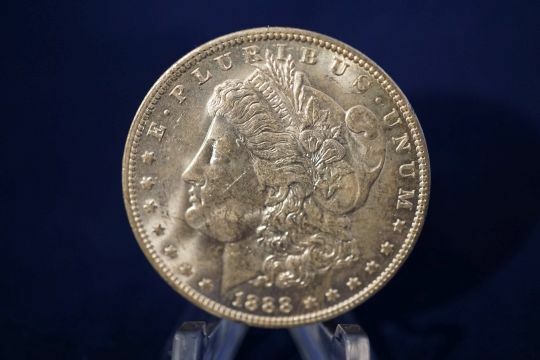 PCGS 1881-s Morgan Dollar $1 Graded ms63 PL by PCGS (fc), one of PCGS’s early “rattler” cases. 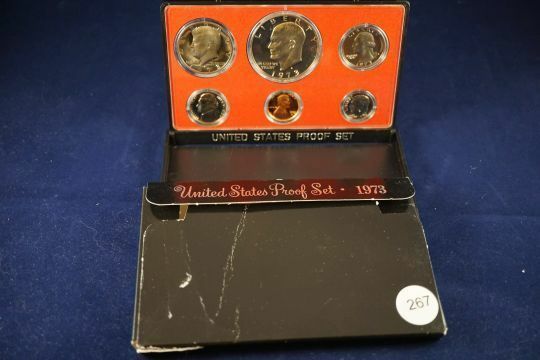 237 1955-1973 proof sets in old Capital Holders, 1960 is doubled up with small and large date set. 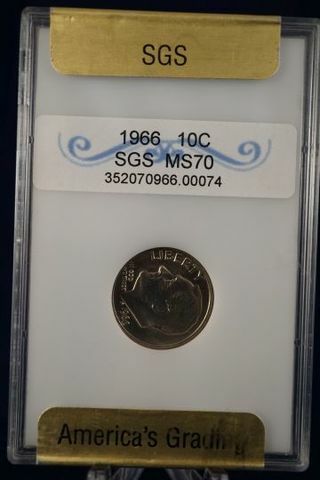 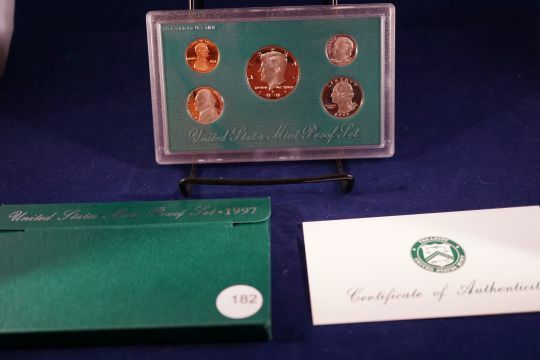 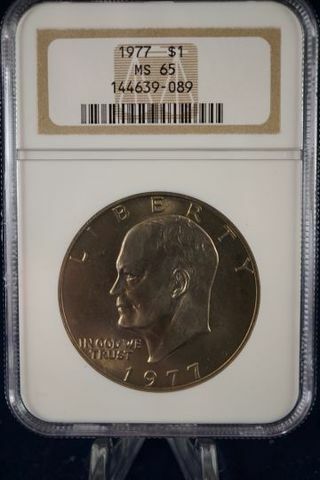 1968-1973 are San Francisco minted, the rest are Philadelphia. 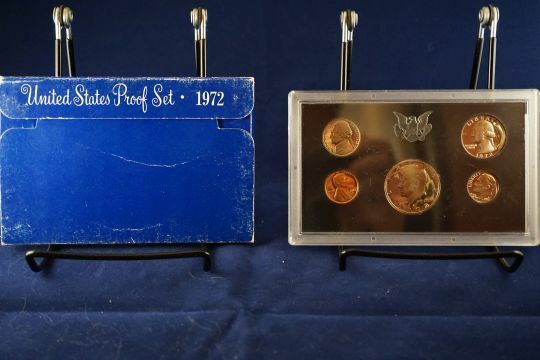 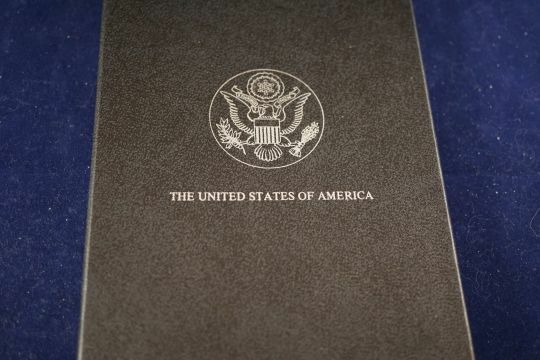 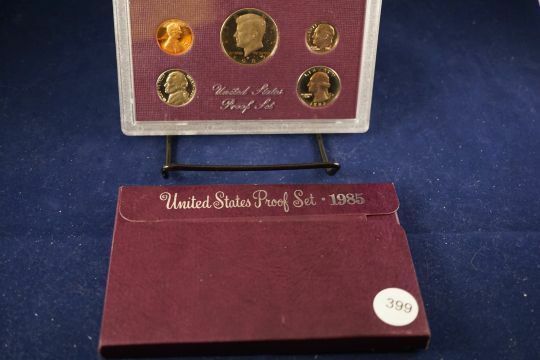 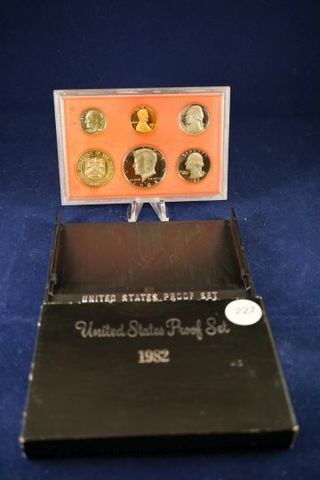 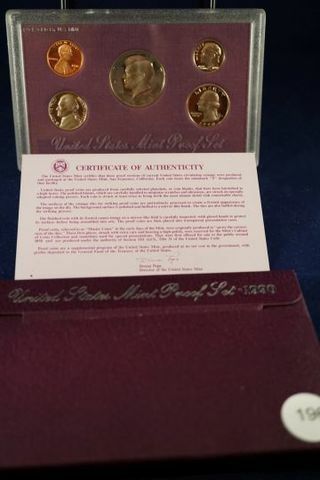 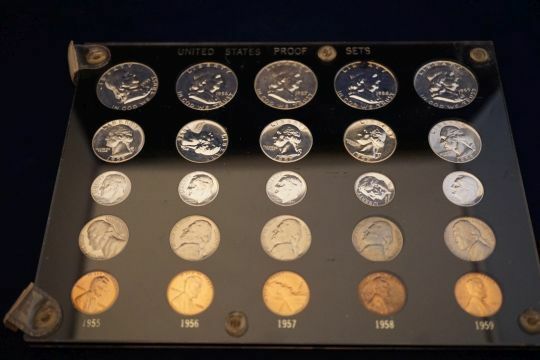 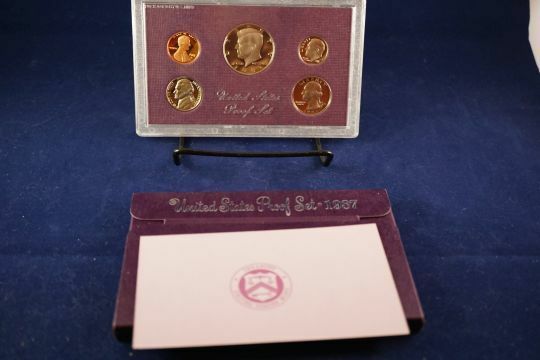 1955-1973 proof sets in old Capital Holders, 1960 is doubled up with small and large date set. 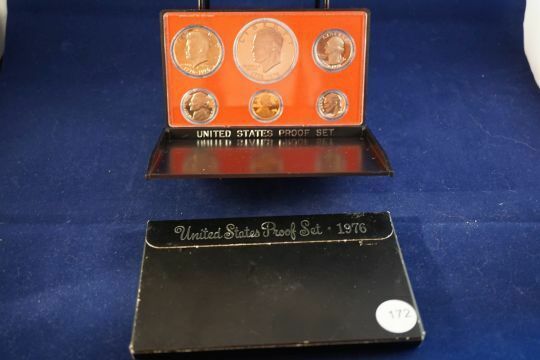 1968-1973 are San Francisco minted, the rest are Philadelphia. 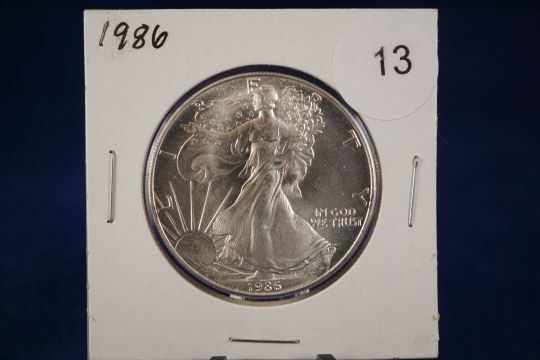 324 1981 Silver round, 1 oz. 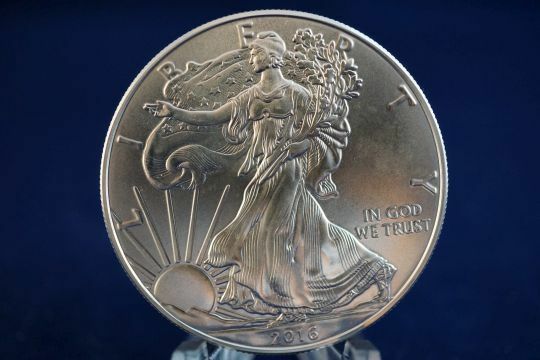 1981 Silver round, 1 oz. 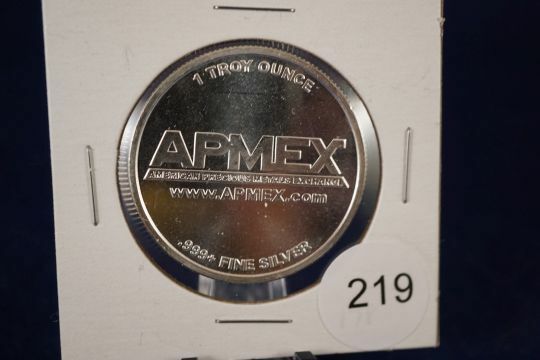 Auction Conducted by: Thompson Auction Service: Col. Dave Thompson (50-114) 507-438-9646 Members: MN State & National Auctioneers Association. 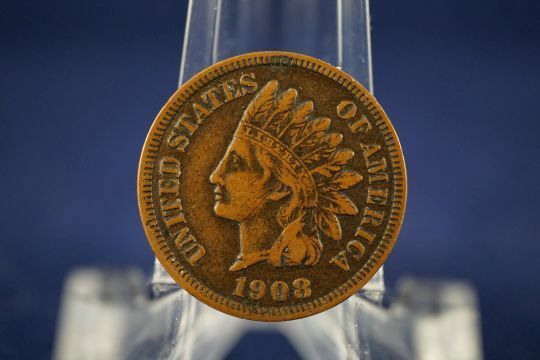 Everything Sold AS-IS – ALL SALES FINAL! 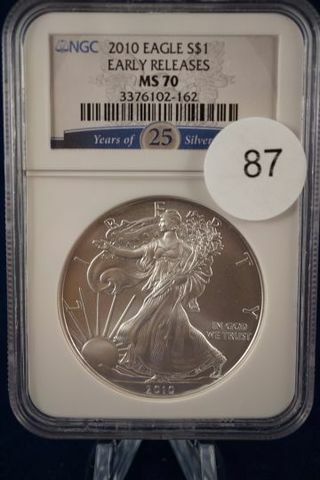 Online only Bidding with 18% Buyers Premium on all items. 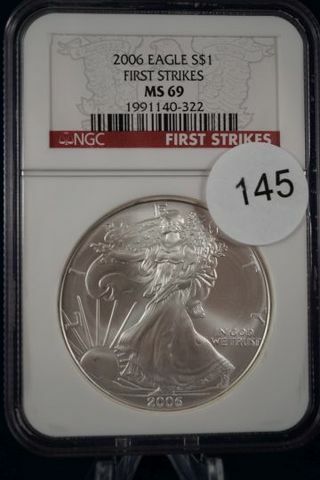 Shipping and Insurance billed seperately via APN (Auction Payment Network.) 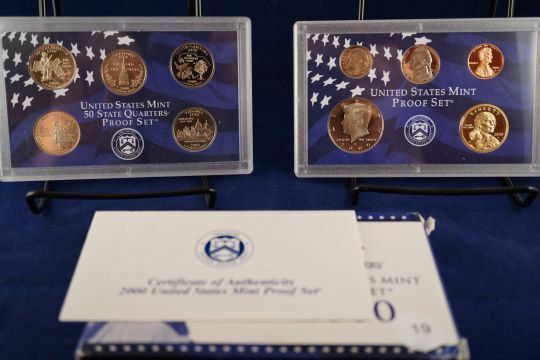 By registering on Proxibid, you agree to all terms & conditions of this auction. 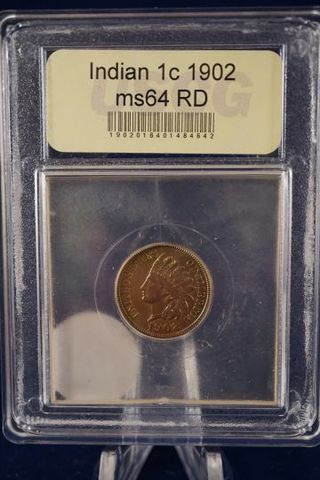 No Charge Backs. 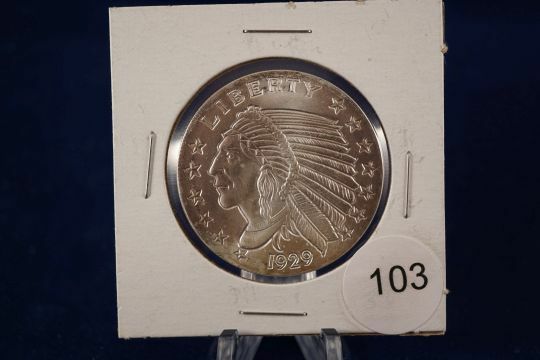 Online only Auction. 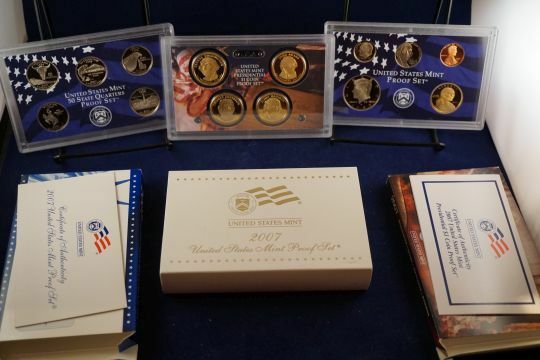 All items shipped unless arrangements made prior to Auction close.